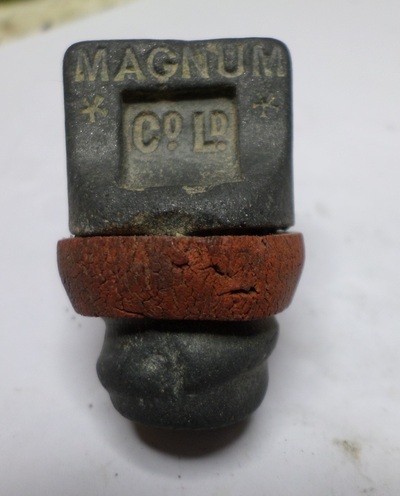 It is not uncommon to find reminders of our wartime past on the Thames foreshore - and when I am mudlarking, I frequently come across ordnance, military buttons and pieces of shrapnel washed out with the tide. With the military buttons in particular, I always wonder whose uniform they were once sewed on to. A few weeks ago, I found an object whilst mudlarking, with no obvious connection to the war, and infact I very nearly left it where it was. 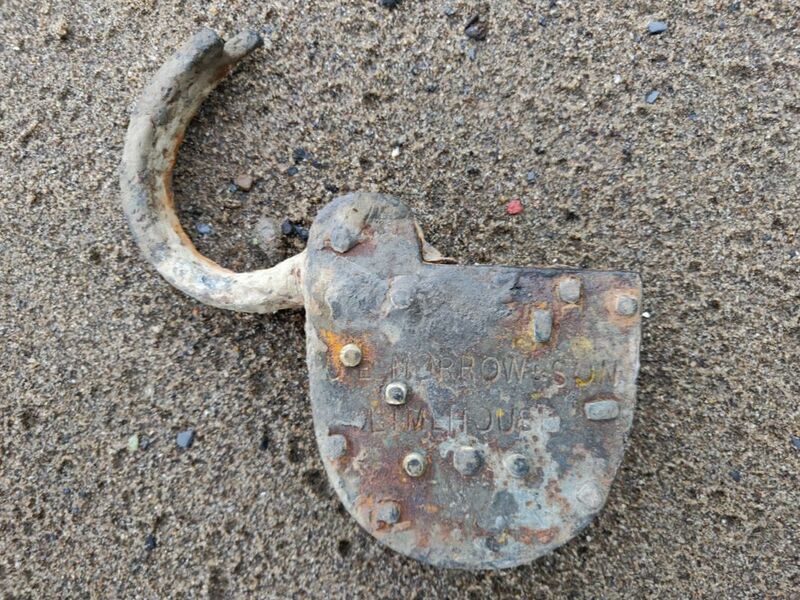 It was a large and heavy, rusty padlock. 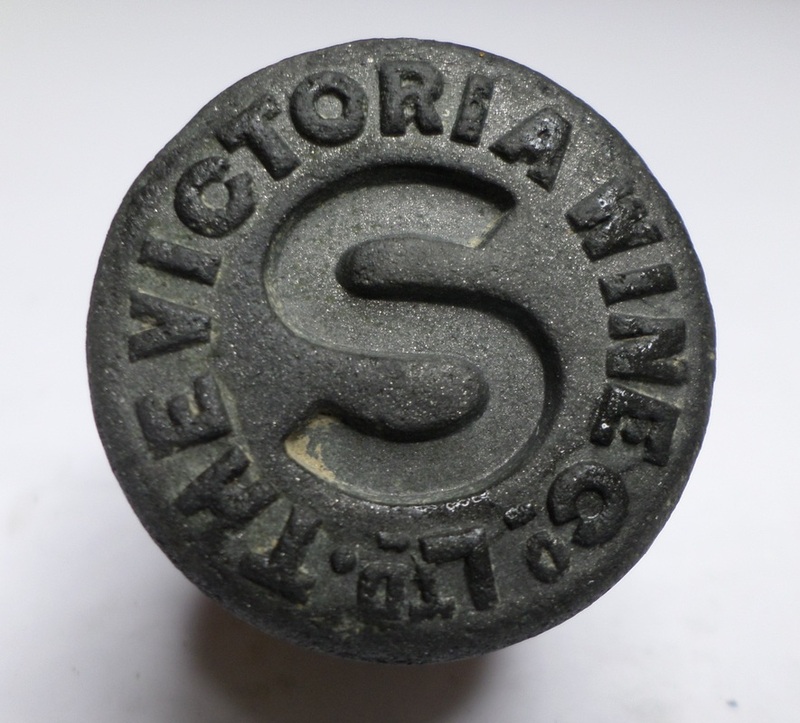 What peaked my interest though, was the fact that I could see a name stamped on it across the front. I hesitated before putting it (along with another one right next to it), in my finds bag and lugging it home. 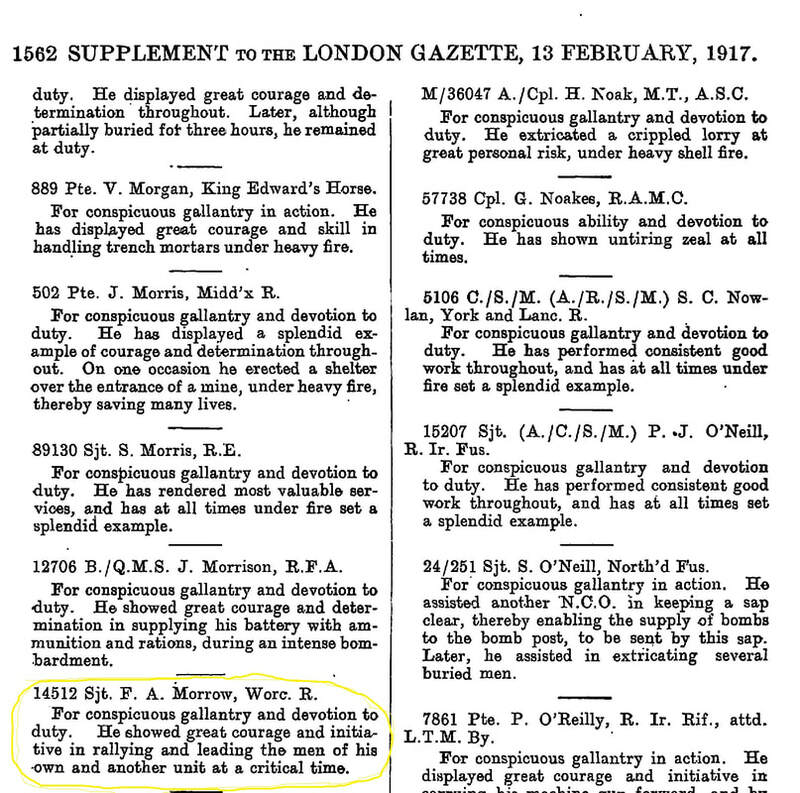 The first thing I discovered when I started my research, was a newspaper article in the London Gazette from January 1931, when G. E. MORROW & SON was being handed over to one of the sons (Frank Alfred Morrow). 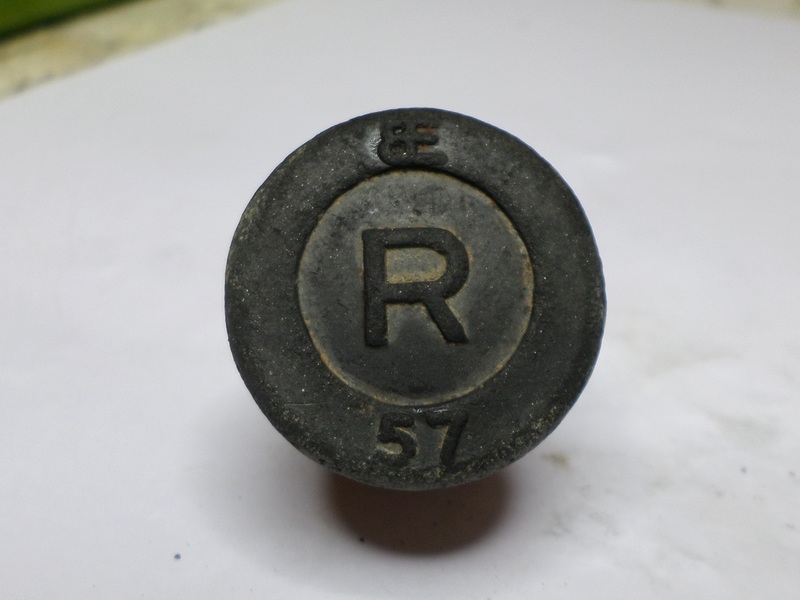 I learned that G.E. 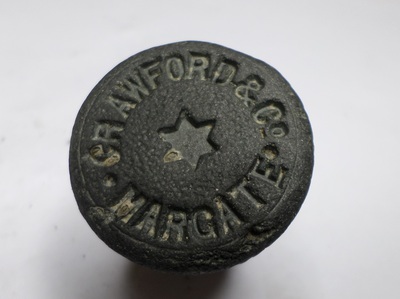 Morrow was a "Mast, Oar, Scull & Pump Maker", based in Brightlingsea Place, and also Narrow Street in Limehouse, East London. Rather miraculously, I stumbled upon an old photo from what I believe to be the early 1900s, which shows G.E. 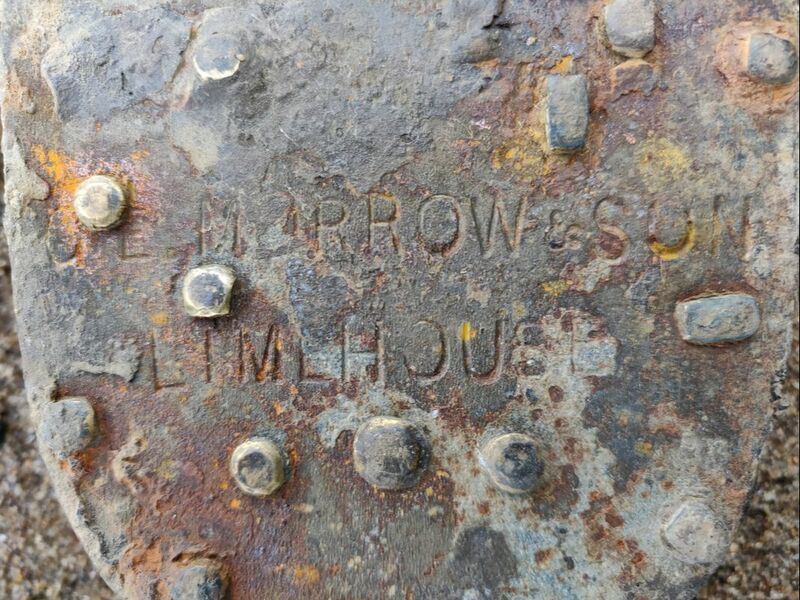 Morrow's premises here. 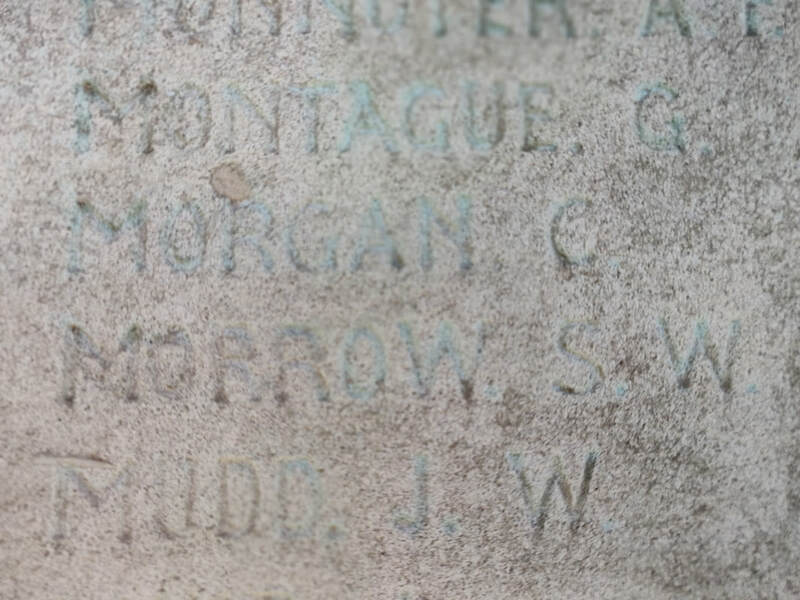 George Edward Morrow was born in Australia in 1858, but sometime during his childhood, his parents moved back to England, and George married Clara Pow, a girl from the East End, in 1882 when he was 24 years old. He established his Mast, Oar, Scull & Pump making business at around about the same time. 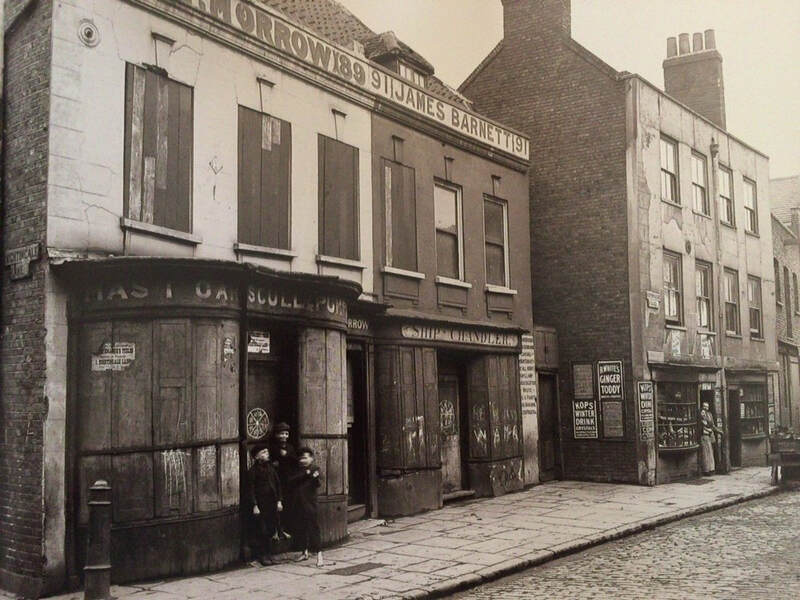 They settled in Limehouse (a place long associated with ship building and with strong maritime links), and they went on to have 11 children by 1899, five of whom died in infancy. 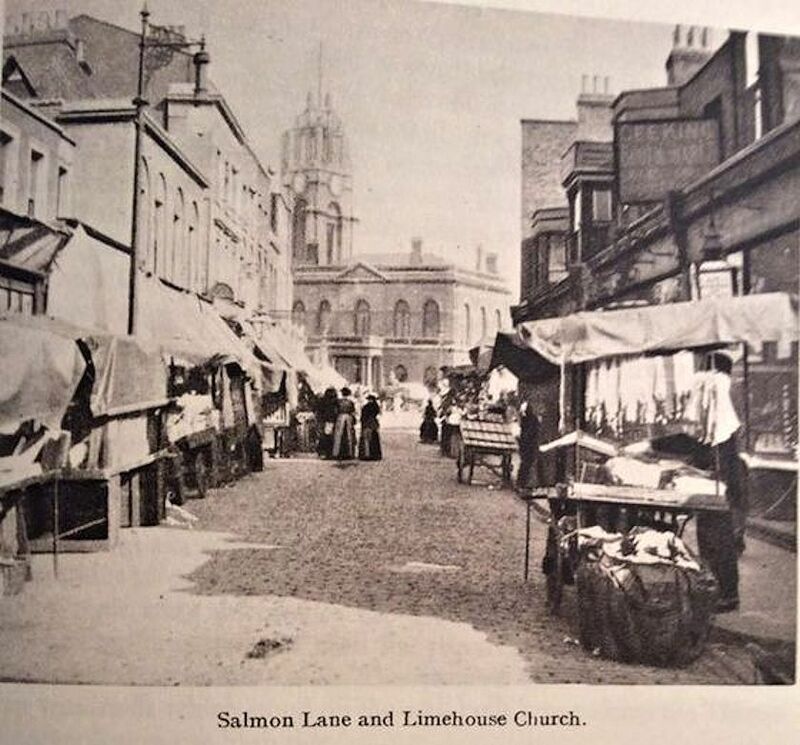 All 11 of the children were baptised in St Anne's Church, Limehouse. 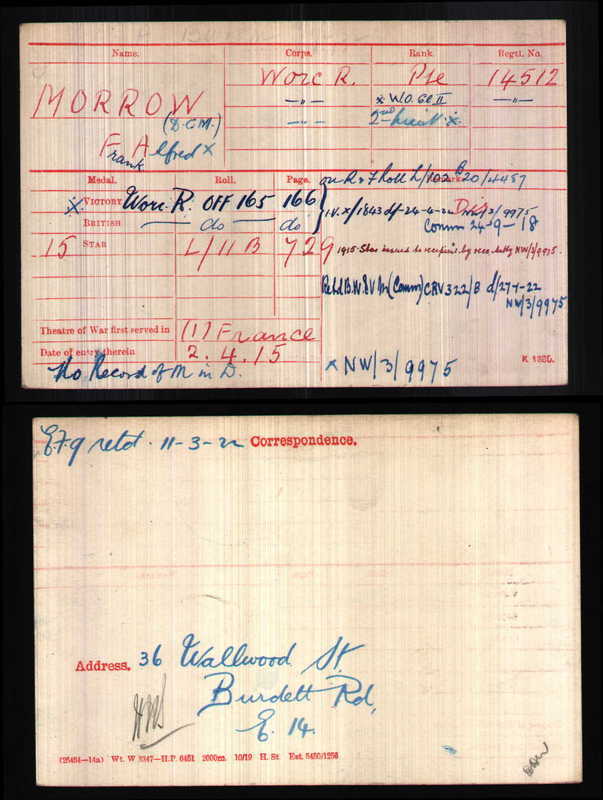 My research lead me to discover that George and Clara’s son Frank Alfred Morrow who was born in 1892, fought in both WW1 and WW2. 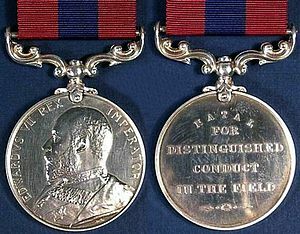 An article in the London Gazette dated 13th Februay 1917 said that Sergeant Frank Alfred Morrow, of the 3rd Worcester Regiment, service number 14512 was awarded the Distinguished Conduct medal for his actions during the Leipzig Salient during the battle of Thiepval on 7th July 1916. 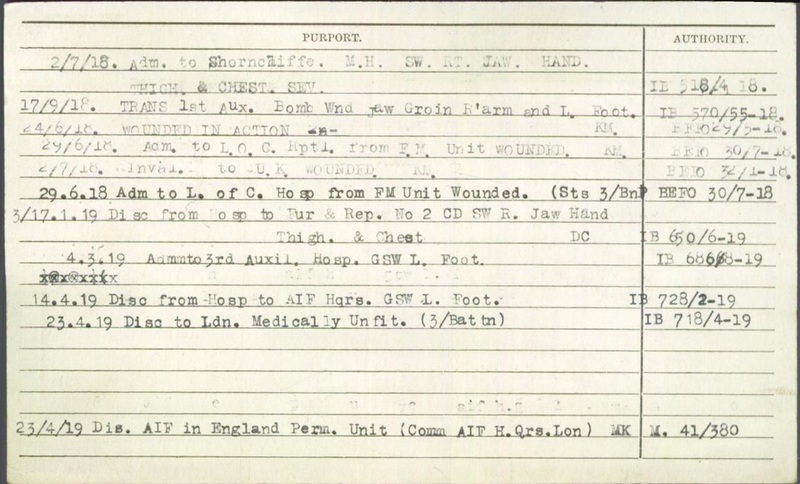 A diary entry by a soldier who witnessed Frank Morrow's actions on 7th July at Thiepval, wrote:- “Sergeant F. A. Morrow took command of leaderless men of both units, held his ground and reestablished the position. 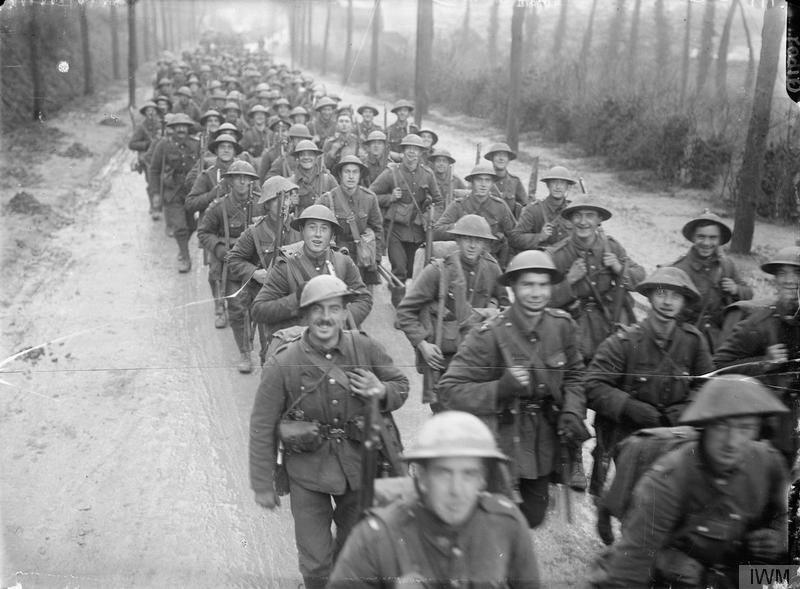 Attack and counter attack followed in quick succession and the losses were very heavy, but the troops fought splendidly” Records show that on that day in 1917, Frank’s regiment lost 145 men. 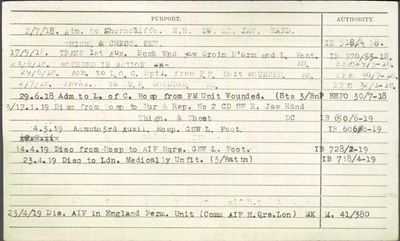 He went on then to be commissioned as Second Lieutenant into the 5th Reserve Battalion Worcestershire Regiment, on 25th September 1918. Frank survived World War One, and went on to fight in World War Two. He died in 1944. 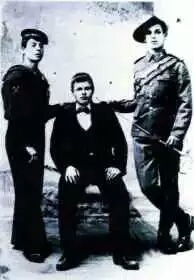 I then discovered the story of Frank's younger brother Sidney Walter Morrow the youngest son of George and Clara. 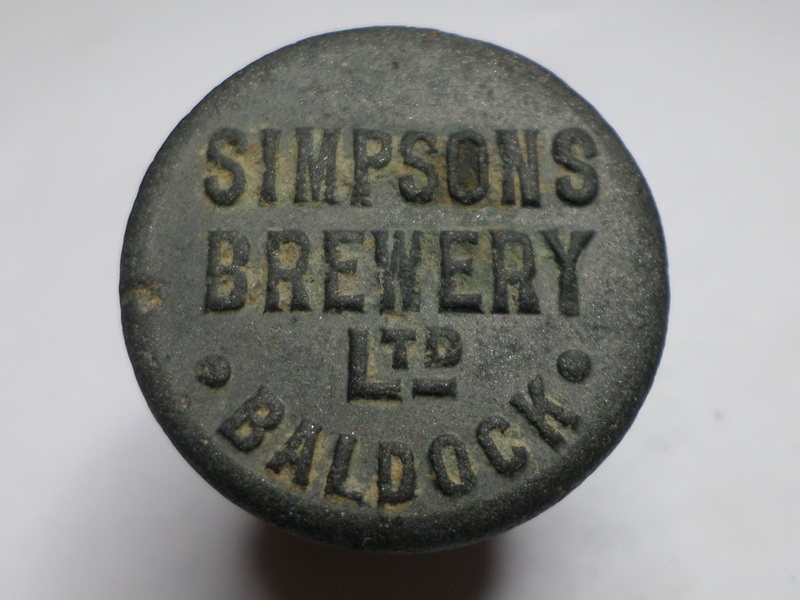 Sidney was born on 15th May 1899 and was baptised at St Anne's Church, Limehouse on 4th June 1899. 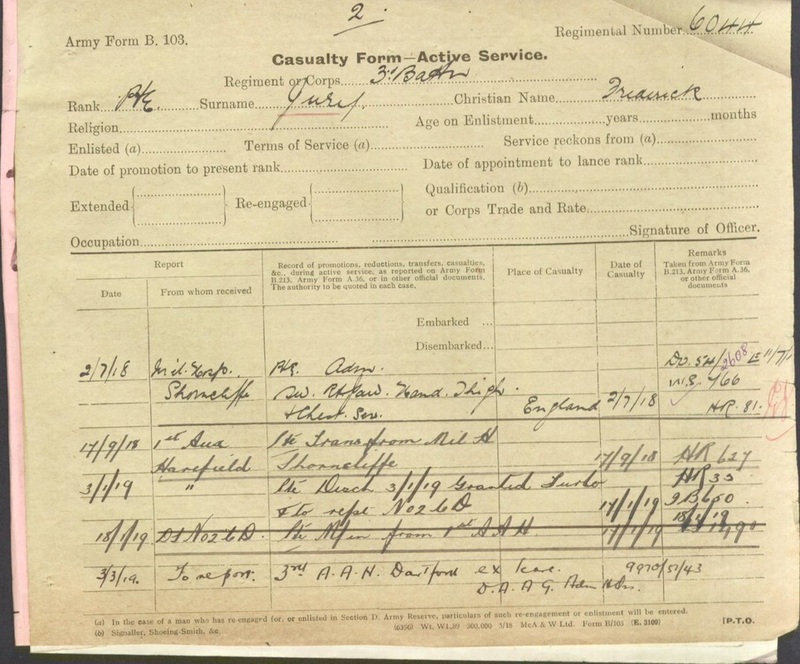 In May 1918, just days after his 19th birthday he was dispatched to France with the 10th Battalion (City of London) Royal Fusiliers. 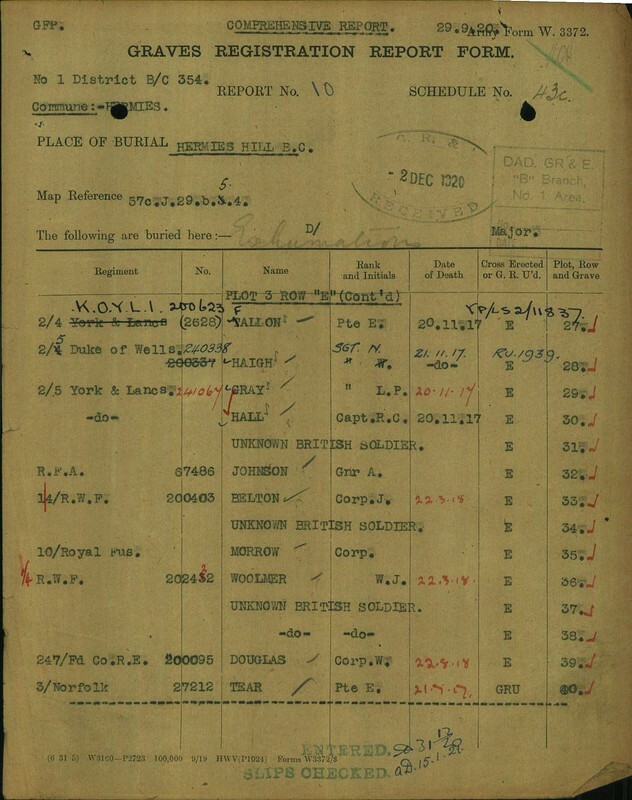 Sadly, just 4 months later, on 14th September 1918 just under 2 months before the end of the War, Corporal Sidney Walter Morrow, service number 72002 lost his life in a battle east of Trescault, in Flanders. Sidney never returned to Limehouse. He is buried in the Hermies British Cemetery in France. 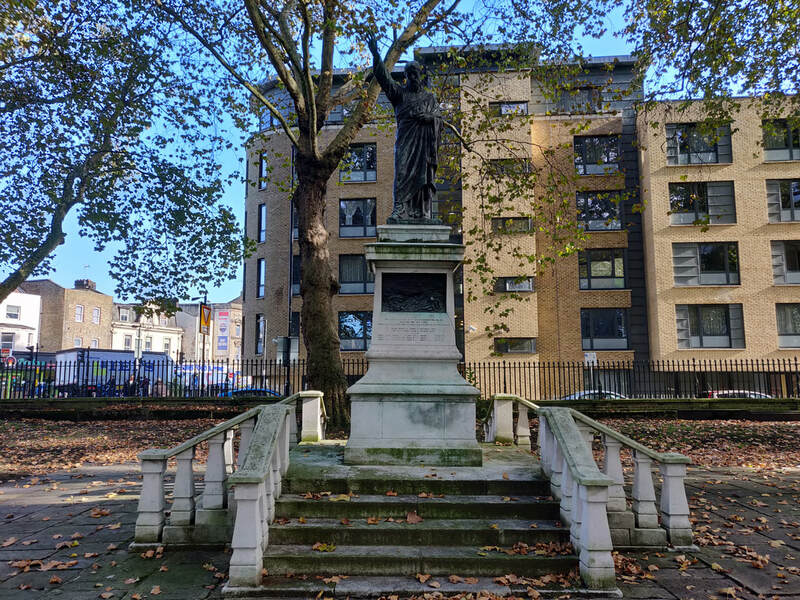 I decided to visit the War Memorial in the graveyard at St Anne's Church in Limehouse to see if Sidney's name was included. It was a moving moment to find Sidney's name on the memorial, in the shadow of St Anne's church where he was baptised. 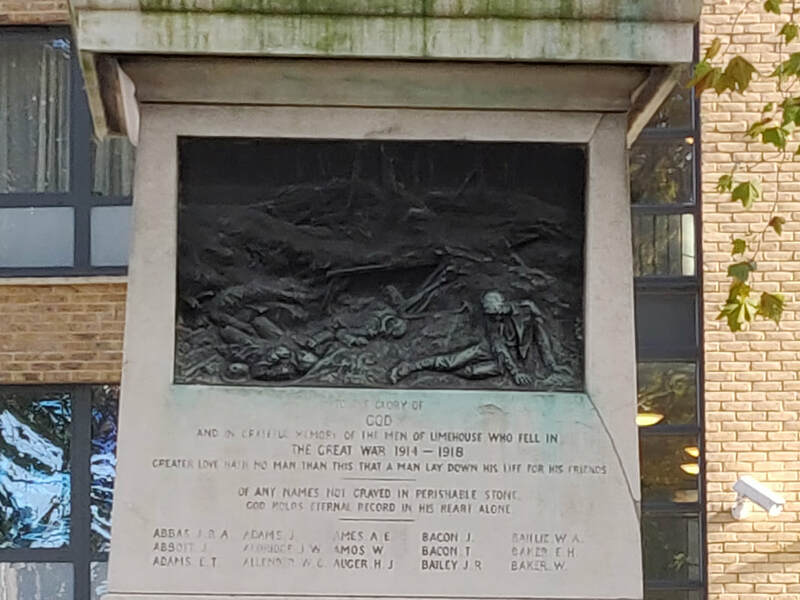 His name is listed alongside the hundreds of other men from Limehouse who lost their lives during World War One. 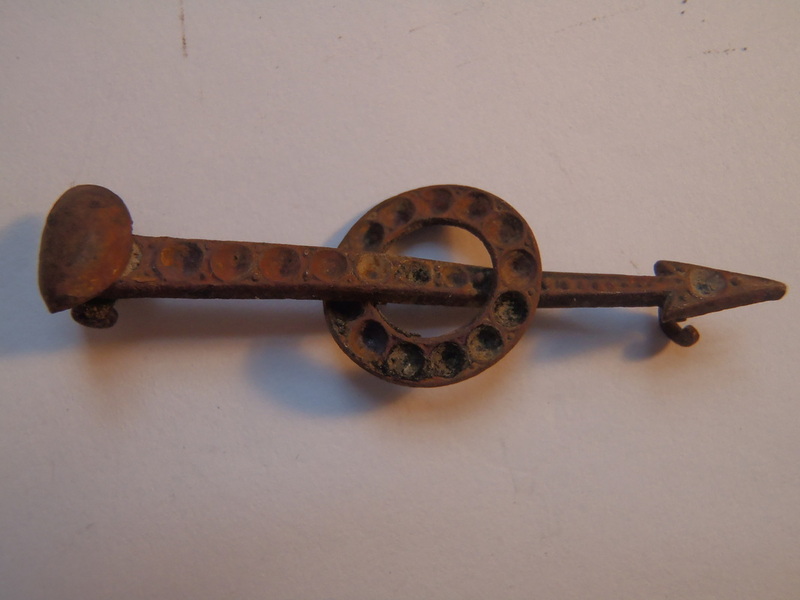 ​I am happy that curiosity got the better of me and that I decided to bring the padlock home with me. 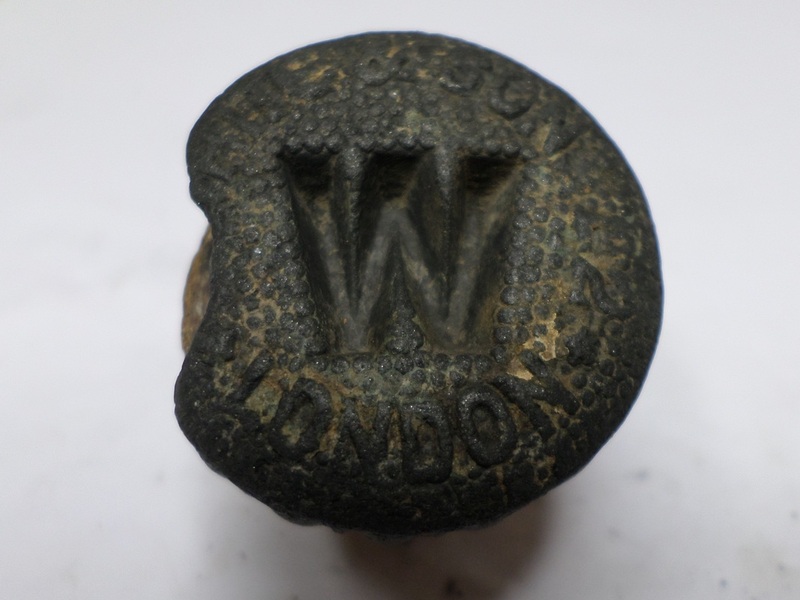 It is a fine example of the wealth of stories and history contained in the River Thames. 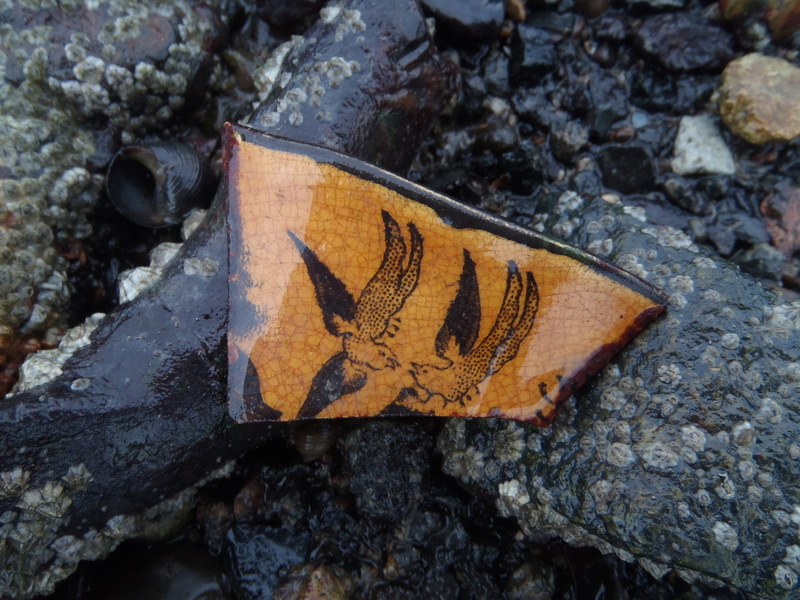 Finding and putting together these fragments of lives washed up on the foreshore is so immensely important to me. 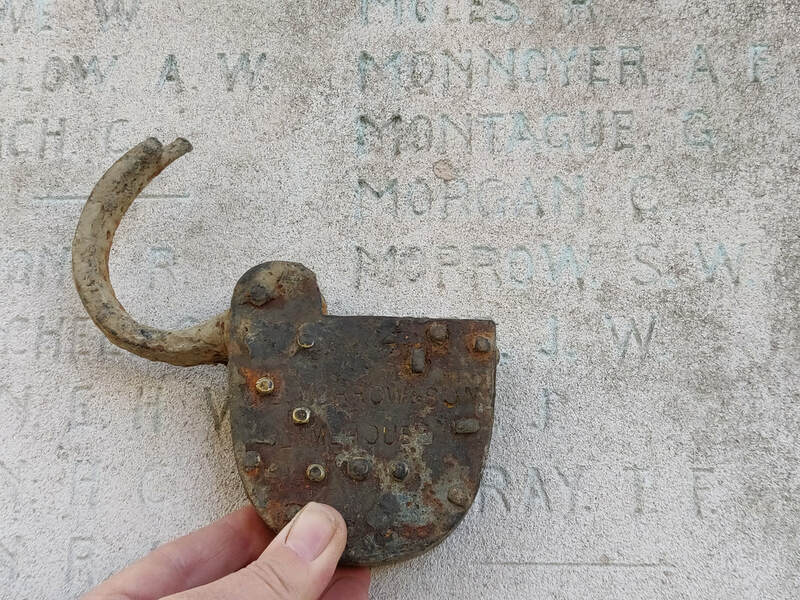 In this case, this old rusty padlock really did unlock a story from the past, and for a while brought the Morrow family back to life. There are so many more ordinary people and families whose pain and loss as a result of World War One we will never know about, and by paying tribute to Sidney, Frank and their family this November, 2018, one hundred years after the end of WW1, this is also a tribute to all those who fought and lost their lives during that conflict, the countless unknown soldiers, and the families who mourned them. 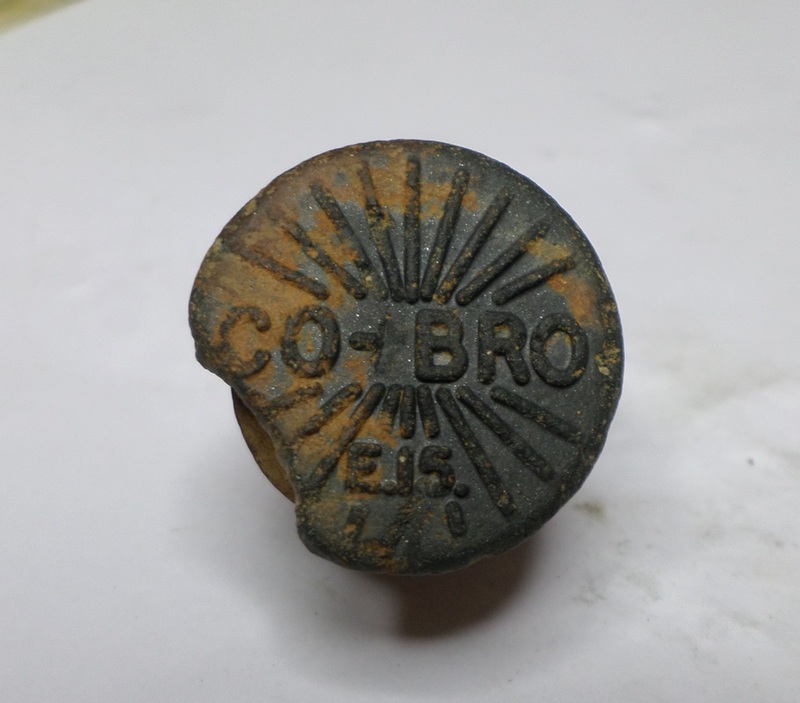 Thank you to David and Lindsay Wheatley for their help on researching the Morrow family. 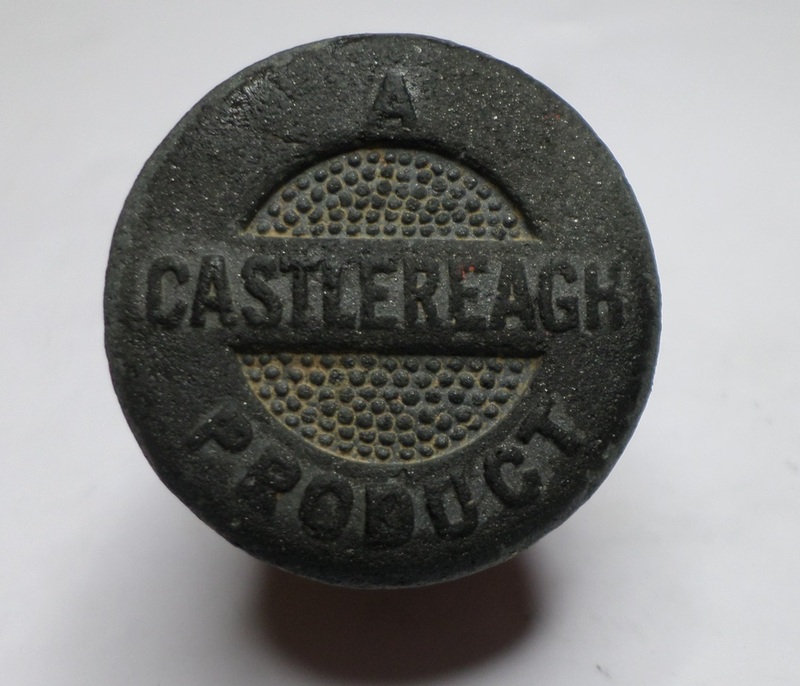 Also to Ancestry, an invaluable resource - and of course to the various resources to be found on the internet. 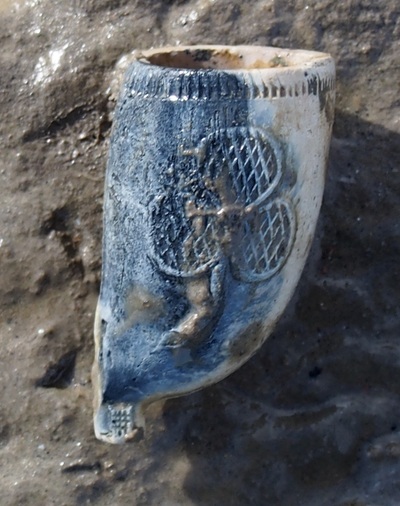 A little piece by BBC South East about the fight against plastic pollution and the messages in bottles I find whilst collecting plastic in Kent along the Thames Estuary and the River Medway. Fragments of past lives are scattered over the beaches of the River Thames in London, be that in the family business name engraved on a brass button, the crest on a piece of pottery, or in this case, a name stamped on a clay pipe stem. And when you hold a river worn piece of history bearing a name, it holds the potential to bring back a story from the past, or indeed a whole family. 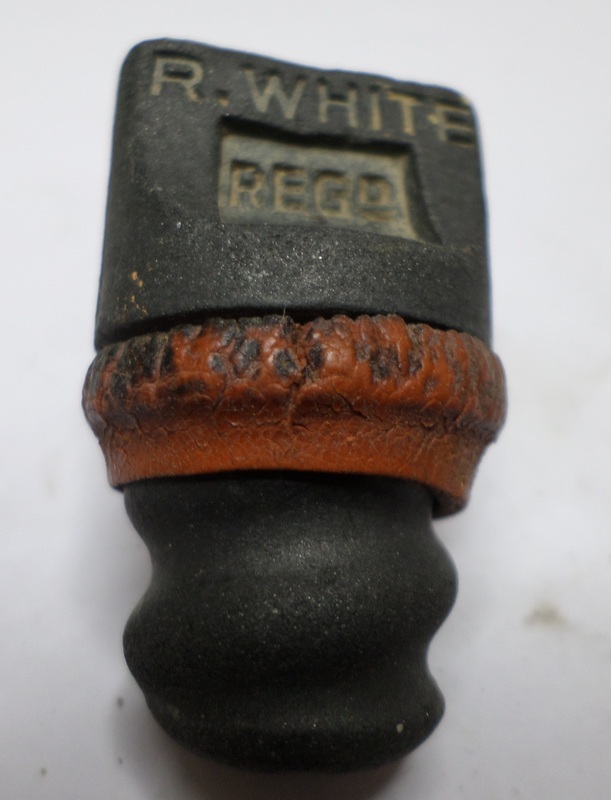 This pipe stem did just that. It not only lead me to discover a family of clay pipe makers from Plumstead, but also, it lead me where I was not quite expecting to go; to Christ Church workhouse in Southwark in 1847. 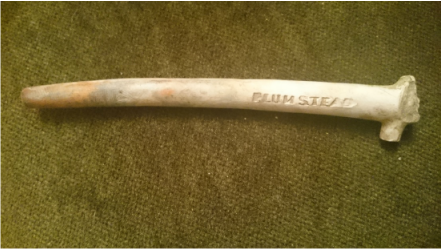 Clay pipe stem stamped with "T. Stubbs"
the other side of the stem marked with "Plumstead"
It is very common to find clay pipes on the Thames foreshore, and it is especially common to find pipe stems. 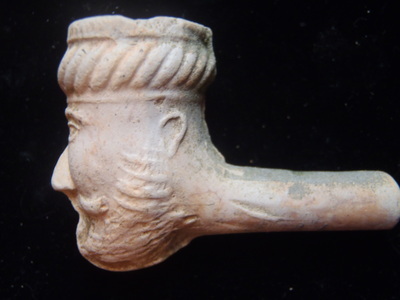 It’s great to find an actual bowl, or even better a whole pipe. 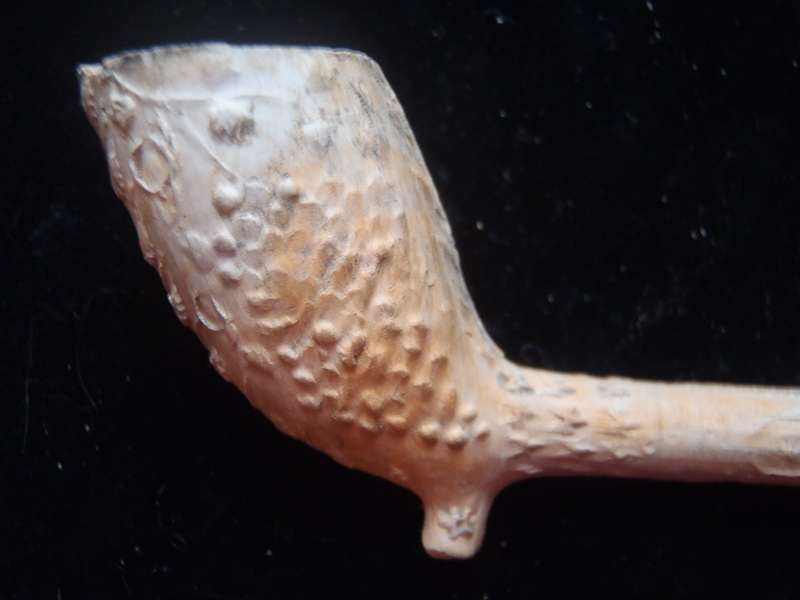 Even a stem though can give a lot of clues as to its origin, especially if it has a makers mark on it, or the name of the pipe maker. In approximately 1860, it became common practice to put the maker's name on the side of the stem, and the name of the town in which he worked on the other side. 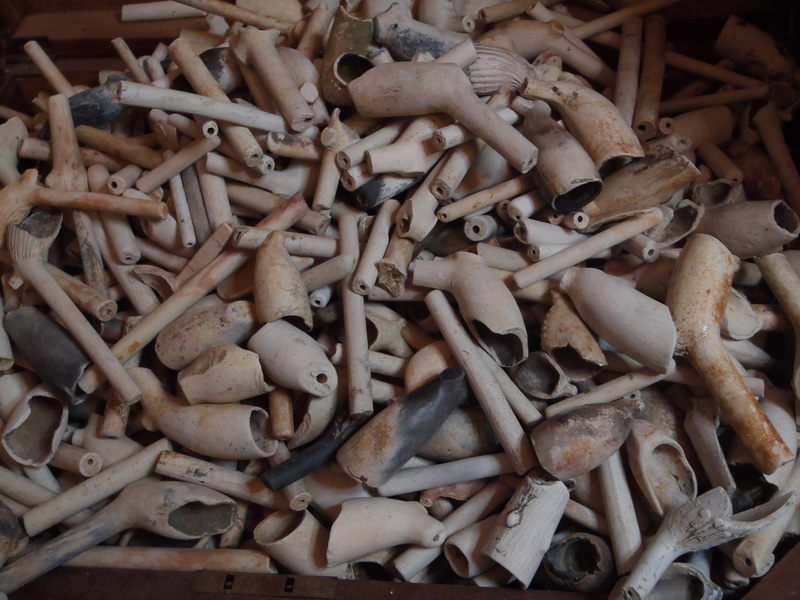 A collection of clay pipes found along the banks of the River Thames over the last year. 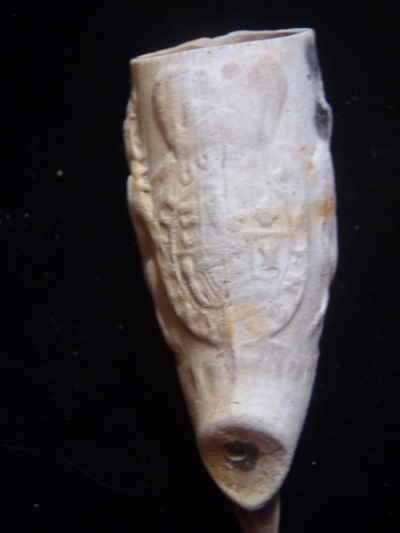 It is of course particularly exciting to find evidence of a local person, and the pipe stem pictured above was just that. I found it on the Woolwich foreshore, and it originated just down the road, in Plumstead. 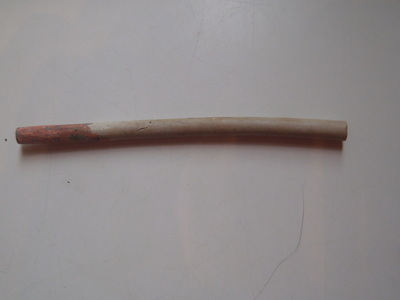 It was a couple of weeks ago that I stooped to pick up a clay pipe stem and noticed it had the name “T. 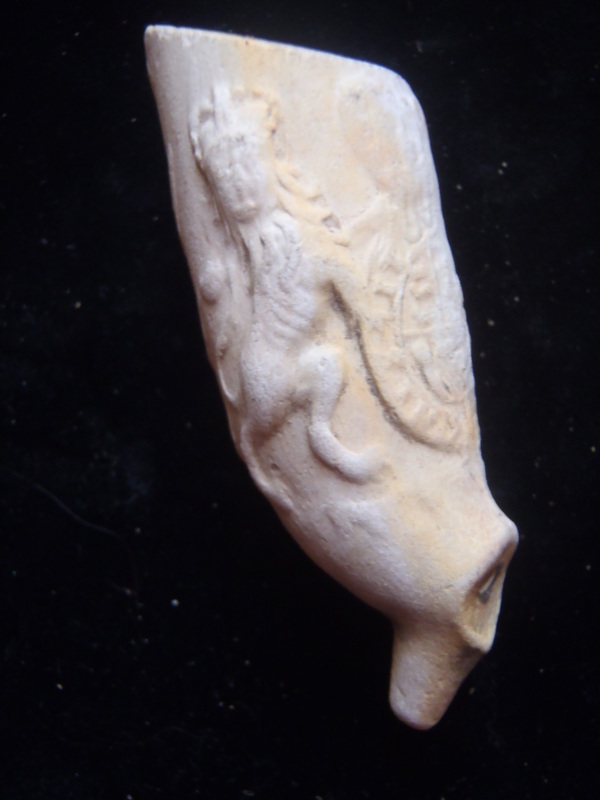 Stubbs” engraved on it. And on the other side, Plumstead. 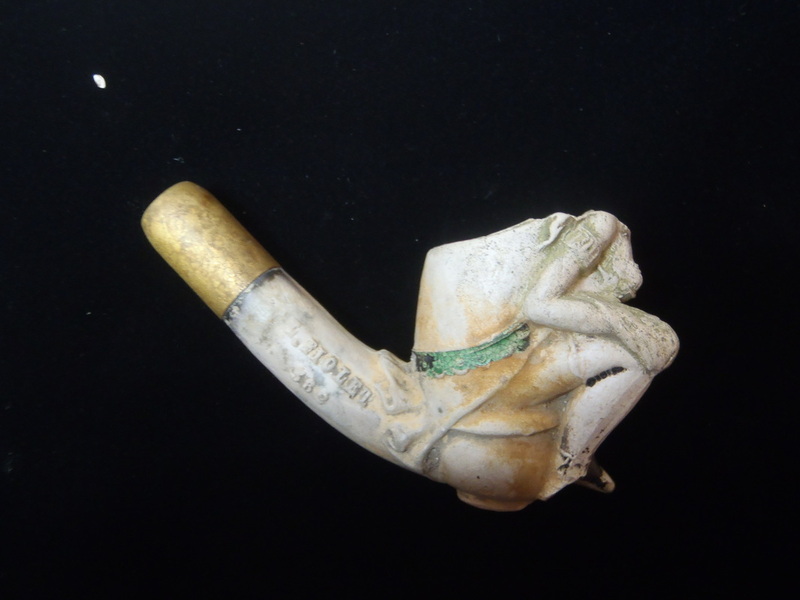 I googled the name "T. Stubbs", and I was delighted to find that it turns out that it is a clay pipe almost certainly made by Thomas Jeptha Stubbs, who was born in 1840 in Shoreditch and who by 1861 was a tobacco pipe manufacturer living at Princes Road in Plumstead. This was great news, as I have occasionally found pipe stems with names on them, and I have been unable to find any information whatsoever. With the amazing wealth of information at our fingertips these days, I was then able to find out through the ancestry research website, that Thomas Jeptha Stubbs married Elizabeth Farlie of Tilbury and went on to have 9 children with her. They married in 1861 in Greenwich when they were both in their very early twenties. 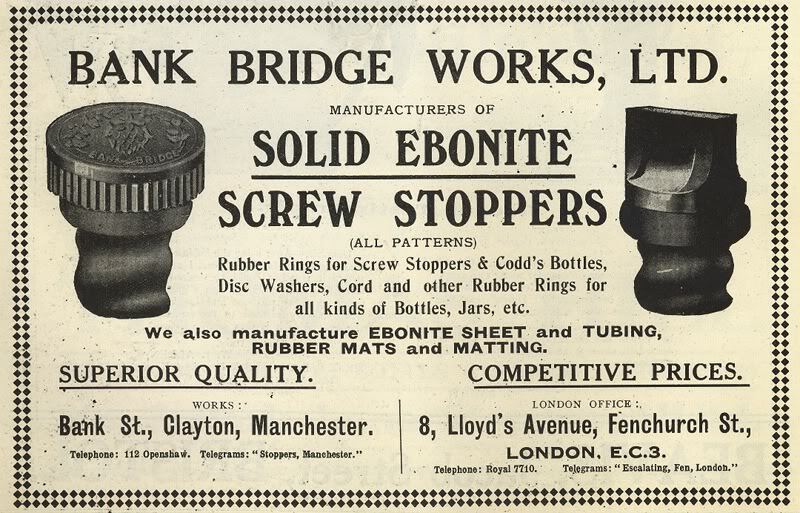 At least three of their children also went on to become pipe makers. Princes Road, where they lived, is no longer in existence, but it seems that quite a few members of the Stubbs family lived there, including Thomas’s brother Henry Stubbs and also his mother Ellen, who had been widowed twice by 1881. 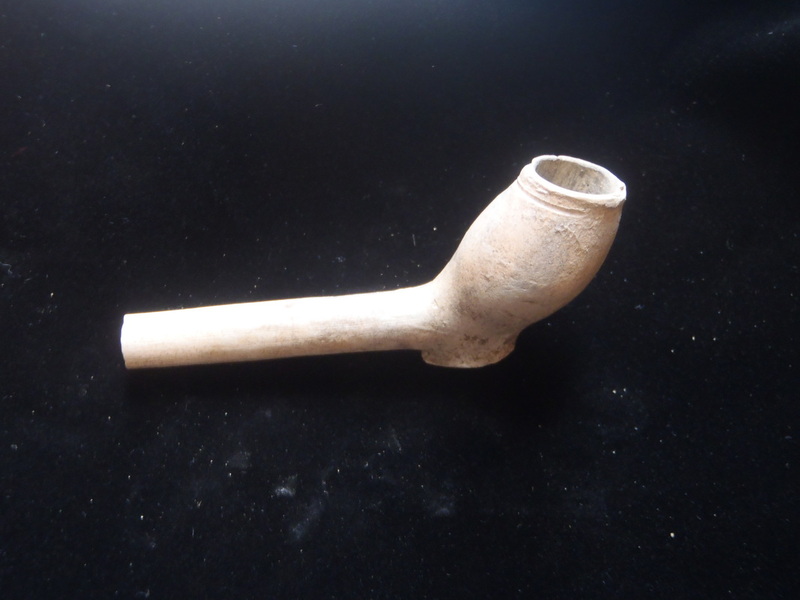 Members of the family were often involved in the manufacturing of the clay pipes, which might explain why the Stubbs children became pipemakers themselves (Thomas, Henry and Walter), after helping their father Thomas Jeptha Stubbs in his workshop. It was common for women and children between 12 and 15 years old to help with the moulding of pipes. 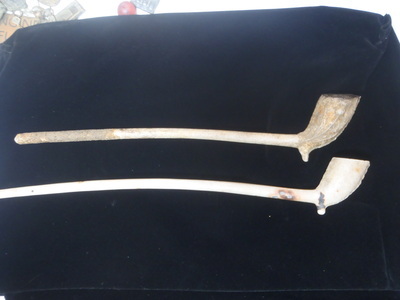 Here below is also some of the ways that they may have helped in the pipe making process. 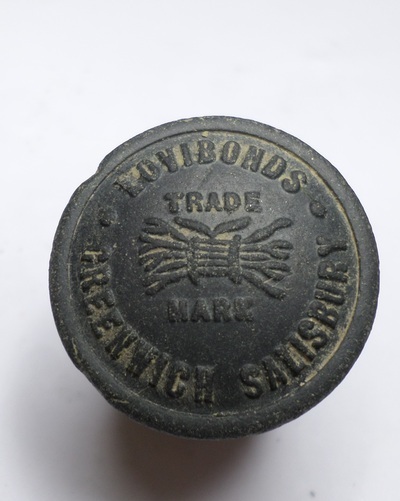 So let's go back to the beginning, to when Thomas Jeptha Stubbs was born in circa 1839 to Jeptha and Ellen Stubbs. 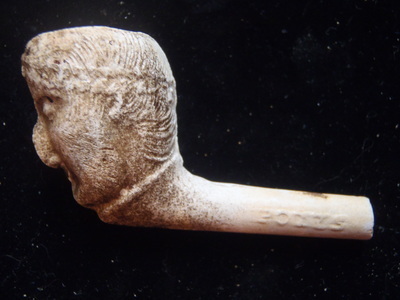 He had 4 other siblings, and his brother Henry also went on to become a clay pipemaker. He was baptised in 1839 at Saint Leonard's Church, Shoreditch. 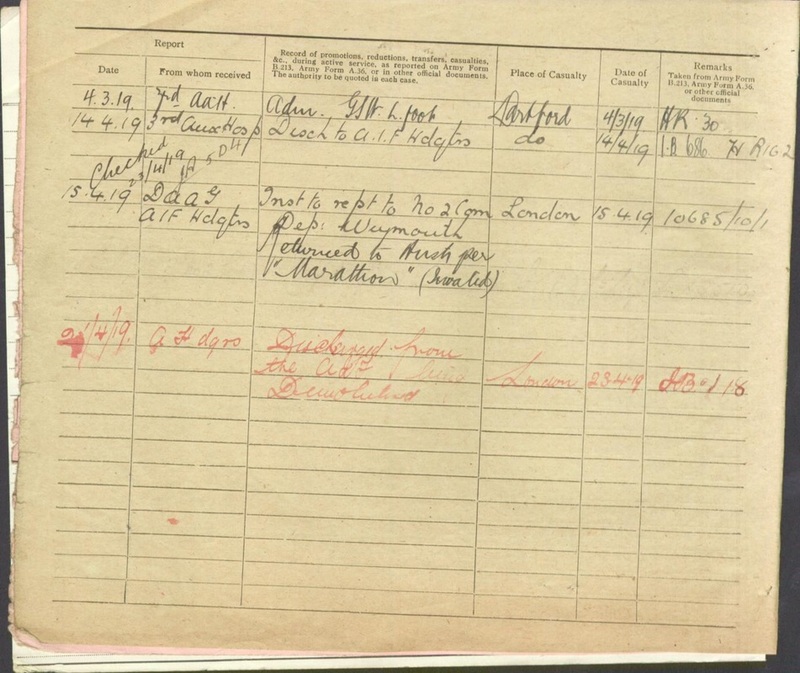 Baptism record below. 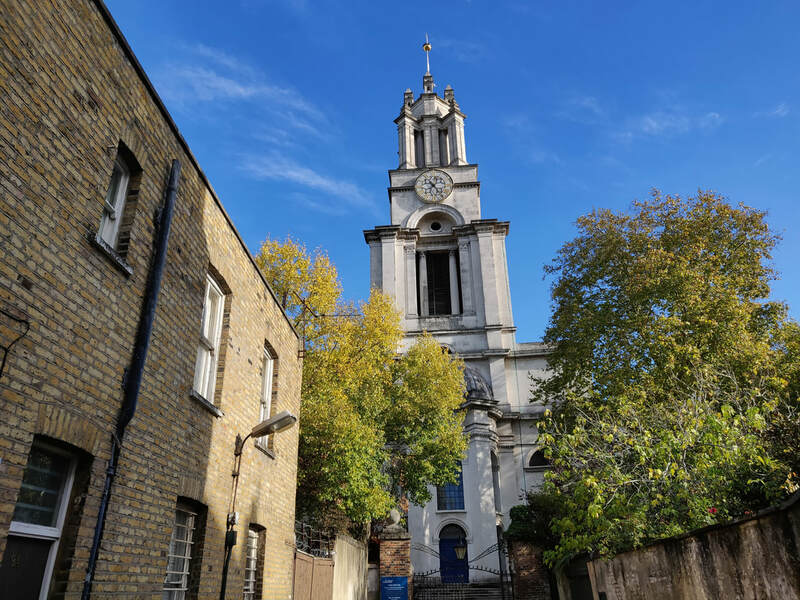 Thomas Jeptha Stubbs was baptised in 1839 at Saint Leonard's Church, Shoreditch. 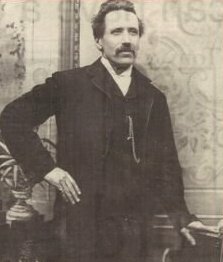 Thomas Jeptha Stubb’s father was also called Jeptha and was born in 1797. 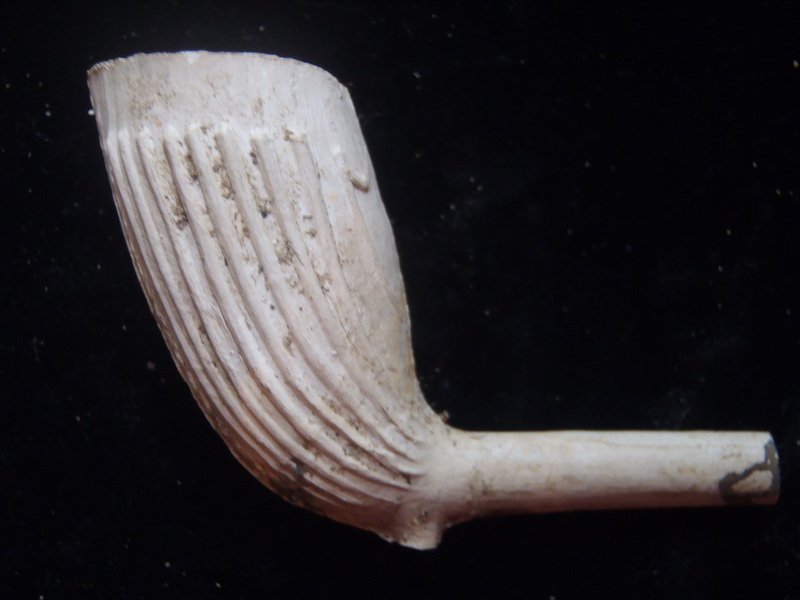 His vocation was also recorded as being a clay pipe manufacturer. It seems though that life was certainly not easy for Jeptha senior, and his wife Ellen – and according to records, the family made frequent trips to the Christ Church Workhouse in Southwark where they were admitted on 3 or 4 occasions between the years 1847 and 1854 and were provided with food and shelter. 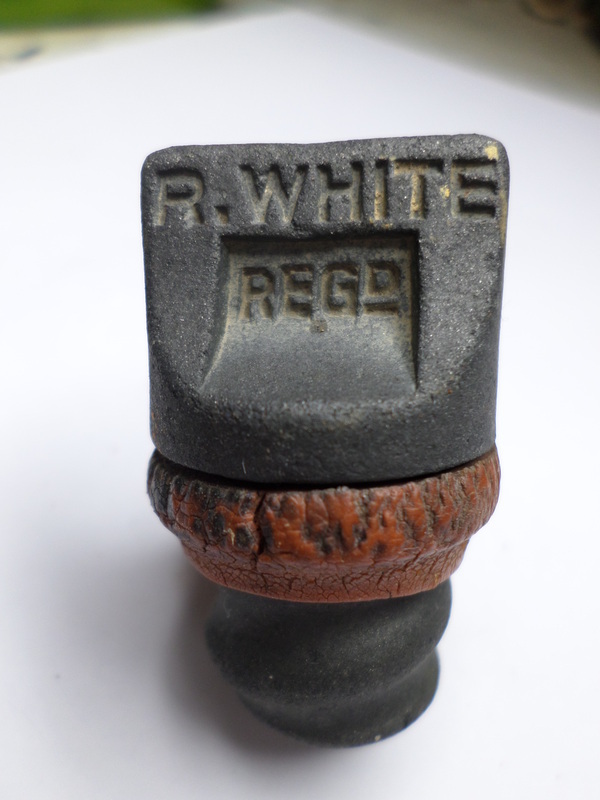 It has to be mentioned that a lot of pipemakers struggled to make a living. This was for a variety of reasons, but especially as there was such a lot of competition. By 1650 there were at least a thousand pipe makers in London alone and many others operating in other towns. 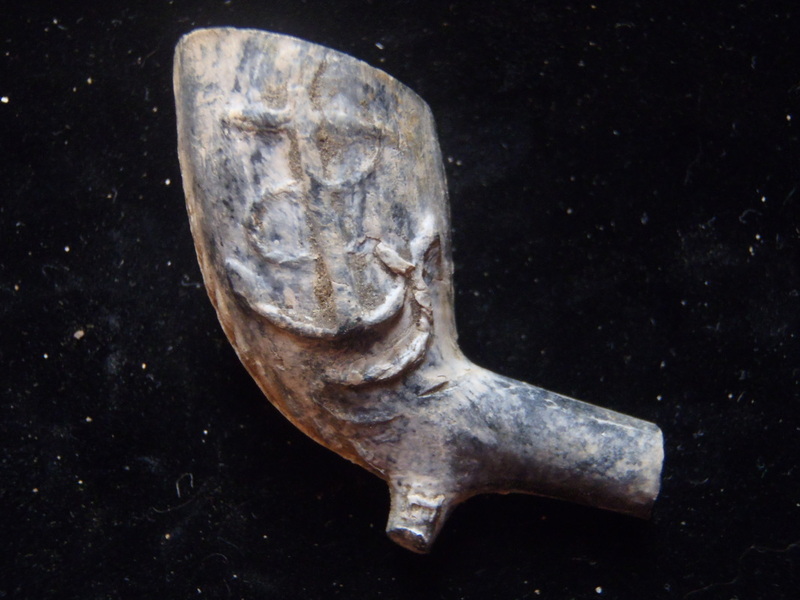 It was not unusual for pipemakers to travel from town to town to escape this extreme competition. 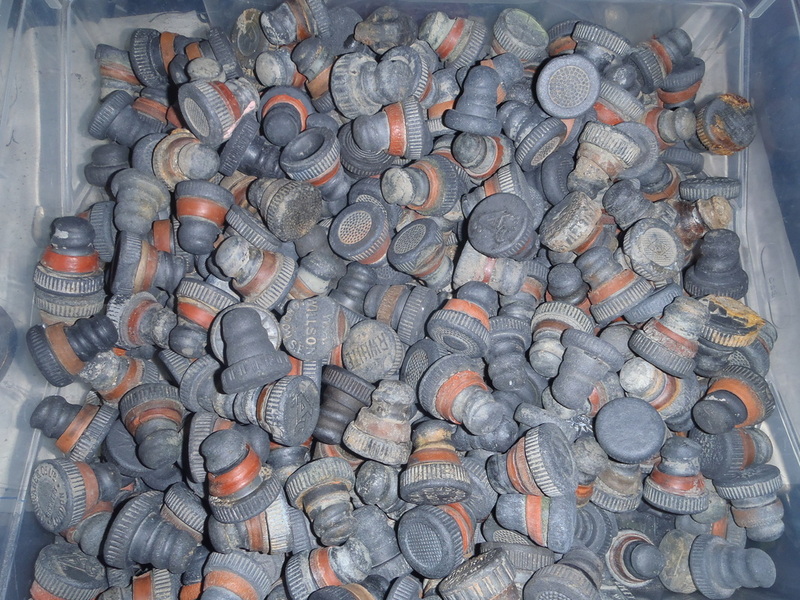 Also, there were issues such as availability of fuel for firing, and the distribution of pipes. There was also the fact that innkeepers cleaned pipes so that they could be used over and over again by their customers and this didn't help pipemakers desperate to sell their wares. 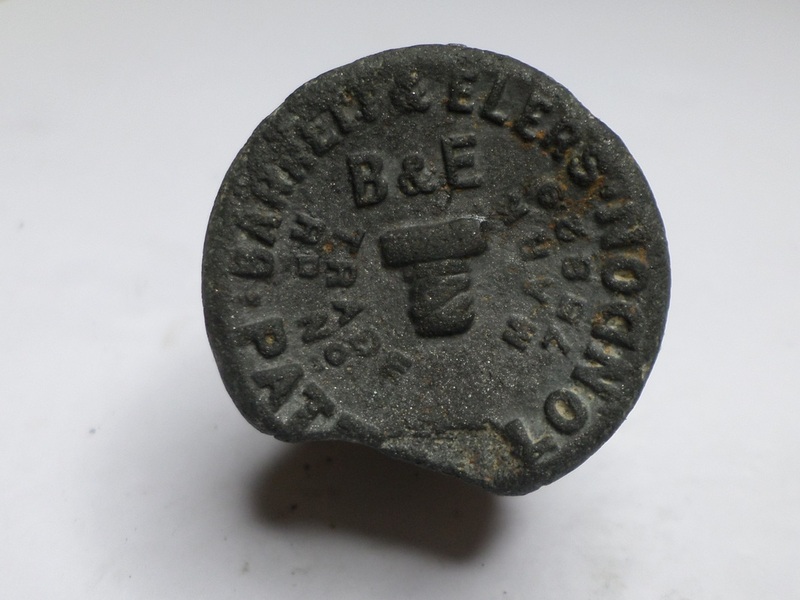 I wonder therefore, if any of these problems were encountered by Thomas's father Jeptha - which may have caused him to seek help from the Christ Church workhouse (who provided relief to the poor in times of hardship). Life would not have been particularly easy or family oriented in the workhouse, and so it is evident that they stayed only as long as necessary to get back on their feet again by the looks of it and it’s clear that Jeptha Stubbs did not want to stay longer than necessary as he discharged them from the workhouse on several occasions. 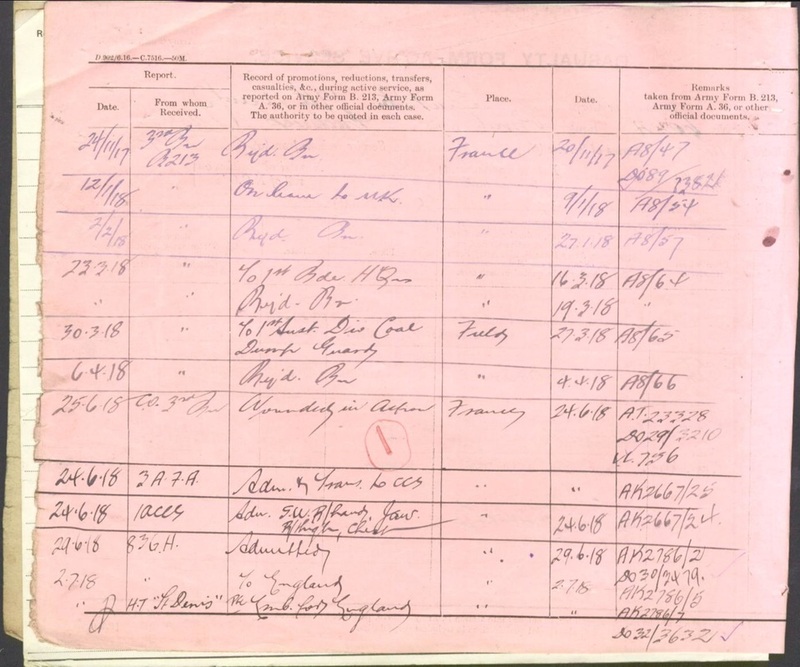 The records from the Christ Church workhouse below detail how the family were given loaves of bread and other help, during their stay. Other records on the Ancestry site show that the whole family were admitted together on several occasions. 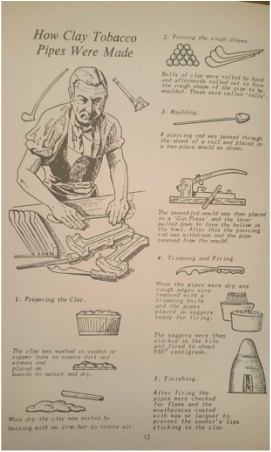 This would not have been a lot of fun, as families were not generally able to stay together. 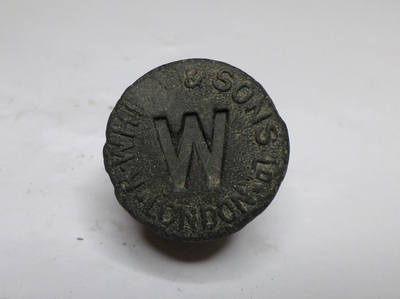 The workhouse was not, however, a prison. People could, in principle, leave whenever they wished, for example when work became available locally. 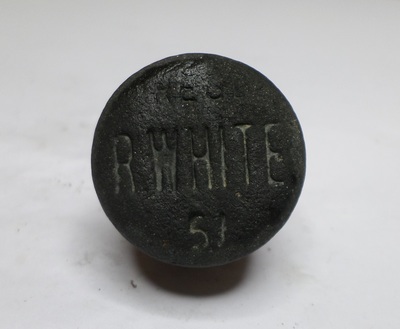 Some people, known as the "ins and outs", entered and left quite frequently, treating the workhouse almost like a guest-house, albeit one with the most basic of facilities. For some, however, their stay in the workhouse would be for the rest of their lives. 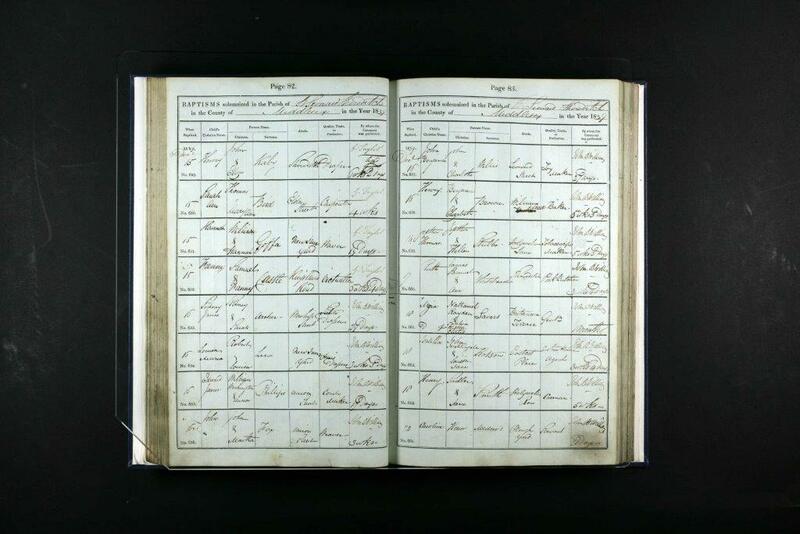 It's quite sad to note that the last discharge records for the Stubbs family, from Christ Church are in November 1853, when Thomas Jeptha Stubbs and his brother Henry discharge themselves 11 months after their father Jeptha dies whilst a resident in the workhouse at the approximate young age of 54. 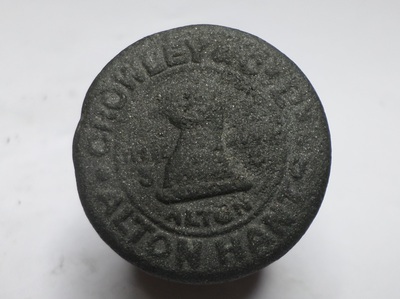 He was buried on January 7th 1853 at St Peters Church, Walworth (Southwark). This means that Thomas and Henry would have been teenagers when they discharged themselves (about 15/16 years old). And happily, it seems they never went back. At least, there are no records to indicate that they did. Thomas Jeptha Stubbs and his brother Henry discharged themselves from Christ Church workhouse in 1853 after the death of their father Jeptha. At some point after that, both Thomas Jeptha Stubbs and his brother Henry, ended up in Plumstead making clay pipes and having their own families. 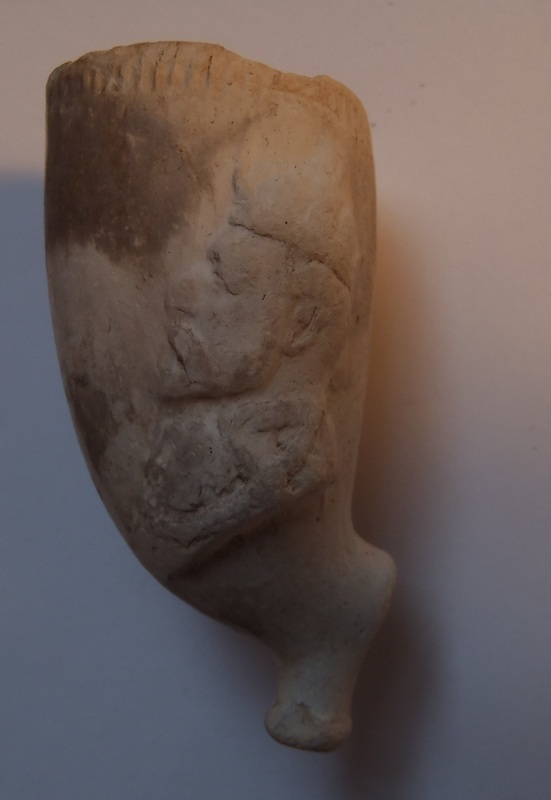 We know that Thomas Jeptha Stubbs married Elizabeth in 1661, and by 1881 they were living at 22 Princes Road with several children (who were helping him with the pipe making). 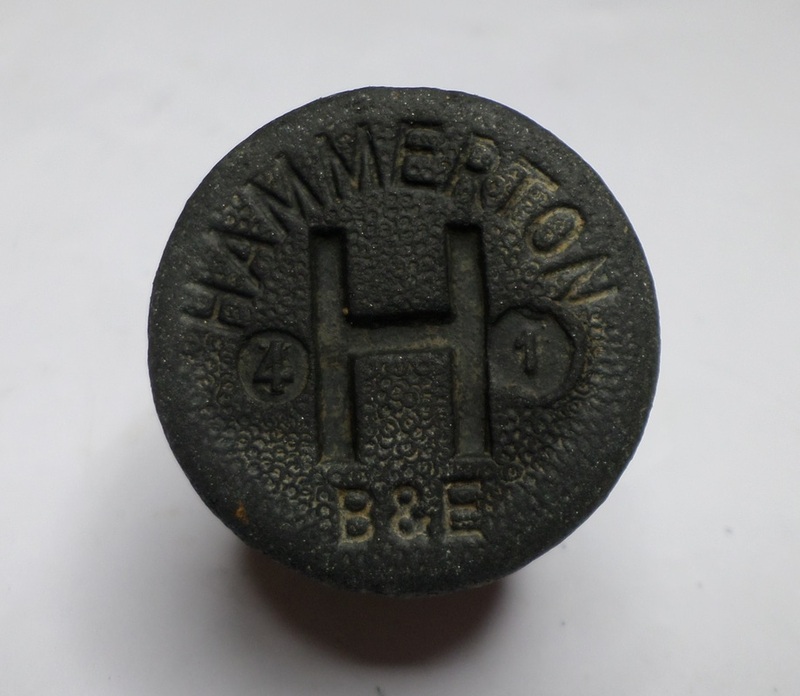 His brother Henry Stubbs was living at 31 Princes Road with their by now twice widowed mother, Ellen. 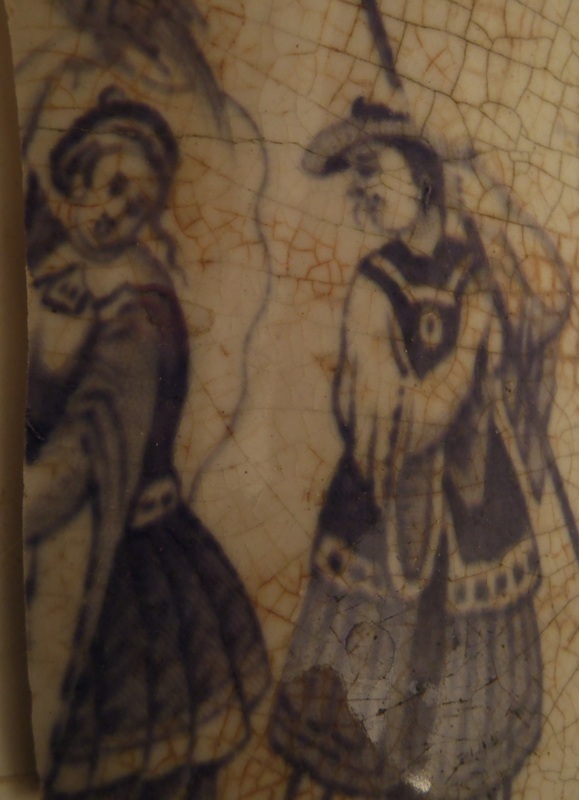 Their lives were doubtless not always easy either. One of their 9 children died in combat in the first world war (Thomas David Edwin Stubbs). 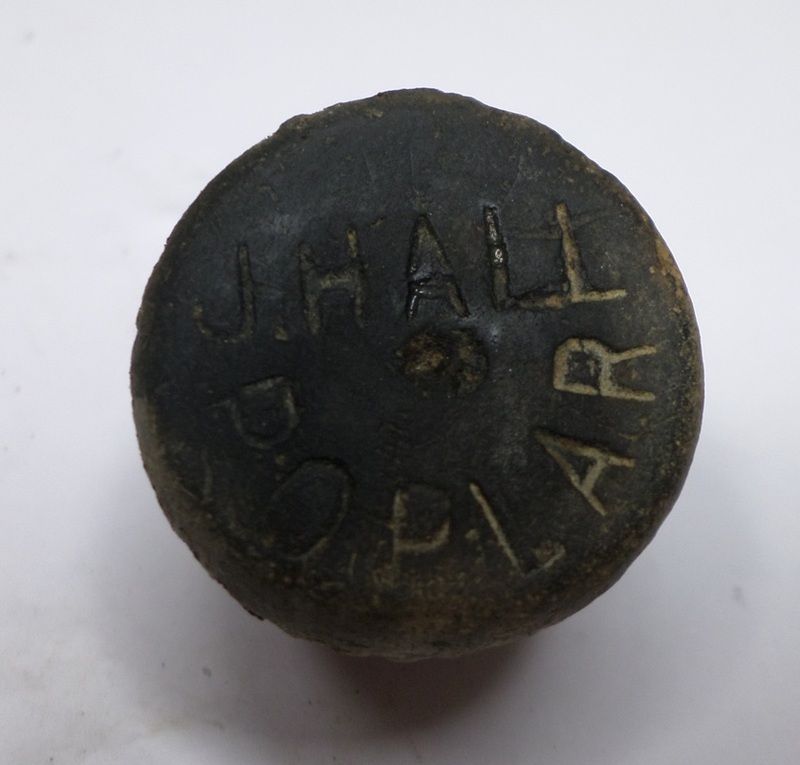 He was in the special reservists (The Reserve Cavalry Regiment. 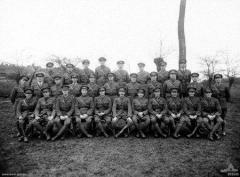 1st Battalion). 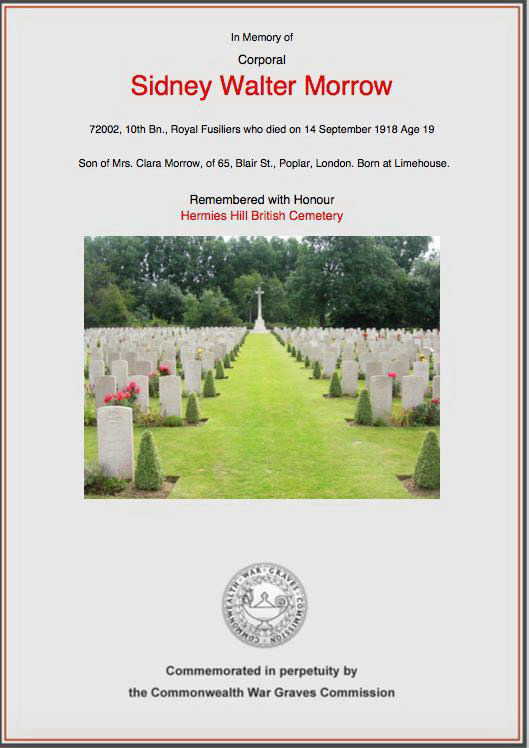 He died on 5th September 1918 and he is buried in Curragh military cemetery in Ireland. 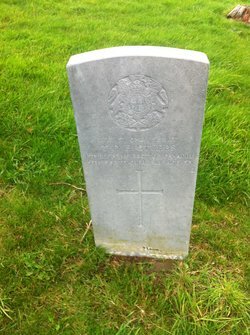 The picture of the grave below is that of Thomas David Edwin Stubbs 11118 Squadron Quartermaster Sergeant, The Reserve Cavalry Regiment. 1st Battalion. (Transferred to 229296 The Labour Corps. 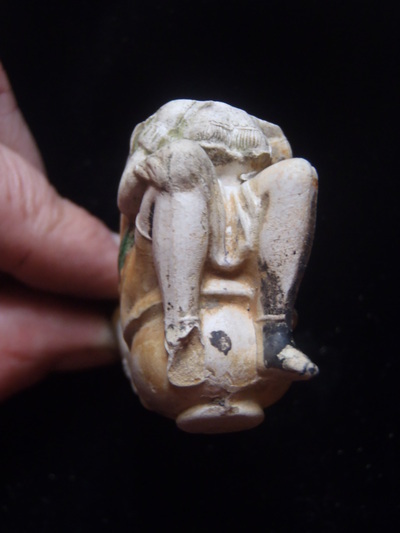 Son of Thomas Jeptha Stubbs. Husband of Mabel Stubbs, of Folkestone). Thomas Jeptha Stubbs himself, died in 1912, well before the first world war in fact, in Lewisham, at the age of 72. Even though it was initially Thomas Jeptha Stubbs and his Plumstead pipe making business that intrigued me, through sheer virtue of finding one of his pipe stems that he himself (or one of his children) would have stamped, I have to admit, that by the end of my research, my thoughts were especially with Thomas's father, Jeptha Stubbs who last saw his sons Thomas and Henry when they were teenagers, and who died unaware that they were to go on to have large families and successful businesses, right up to the present day. 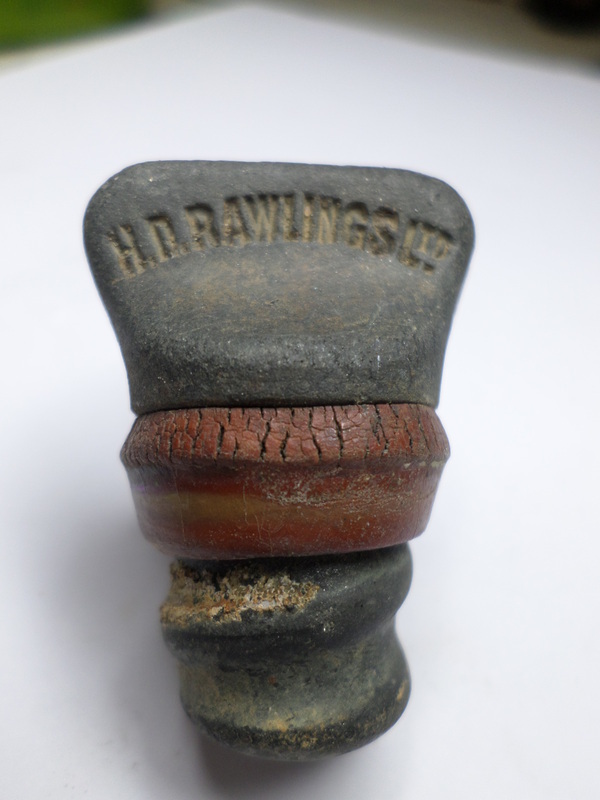 I am so glad that I found this name stamped on a clay pipe stem during one of my Woolwich mudlarking trips. 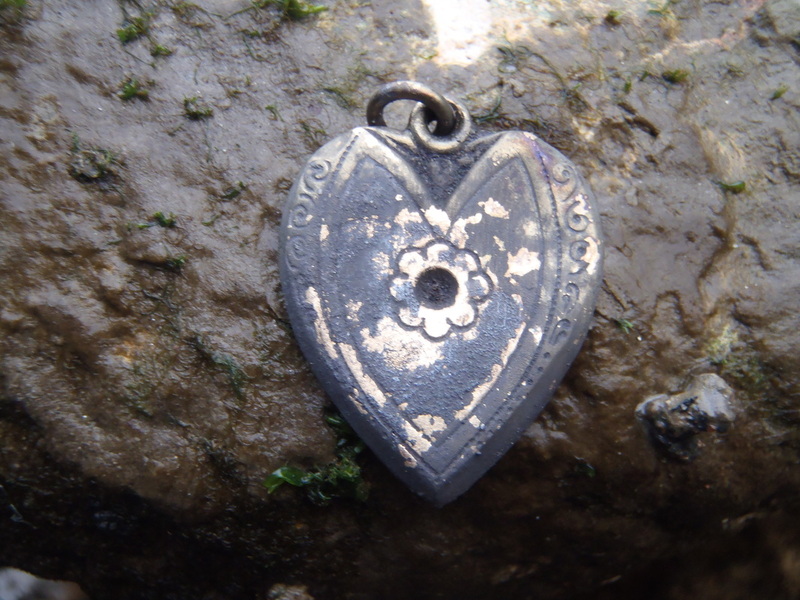 It is another of the stories that the River Thames throws out with the tide - and it goes to show that your story, and your name lives on long after you are gone. 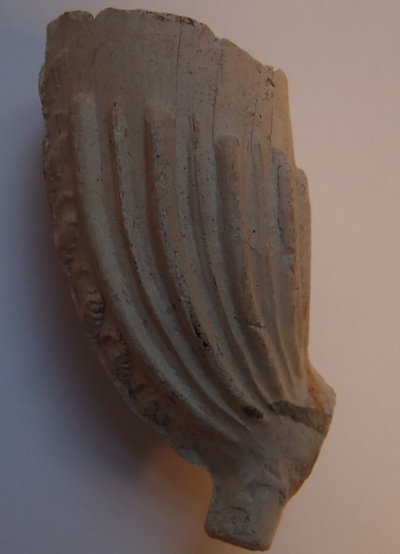 Here's a special shout out to Jeptha Stubbs, who looked after his family in the best possible way that he could, and must have done a good job, as it seems they did pretty well - God rest his soul - I have no doubt that he would be exceptionally proud of them all. 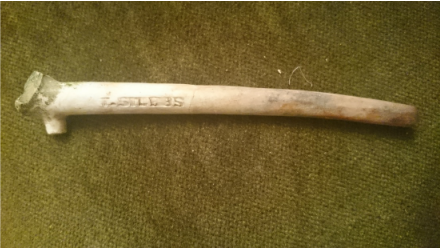 fragment of a past life, found on the River Thames foreshore in November 2015 "T. Stubbs"
Last night, Mischa, much loved labrador and family member drew her last breath. 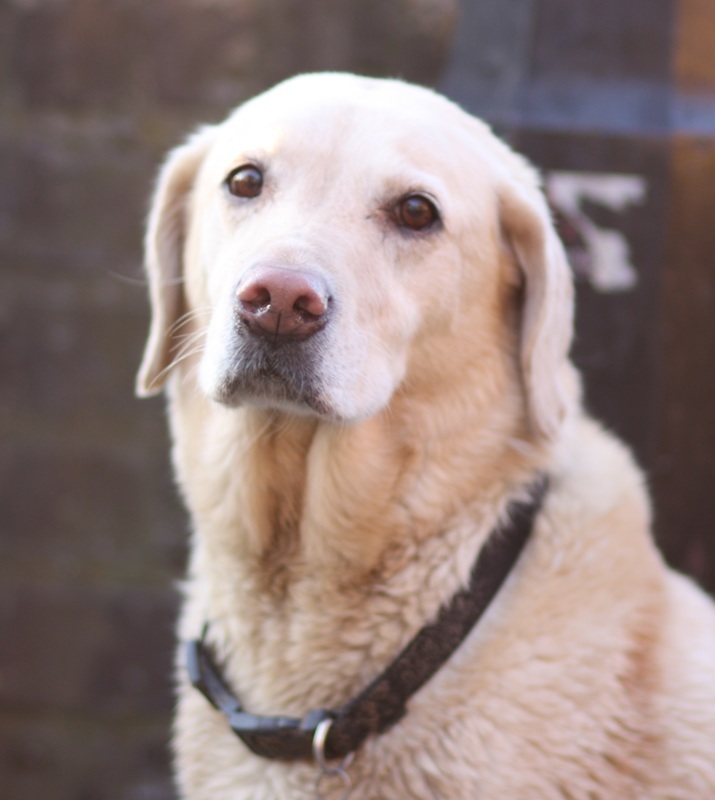 She was fifteen years old and lived her life to the full. 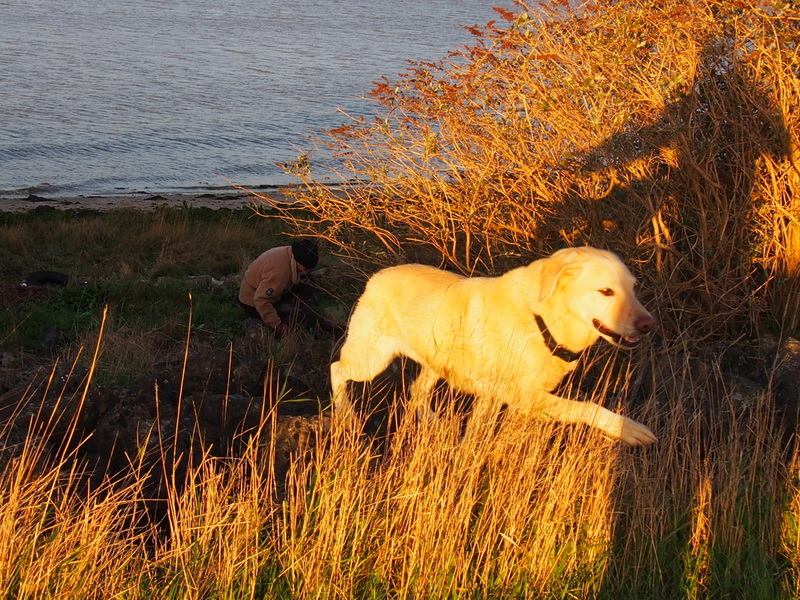 Only on Sunday she was wading through the Thames estuary mud like Lassie on a rescue mission. 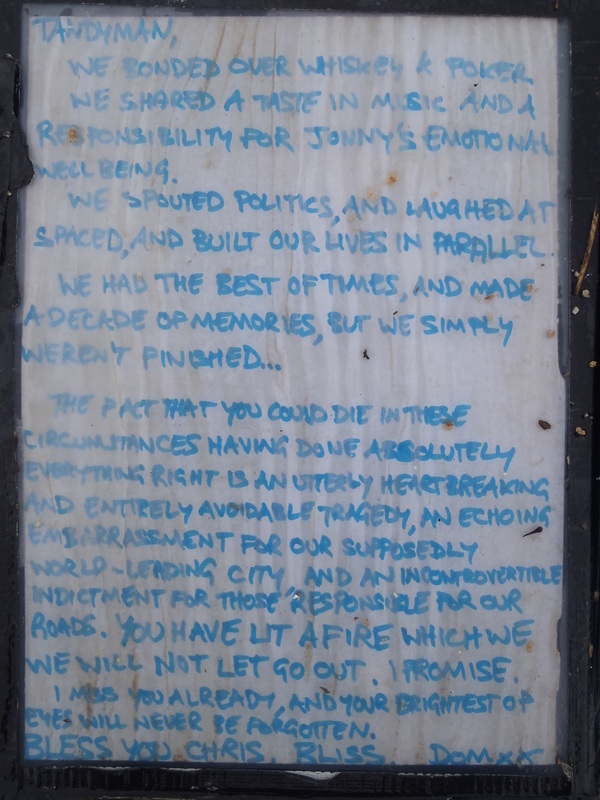 I felt compelled to write a little eulogy for her. She wasn't my dog, but I met her five years ago and since then, I grew to love her very deeply. 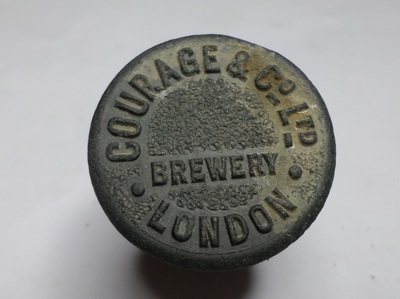 Fearless girl, she traipsed through knee deep mud in search of mudlarking treasures, she braved the perilous currents of the River Thames to retrieve bottles and balls. 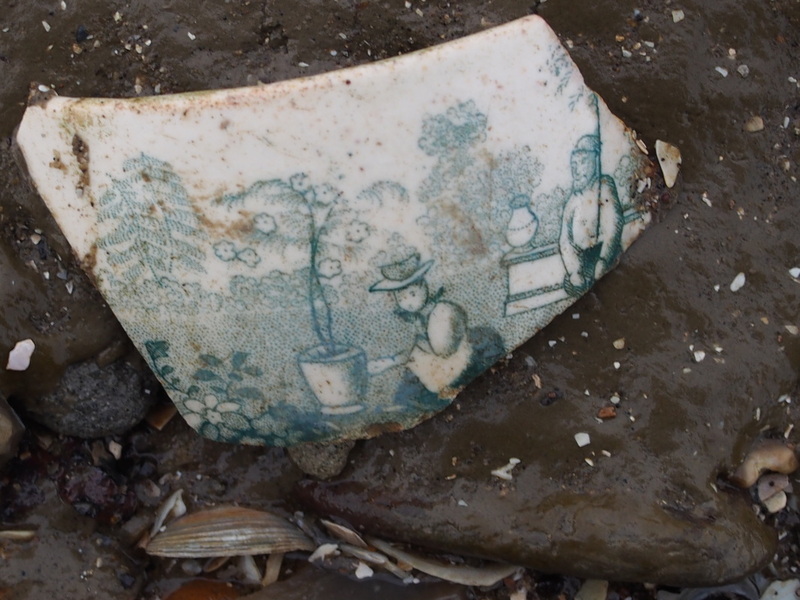 She loved nothing more than to throw herself into the Thames estuary, to search and bring back whatever you threw in. 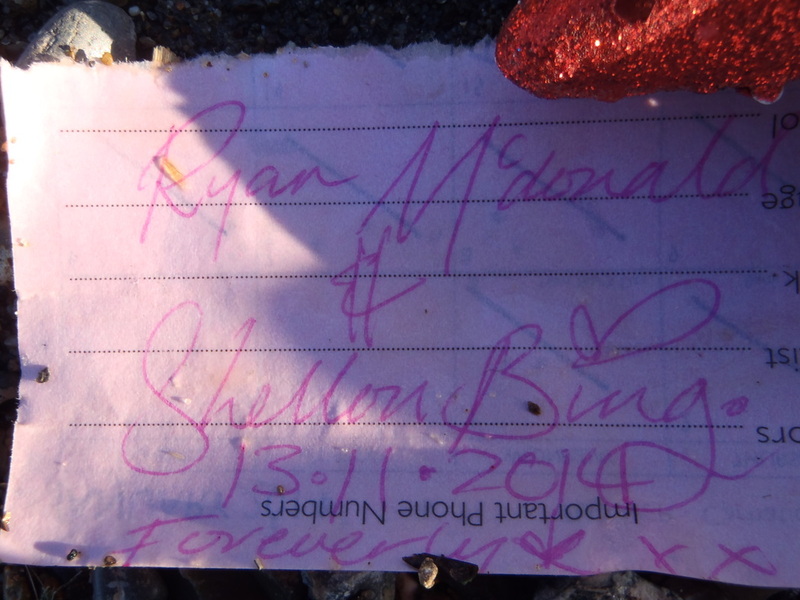 She found my first ever message in a bottle out of 70. She frolicked with a seal called Judo, and she captured the hearts of many a passerby. 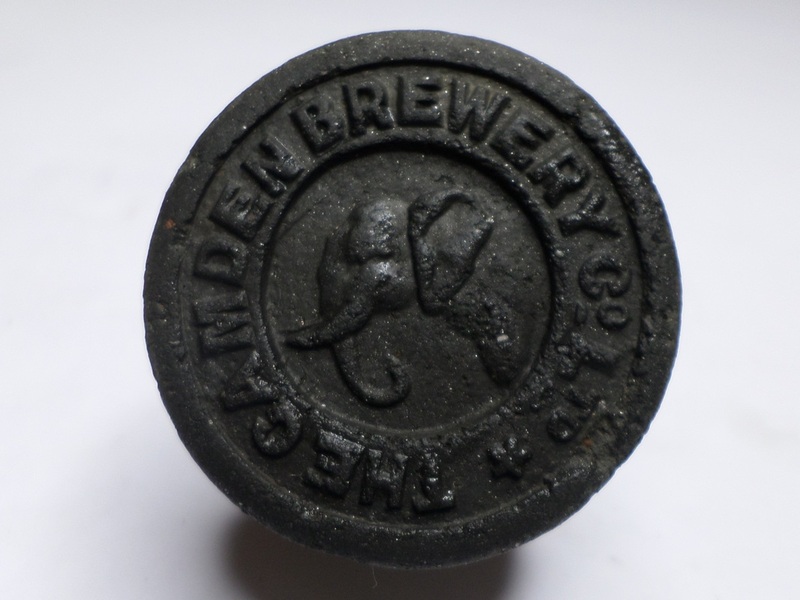 With a penchant for food, she hoovered up the Cutty Sark pub floor in Greenwich with great efficacity. She didn't have a bad bone in her body and I thank her deeply for the times we spent with her. 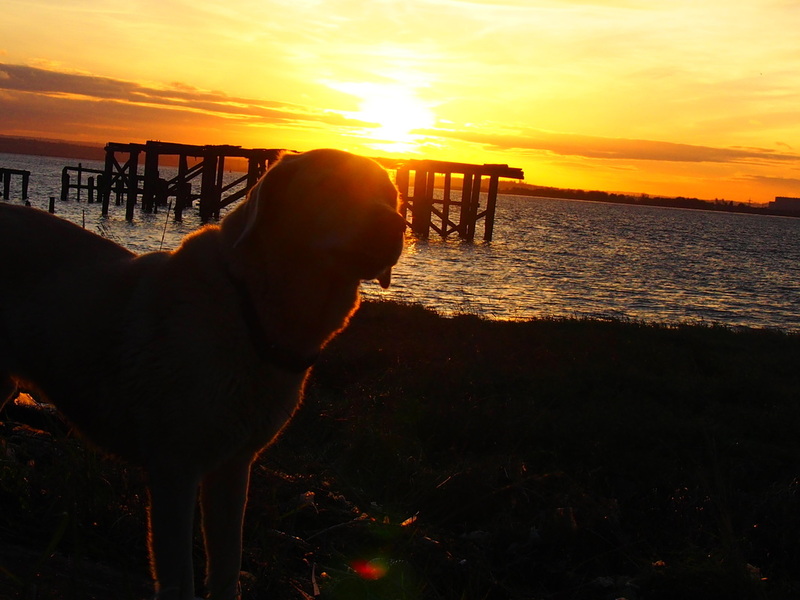 It will feel very odd walking along the Thames Estuary without her, and I will always think about her when I'm walking along the foreshore of the River Thames. God bless you Mischa. Over there where the sunlight streams through the clouds like gold. There it is. Go fetch. Bed with it. Flame on Mischa, Flame on. 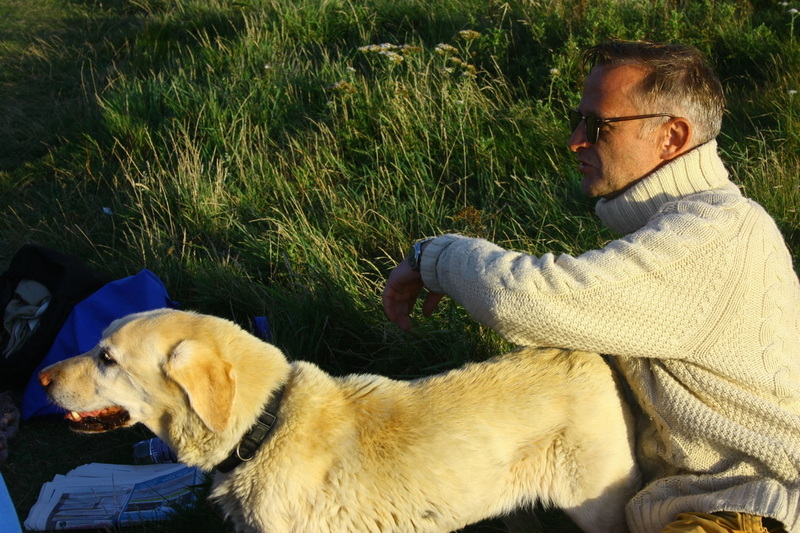 In memory of a lovely companion. We'll never forget you Mischa. 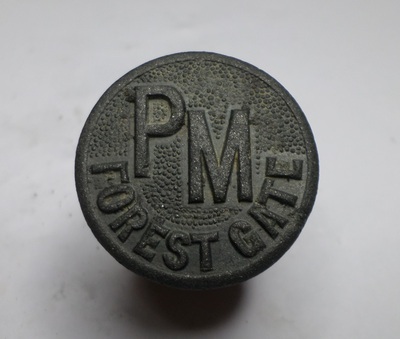 A brass luggage tag bearing the inscription "F. Jury, 72 Woolwich Rd, SE"
On 22nd August 2016, it will be exactly 100 years since Frederick Jury (Private no. 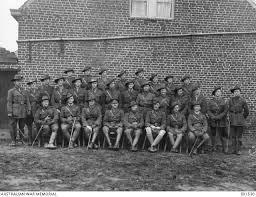 6044, 3rd infantry Battalion, 19th Reinforcement, in the Australian Imperial Forces) embarked from Australia on the ship HMAT A18 Wiltshire from Sydney to travel to France via Folkestone, to fight in the First World War. 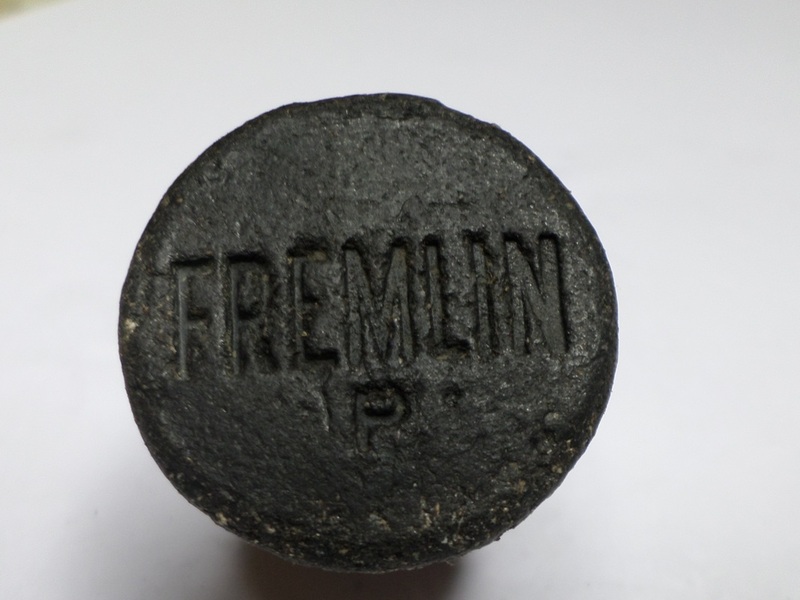 How did the story of Frederick Jury come to light? 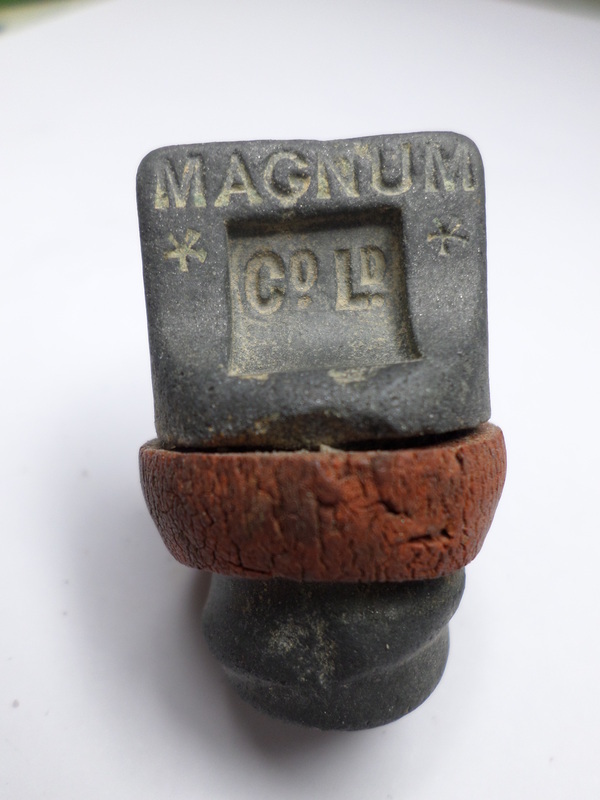 A simple Thames mudlarking find last week one evening after work in Greenwich, London, on Thursday 27th August 2015. A small, piece of metal s0 insignificant I almost passed it by as a piece of shrapnel, but then I noticed through the mud and drizzly rain, an engraved name, “F. Jury", and a faded address. I popped it in my bag for closer examination later that evening. Perhaps it was a shop in Woolwich I thought. On returning home, I cleaned it off and the engraving was revealed to be "F. Jury, 72 Woolwich Road, SE" The SE would stand for South East London. 72 Woolwich Road is in Greenwich, SE10. Occasionally, a seemingly innocuous find in the River Thames such as this, can be compared to opening up a glorious story book. It is no secret that it is the hidden stories behind the items which I find washed out by the Thames tide, which fuel my passion for mudlarking. 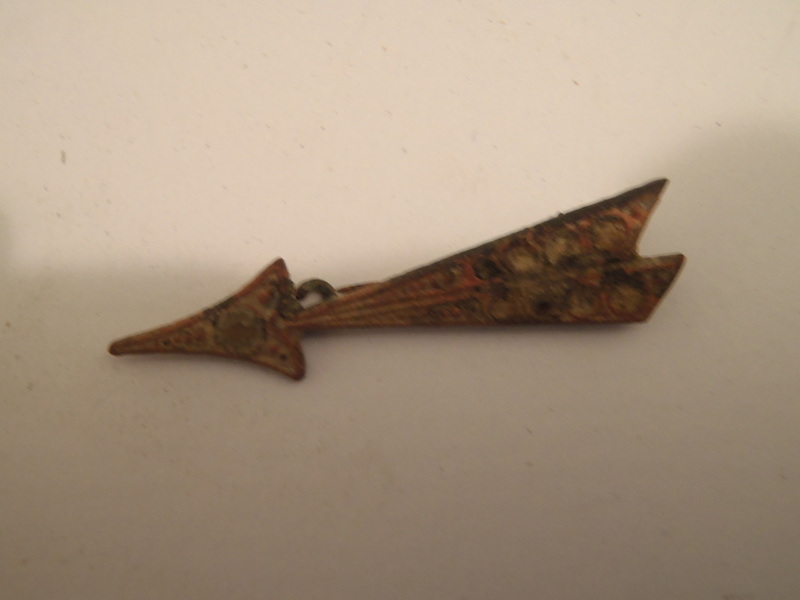 With the help of a lot of people on twitter, (after I posted a picture of F. Jury's brass luggage tag last Thursday 27th August), I was to find that this small, muddy object was to conjure up a whole family of people from the past, with their lives opening up before me like an intriguing novel. These people and their very real dilemmas have lain forgotten for years (especially in this case, as there seems to be no living close relatives). So here is a brief outline of the very worthy life of Frederick Jury, the owner of the luggage tag, discovered in the Thames mud on 27th August 2015 at Enderby Wharf Greenwich. And I bet I forgot someone so please let me know if I did forget you!! 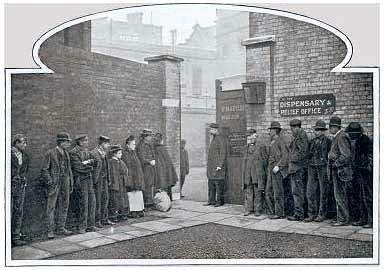 Frederick Jury was born in Bermondsey/Southwark in 1873 to Frederick and Julia Jury. 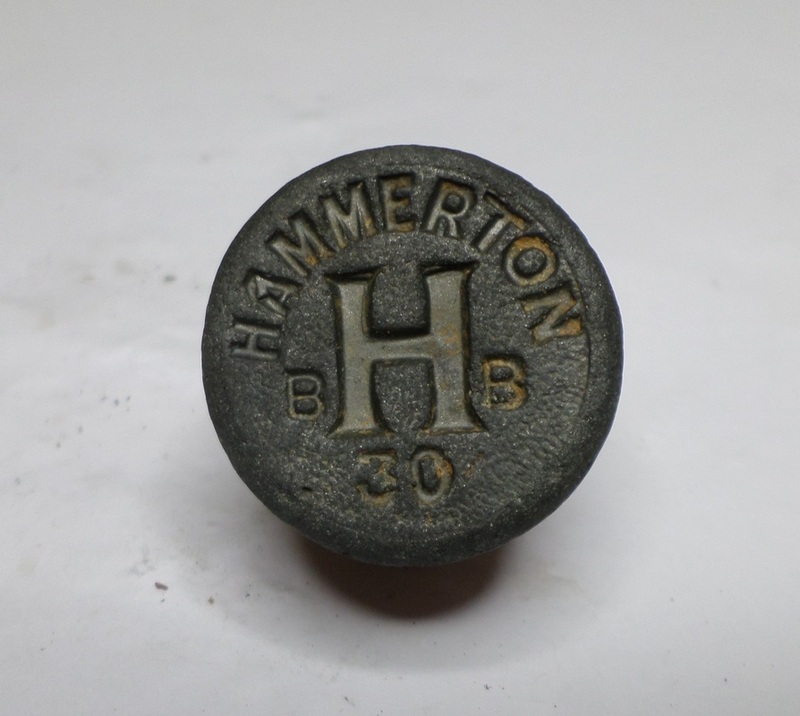 Records show that he grew up in Maidstone and Aylesford, and that his parents, (his father also called Frederick (first a labourer and then a sawyer)) and Julia were from Maidstone and Aylesford respectively. 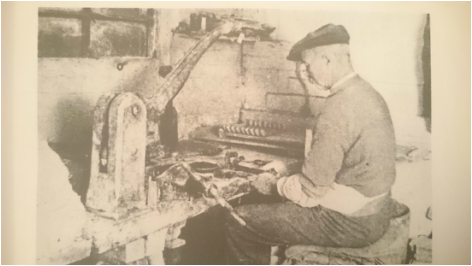 We know from research that he had a brother called William Jury, a Seaman, who was considerably younger than he was (born in 1891). This is probably Frederick Jury (right), and William Jury, his brother (left). We don't know anything about Fred's childhood, but we do know that by 1900/01 he was a Gas Stoker, and he was renting a first floor furnished room at Sarah Amelia Elizabeth Carter's house at 572 Old Kent Road (1901 electoral register). The 1901 census reveals that Sarah Carter was running a coffee house there and that she herself was born in Newington in approx 1860. 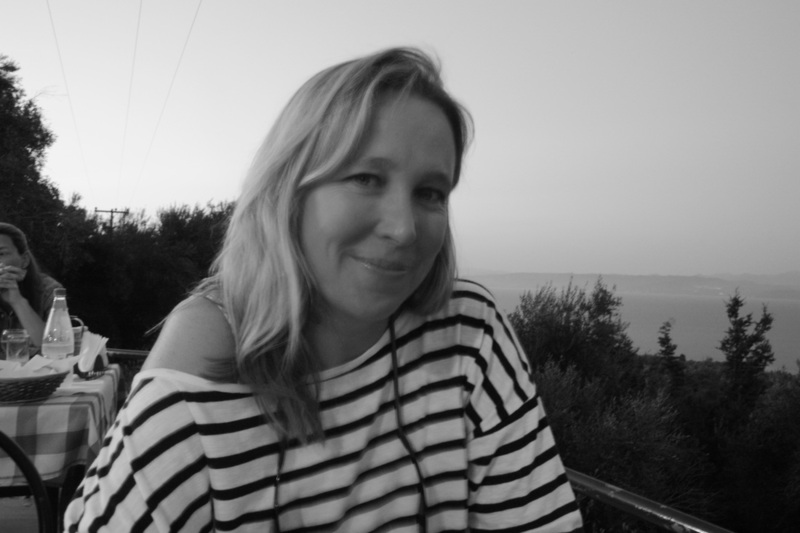 A bit about Sarah now who was to play a significant part in Fred's life. Sarah's father was called George Murrell and he was a greengrocer. 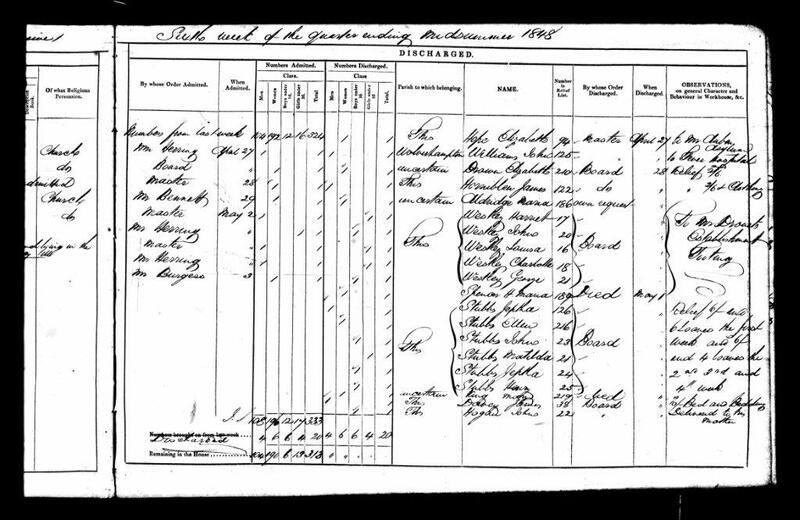 She was married to James Carter on 27th March 1882 at the age of 22, and they had 2 children, Augustus James Carter (in 1883) and William Carter (born circa 1885). 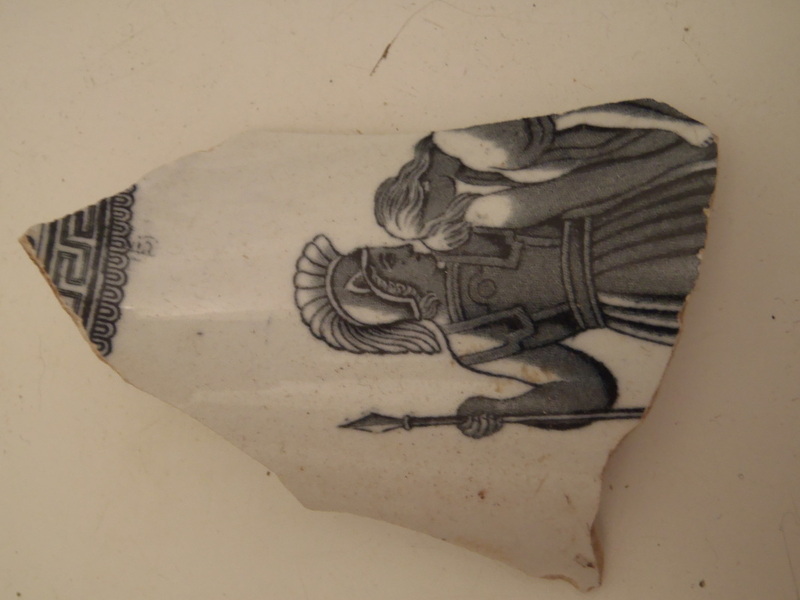 Sadly, her husband James died sometime after 1895. 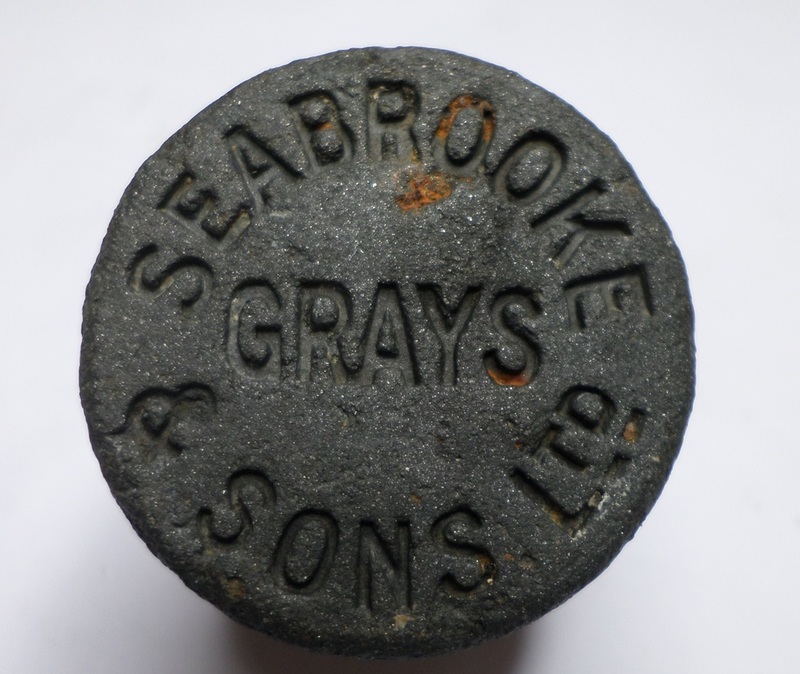 It seems that Fred and Sarah fell in love, and on 24th August 1901, Fred and Sarah got married, at St Philip the Apostle Church, Avondale Square. Sarah was 13 years older than Fred and was 42 when they married. He was 29. 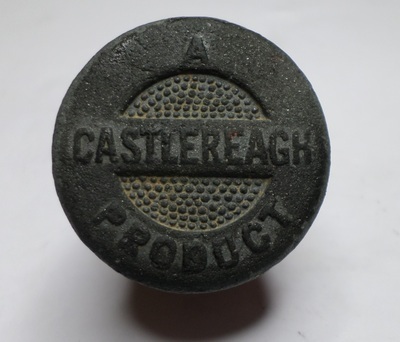 One interesting point to note is that one of the witnesses is a Ms Cecilia Lush (and Cecilia goes on to marry Augustus Carter, Sarah's son and Fred's stepson). I have to say that quite aside from everything else, I absolutely love the name Cecilia Lush! (If I ever change my name, I will most definitely call myself that). Sarah and Fred never did have any children of their own. So where does 72 Woolwich Road come into it which is the address engraved on the brass luggage tag that I found on the Thames foreshore on Thursday 27th August? 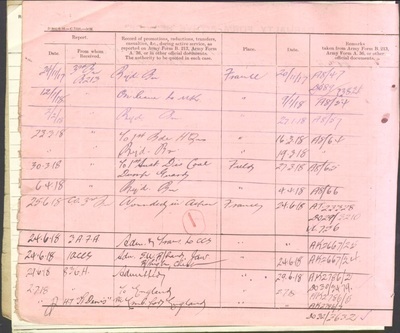 According to the 1904 electoral register, Fred was living at 72 Woolwich Road in 1904, and the 1911 census shows that Fred and Sarah are living there together. It would appear that Sarah was again running a coffee house from there. I love to imagine the people who might have come to buy a coffee from her at that time in Greenwich - and the conversations they might have had. 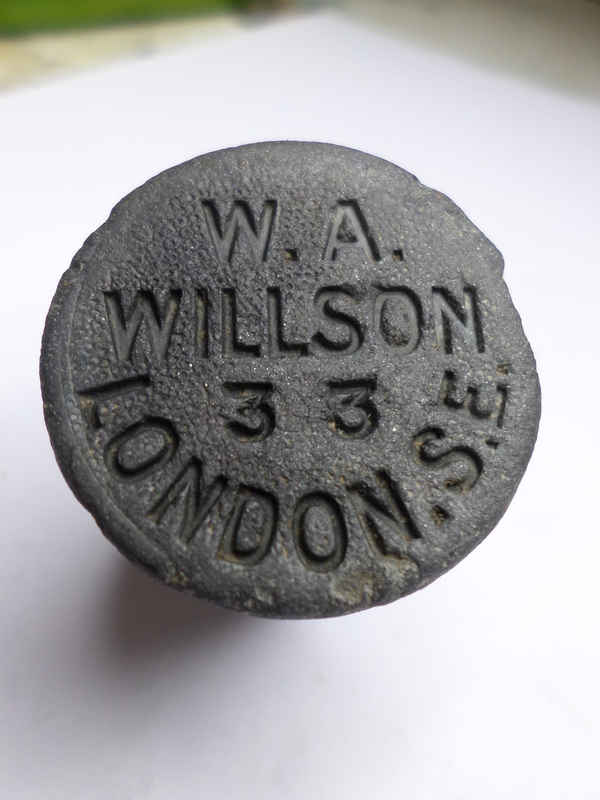 There was also a boarder living at 72 Woolwich Road, William Sullivan, who was a brick layer. 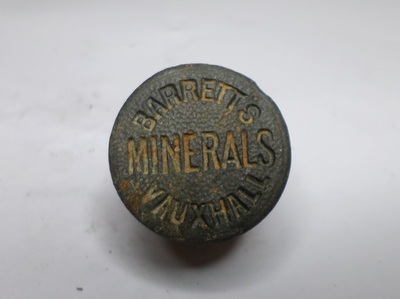 As a mudlark, I come across so many types of different vintage bricks, especially in Greenwich. I wonder if William Sullivan touched any of them. There seem to be rather a lot of Williams around at that time. 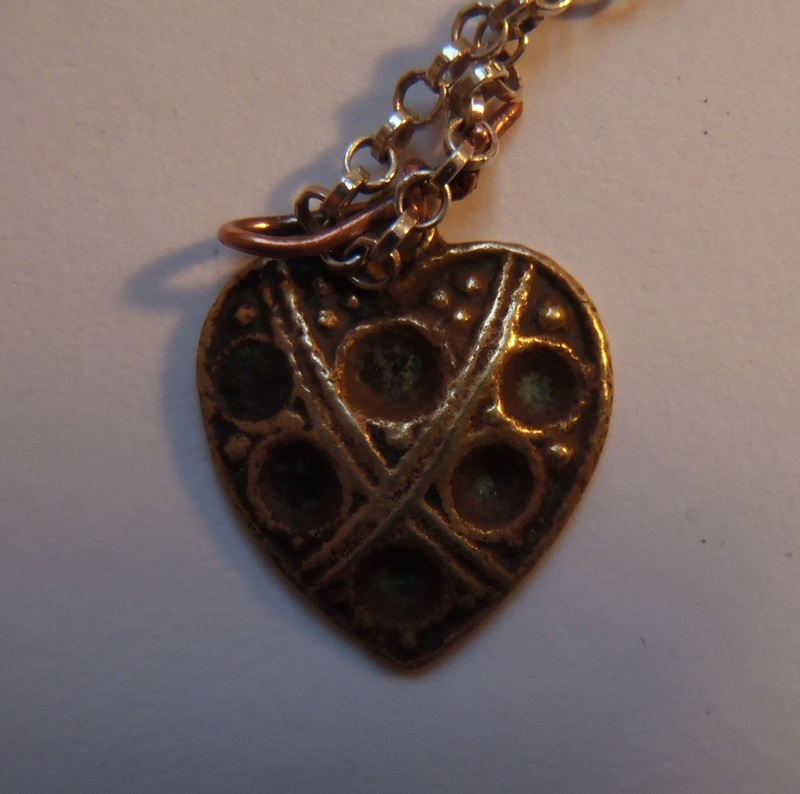 Fred's brother was also a William and so was Sarah's son from her first marriage! 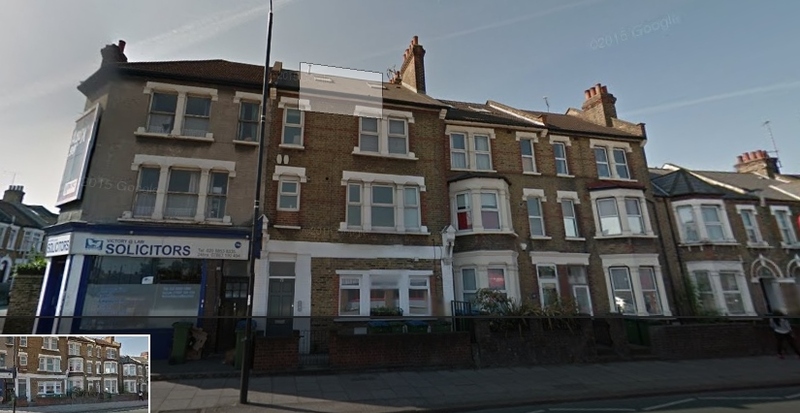 The picture below is 72 Woolwich Road as it is today, just to the right of the Solicitors office. 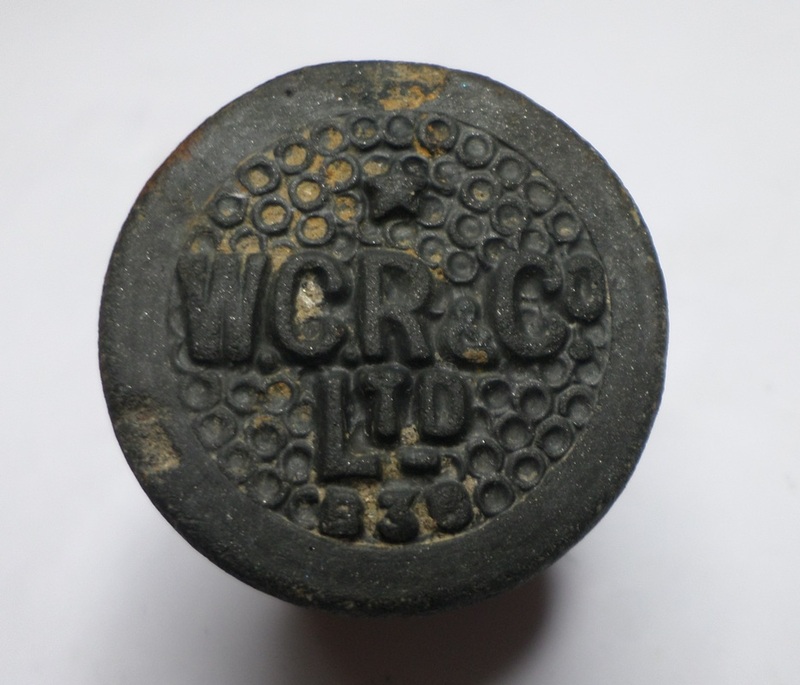 We can only assume that life continued on at 72 Woolwich Road happily until 1914 and the outbreak of World War 1. 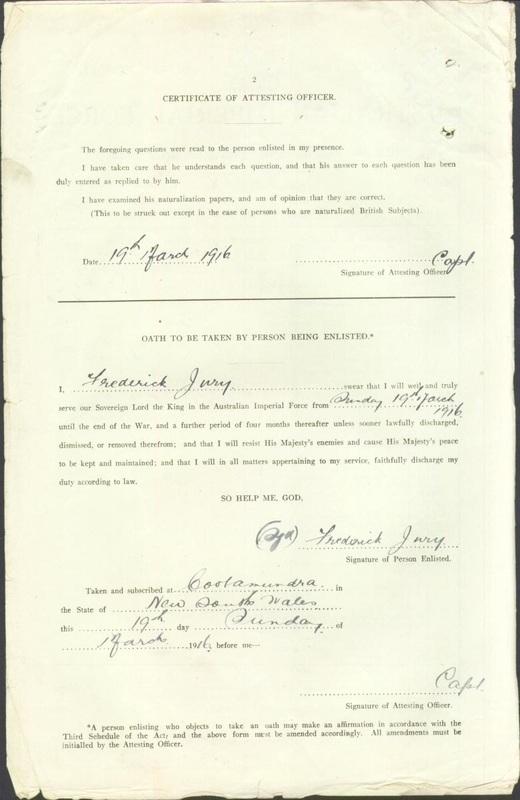 It would appear that both Frederick Jury and his brother William Jury, enlisted into the Australian Imperial Forces within one month of each other. 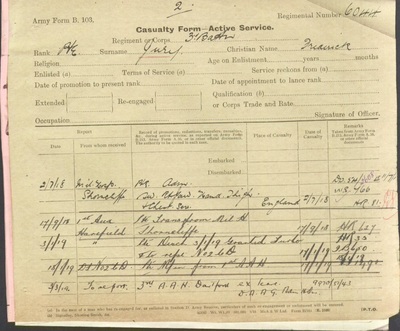 William Jury enlisted age 25 on 3rd March 1916 and Frederick enlisted on 19th March 1916 aged 42 years. Was Frederick pursuing his younger brother for some reason? 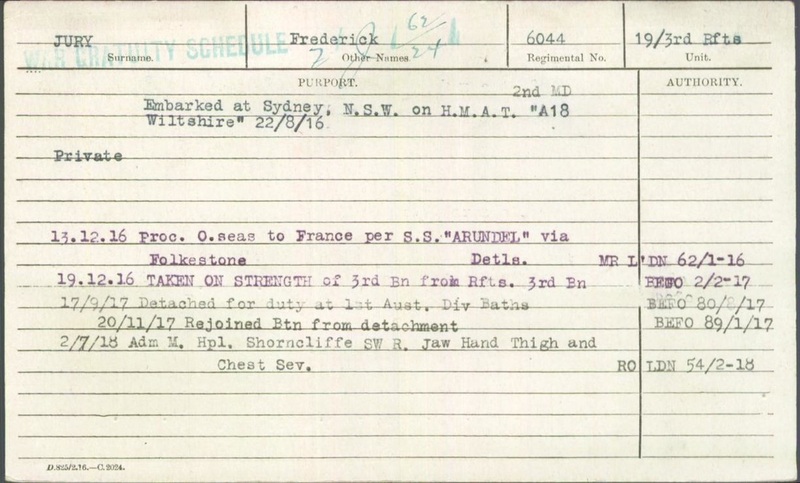 This and much of the following information we know from the extensive Austrialian Imperial Forces war records to be found online. Why did they go to Australia to enlist? 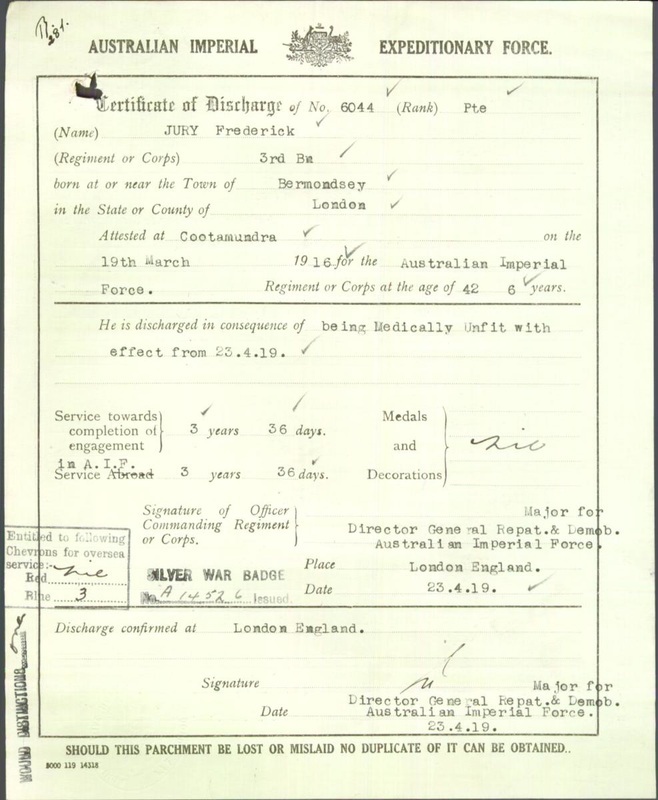 Well we don't know why, but it could perhaps be that the pay was apparently 3 times as much as the British Army, and in Fred's case it could have been that he was too old to enlist at home (and the upper age limit was higher in Australia). All this is of course just speculation. Maybe Fred wanted to protect his brother William. 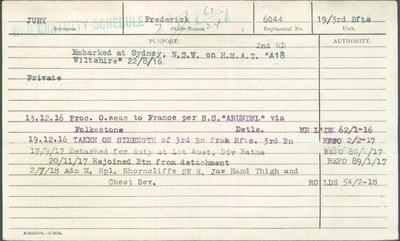 We do know that in all probability Fred travelled to Melbourne where he enlists at Cootramundra in New South Wales. Sarah we believe stayed in Greenwich, at 72 Woolwich Road, during this time. Then, on 22nd August 1916, almost 15 years to the day that he and Sarah were married, he embarked from Sydney, Australia to the UK on the ship HMAT Wiltshire. 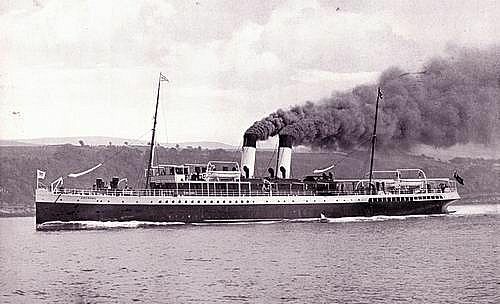 He then proceeded overseas from Folkestone to France on the SS Arundel in December 1916 to fight on the Western Front. 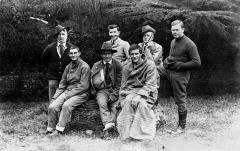 The photos below are groups of Australian Imperial Forces soldiers, taken at Meteren in 1916. As a result of his injuries, Fred spent time in two military hospitals, The Harefield Hospital in the London borough of Hillingdon, and the Military Hospital, Shorncliffe, Kent. Fingers were amputated at Shorncliffe. Harefield Hospital was used as an Australian military hospital during World War One. 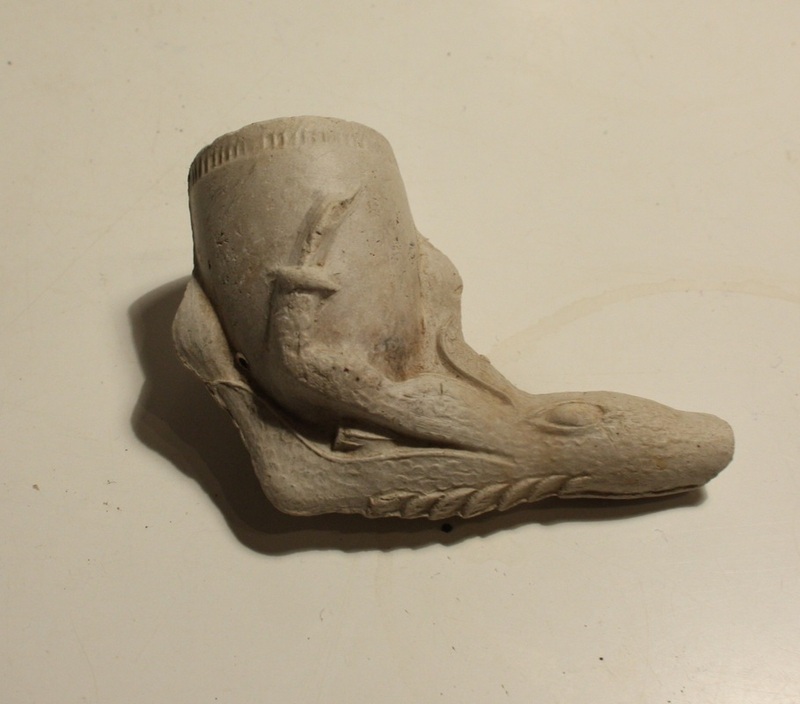 It is here that Fred first had his foot operated on after it was hit by a stick bomb. 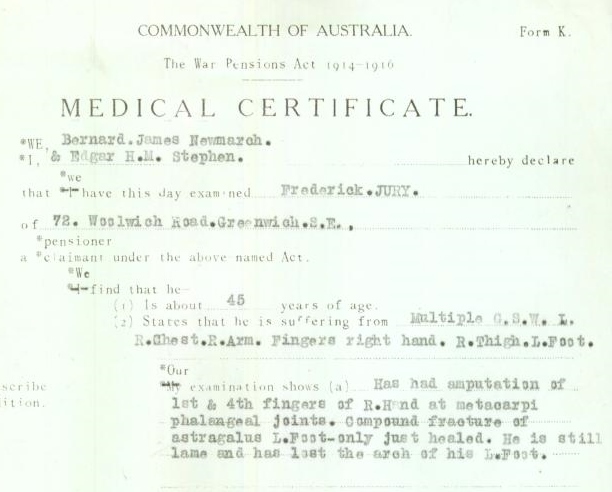 Finally, after many operations on his foot, and the amputation of his fingers, Fred was medically assessed as 100% disabled and was discharged from the Australian Imperial Expeditionary Force in London on 23rd April 1919. He had served 3 years and 36 days. When he was discharged from the AIF, Frederick Jury received a "silver war badge". 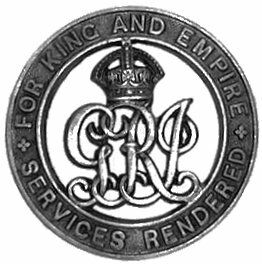 According to Wikipedia, the Silver War Badge was issued in the UK to service personnel who had been honourably discharged due to wounds or sickness during World War 1. 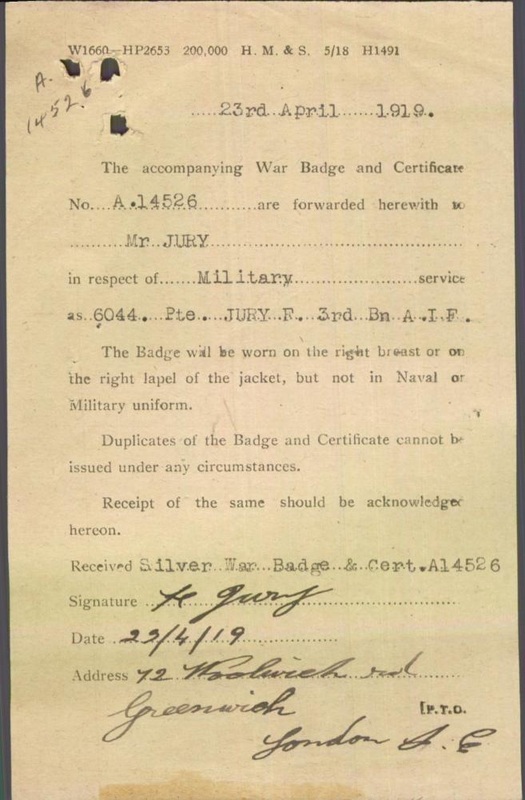 The badge, sometimes known as the Discharge Badge, Wound Badge or Services Rendered Badge, was first issued in September 1916, along with an official certificate of entitlement.The sterling silver lapel badge was intended to be worn in civilian clothes. 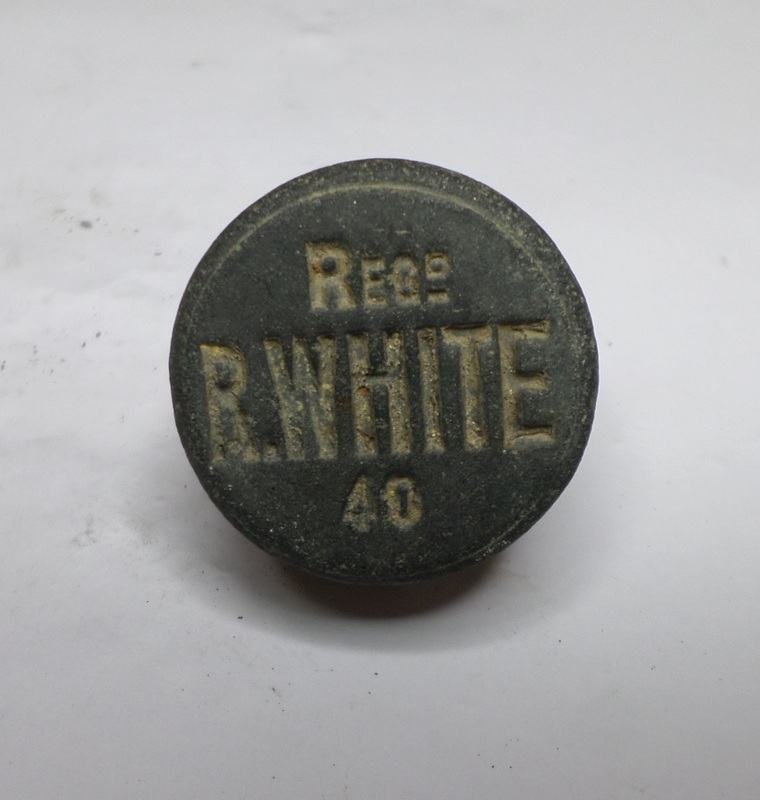 The badge was to be worn on the right breast while in civilian dress, it was forbidden to wear on a military uniform. 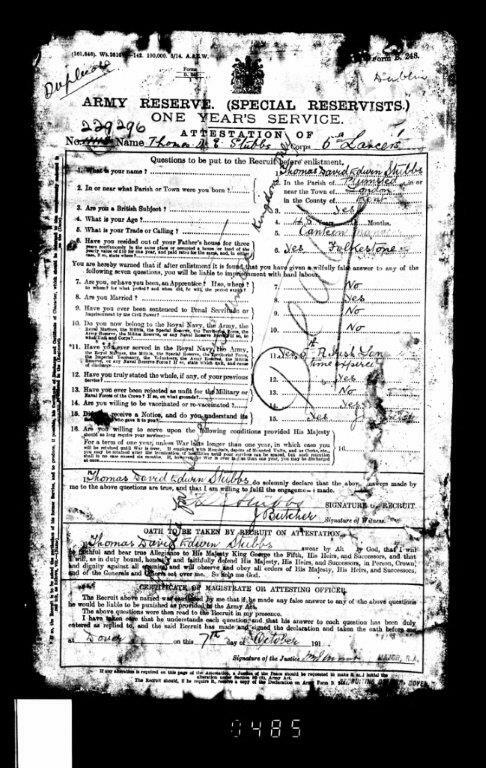 We know that after World War 1, Fred Jury lived at 72 Woolwich Road and was there at least until the 1931 electoral register. He died on 27th January 1932 at Queen Mary's Hospital Roehampton, which was also a military hospital. Sarah was at 72 Woolwich Road until 1933, but thereafter she appears to have moved to Greenwich South Street, where she died in 1936. 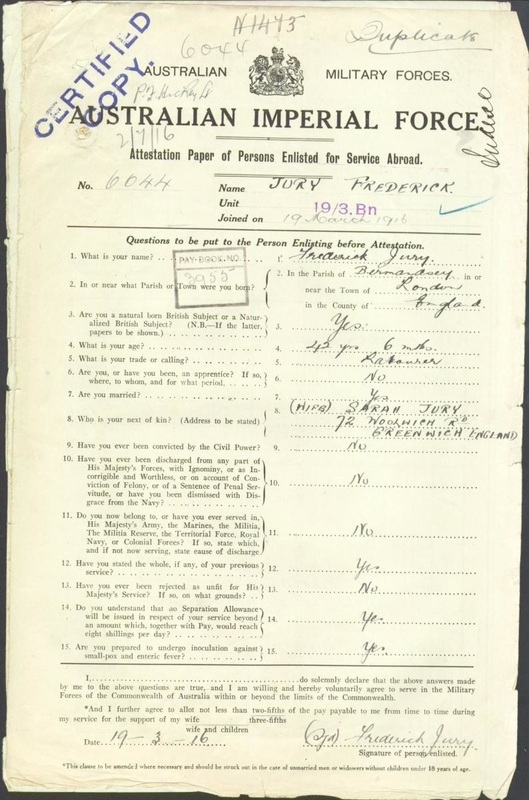 As an aside, we also know that Fred's younger brother William Jury enlisted with the Australian Imperial Force just a few months before he did. He was seriously wounded in action, receiving multiple gun shot wounds to the head, and he was committed to Sunnyside Mental Hospital in New Zealand in the 1940s. He died in the 1960s, in the same hospital in New Zealand. He never married and he had no children. 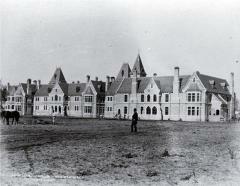 Sunnyside Mental Hospital in New Zealand where Fred's younger brother William was committed in 1940. He died here in 1960. Well you might think that that is the end of Frederick Jury's story. However, I thought I would try to find out where he was buried, with the idea that it would be nice to go and pay my respects to him. Well it just so happens that he is buried just around the corner from where I live - in Greenwich Cemetery. After downloading the map location from deceasedonline I made my way to Greenwich Cemetery straight after work, armed with said map, and also accompanied by a friend to help search the gravestones. Well....that is where the fun began, as I drove straight into Greenwich Cemetery (not paying attention to the fact that no cars are allowed - sorry!). Realising we only had 15 minutes to find Fred before the cemetery shut at 7pm, we were on a mission! The sunlight was streaming through the clouds and the view from the Cemetery over London was glorious. 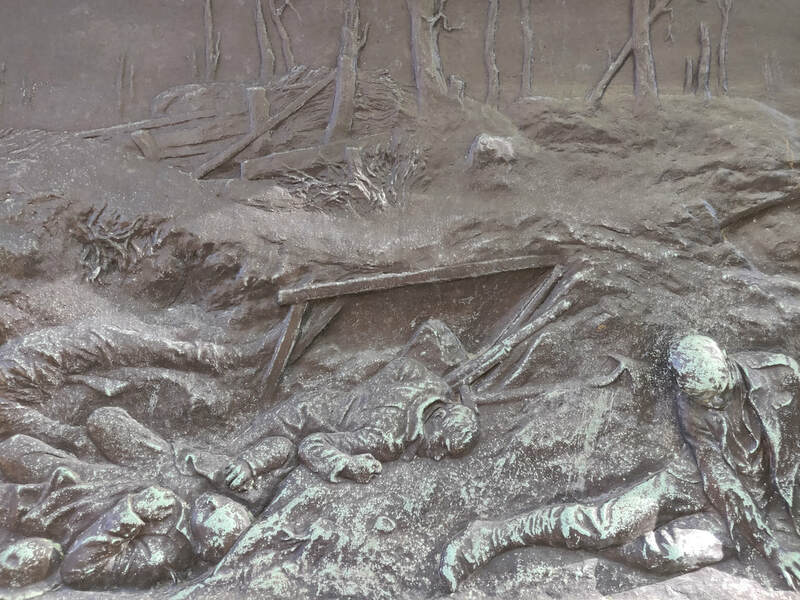 However, we had no time for that, as we leapt out of the car at area "Z", and tried to locate Frederick Jury's final resting place from what I realised was a rather vague map. It was like searching for a needle in a haystack, with the added worry that we might end up locked in the cemetery for the night. At 7.01pm we realised we had better head back to the gates, and to our great relief, the gates were not closed and we decided to wait until the gatekeeper came to close them. Sure enough, at 7.05pm precisely, a car sped through the gates and the driver looked at us rather curiously as we got out of the car to greet him. 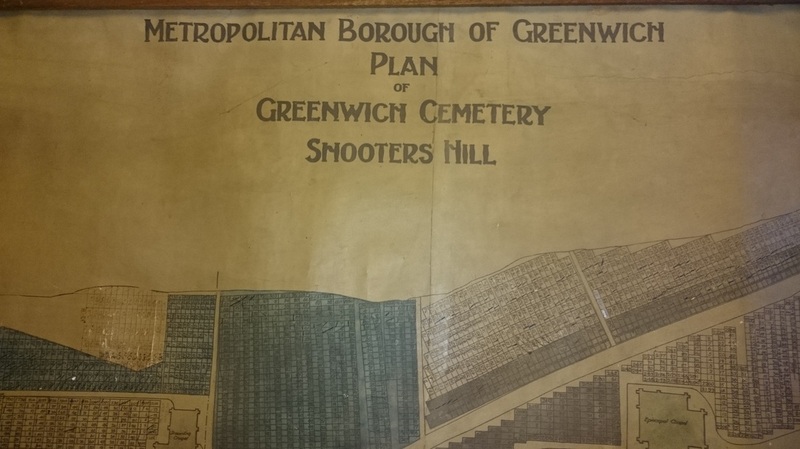 We explained the whole story in a nutshell and the wonderful Jason, grave digger with Royal Greenwich Parks, clearly putting aside the notion that we were quite bonkers, agreed to help us to fulfil our mission of finding Frederick Jury's grave. Well, I have never been in a cemetery office before, and I was overwhelmed to see the beautiful old leather bound books dating back to the early 1800s, with every burial registered within. 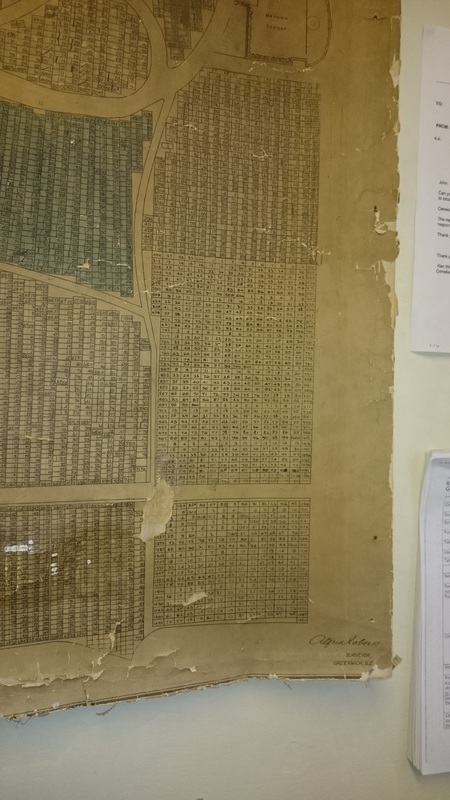 Jason unfurled a copy of a parchment map of the cemetery so that we could try to pinpoint Fred's grave. map of graves, including area "Z"
And of course, would you believe that there was a big rip in the map, where Fred's grave was located. Still there was nothing for it but to go and search the area. 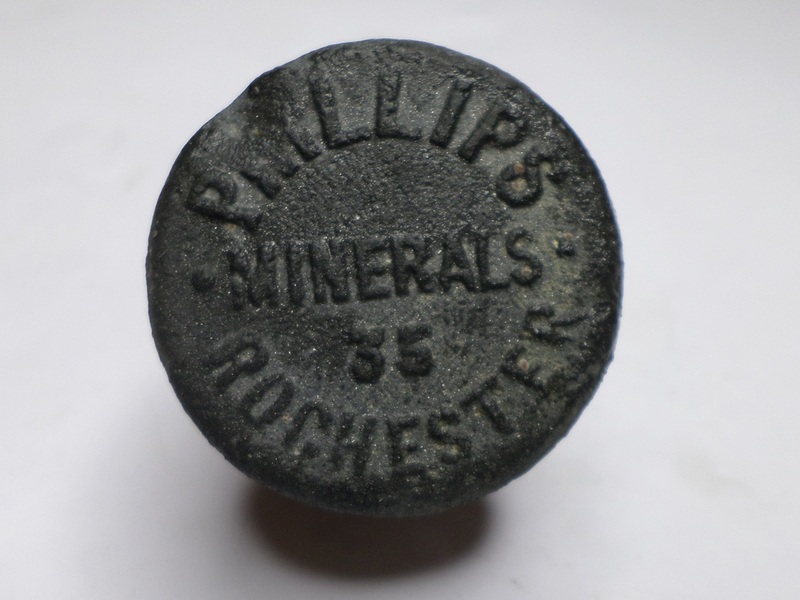 Jason explained that it was in an area reserved for paupers' graves, so there might not even be a stone. 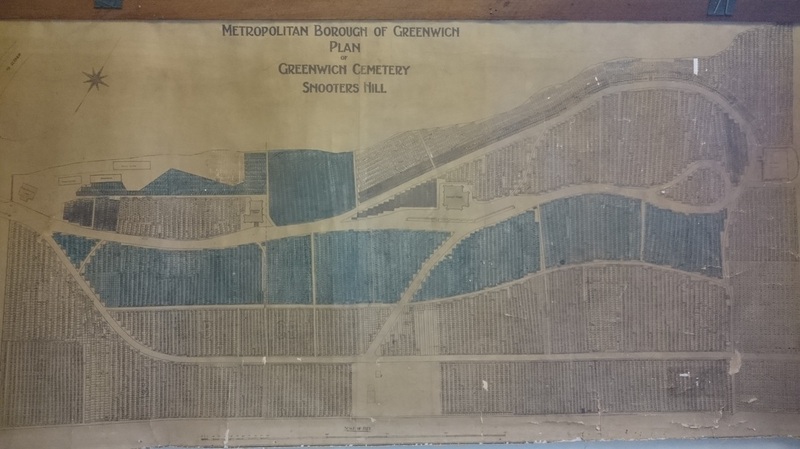 map of graves in Greenwich cemetery. See that rip, bottom centre, that's where Fred's should be. 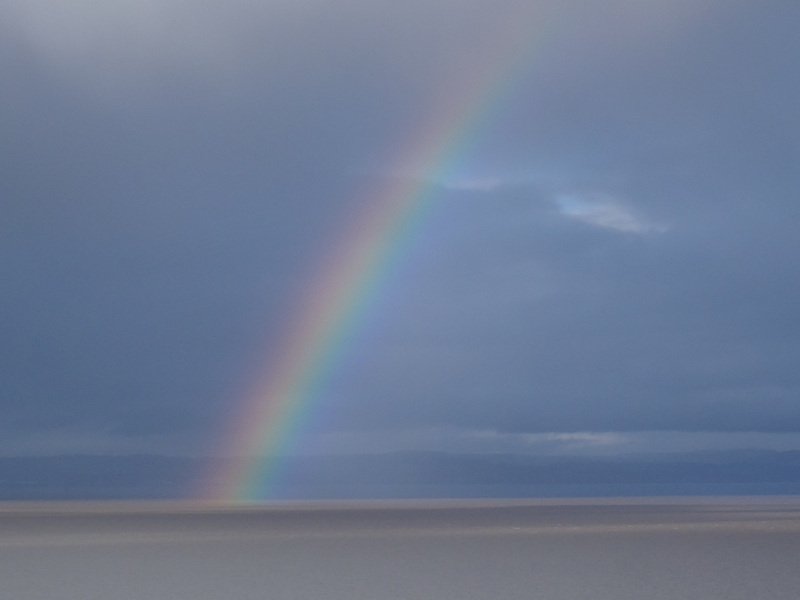 Jason kindly agreed to accompany us and help us to search for Fred's grave, and so all three of us set off, aware that dark rainclouds were gathering and the light was fading. The "Z" paupers' area was sadly very overgrown, with small tombstones arranged back to back and in some cases completely covered in brambles and nettles. I wasn't feeling too optimistic to tell you the truth. In some areas you could have done with a machete. And then, after getting entangled many times in nettles and thorns, and peering underneath horizontal gravestones, my friend shouted "I've found Frederick". 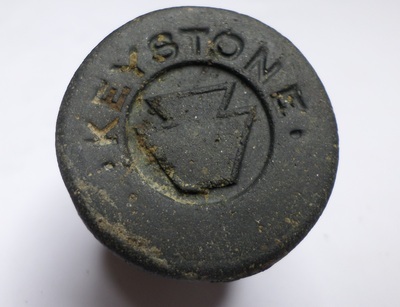 And so we all went to see him, and Jason straightened the stone. It was a moving moment for me, to see his final resting place, and as Julia Davis from Family History Today quite rightly pointed out, you can only imagine who may have stood there when they buried him all those years ago in 1932. And now of course, there are no relatives left to visit him. Indeed there are no relatives left to visit anyone in area "Z". There was only a rather resplendent fox which seemed to have the "Z" area earmarked as his patch. 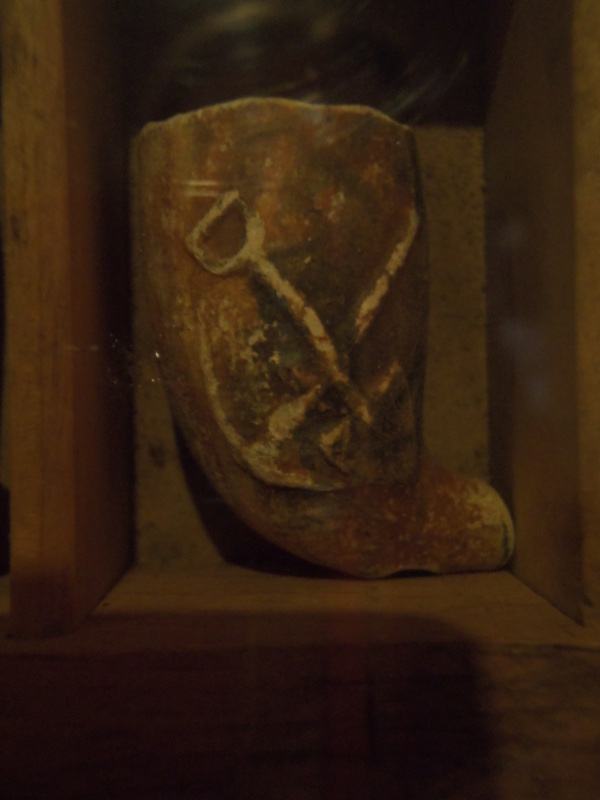 Here below, is Frederick Jury's final resting place. 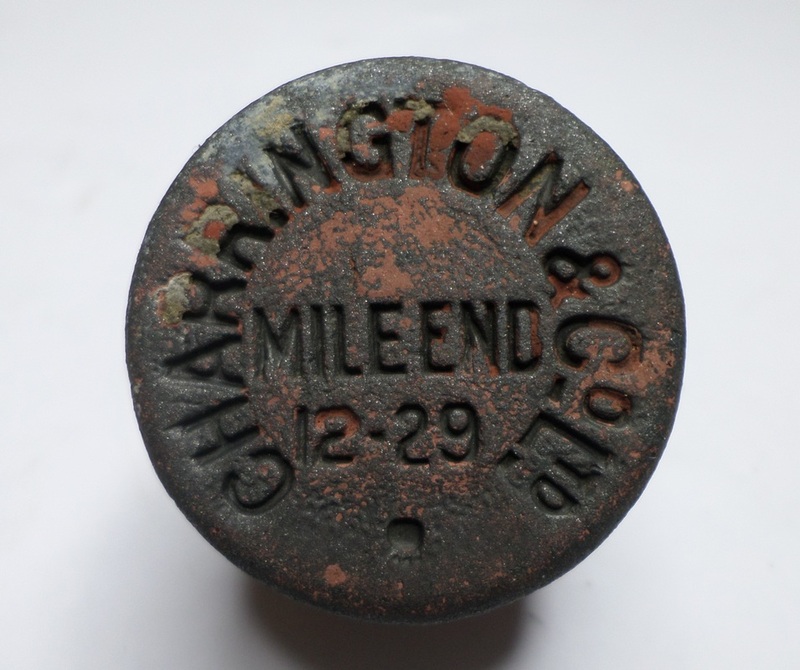 I was a little concerned when I read "Beloved Husband of Millie Jury" (was this another wife we had not heard of? 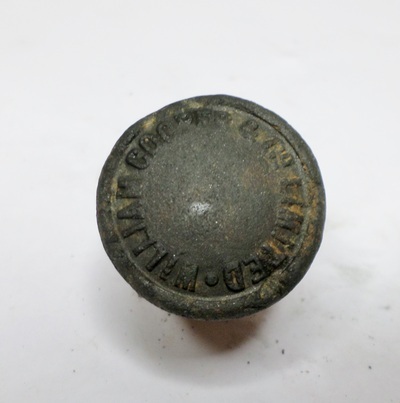 ), but then I was reassured to hear that this was almost certainly a pet name for Sarah Amelia Elizabeth Frances (a shortened version of Amelia). In fact, Sarah's grave is also in Greenwich Cemetery (Zone C) and I plan to seek her in the near future too. Jason the grave digger, my friend & myself spent a few moments next to Fred's grave. It seemed sort of sad that after such an intriguing life, we had to search in the overgrown brambles and grass for his headstone, but Jason, who must be used to such ponderings over the years, said that it really isn't about the material things we leave behind, or the state of the gravestone. It's the legacy we leave, the places we visit, the people we touched in our lives. 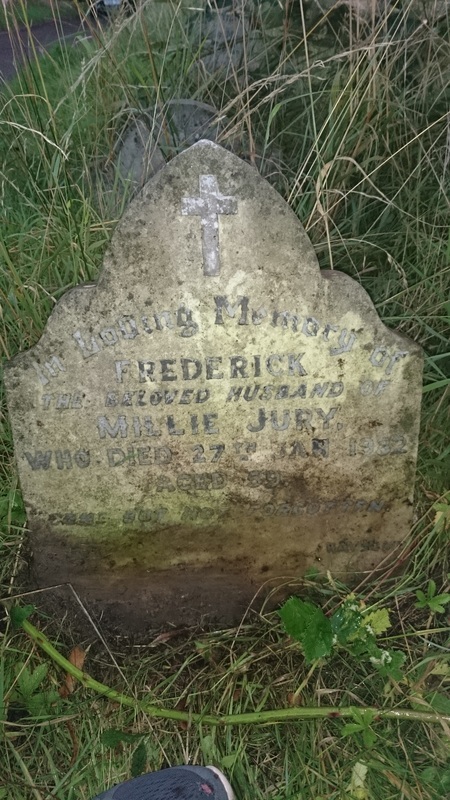 Frederick Jury, The beloved husband of Millie Jury, who died 27th January 1932 aged 59. Gone but not forgotten. 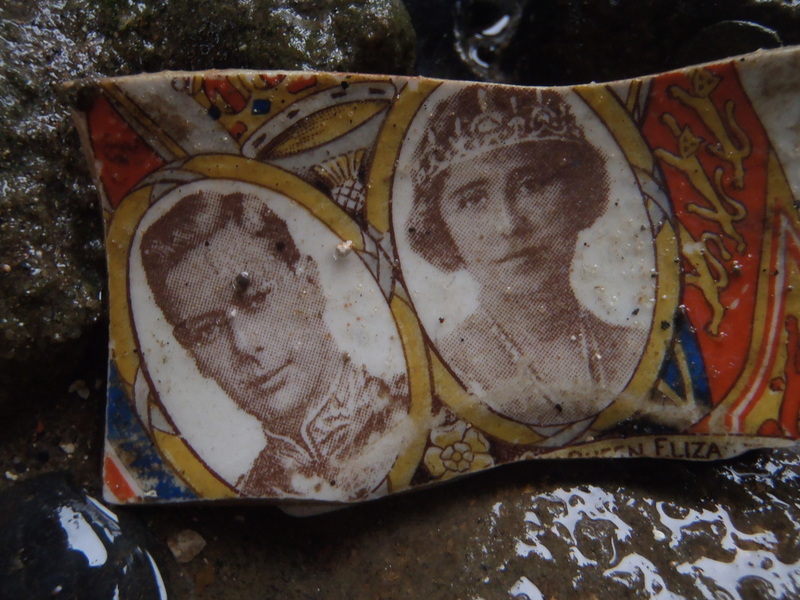 There must be hundreds and thousands of undiscovered stories lying in the Thames waiting to be found one day. In the case of Frederick Jury, many decades passed before the Thames tide washed away the layers of thick mud to reveal the engraved luggage tag, washing away simultaneously the years until I found myself face to face with Fred and his family. What is this fascination with a stranger from Woolwich who died over 70 years ago? I’ve had to ask myself that. What leads us to take a name on a tag and delve deeper into its history? Maybe it is because none of us want to be forgotten. 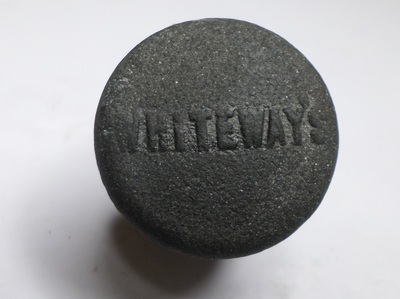 None of us want to be just a name on a luggage tag that ends up in the River. We want to leave a footprint in the world : for our lives to mean something. That’s how I see it anyway. The good thing is, if you're reading this, you're still alive, and you can still be the author of your own story. So that is the outline of Fred Jury’s life pulled together from the various databases and heritage sites that have information about him. 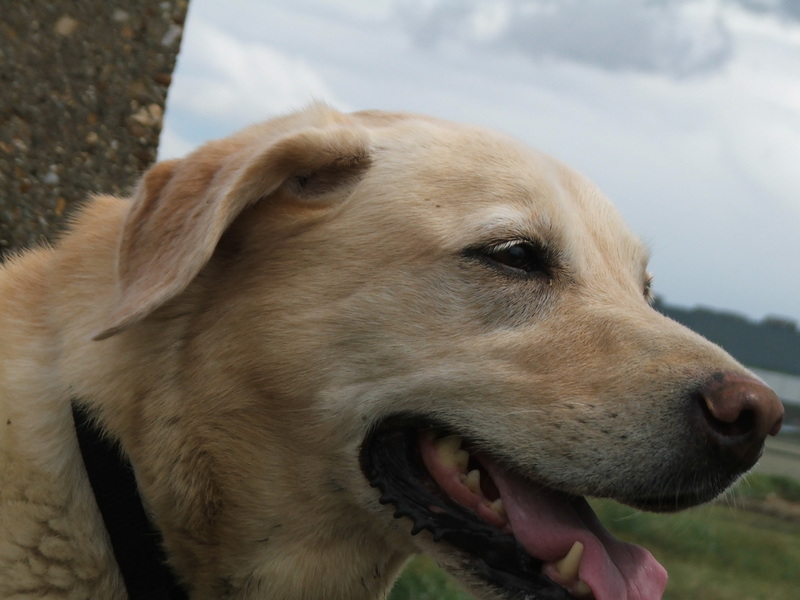 Of course, what we can only imagine, are the real feelings, thoughts and emotions that Fred went through – decisions, considerations, worries, what made him laugh, what made him happy. Why he went to Australia. What he saw when he looked out from the decks of the HMAT Wiltshire. 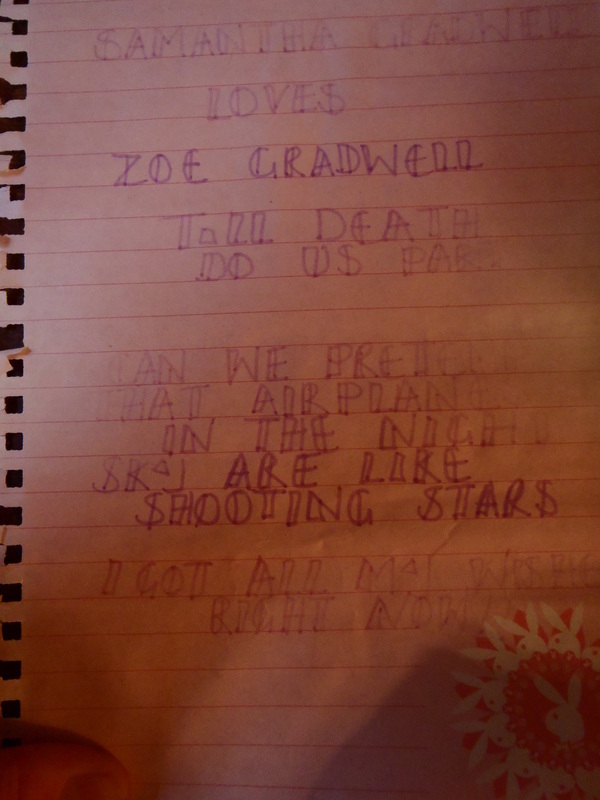 What his dreams were. This brings to mind a quote from a book written by Douglas Kennedy "The Pursuit of Happiness", which I read last year. A quote which really spoke to me. "And do you want to know something rather amusing? My past my choices - when I die, all that past will vanish with me. It's the most astonishing thing about getting old : discovering that all the pain, all the drama, is so completely transitory. You carry it with you. Then, one day, you're gone, and nobody knows about the narrative that was your life. Unless you've told it to somebody or written it down." So I put this to you. If someone found your luggage tag in the Thames in 100 years time, what would they write about you. 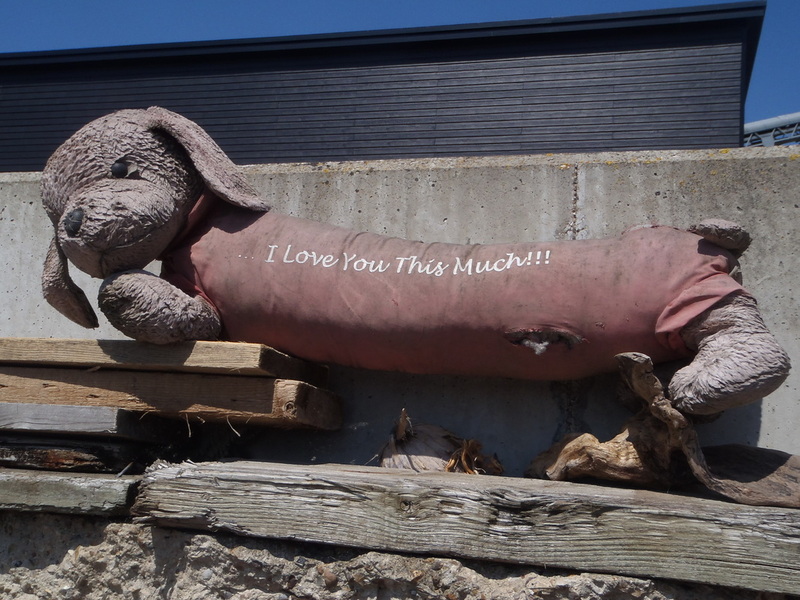 "F. Jury, 72 Woolwich Road, SE"
Rest in Peace Frederick Jury. 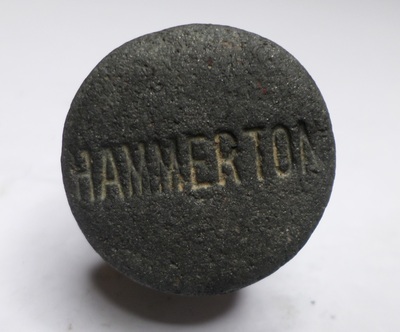 It is no secret that one of my great passions in life is searching through the anaerobic mud of the River Thames to find little pieces of history from past lives. It all started when I used to go beachcombing in my native Cornwall. 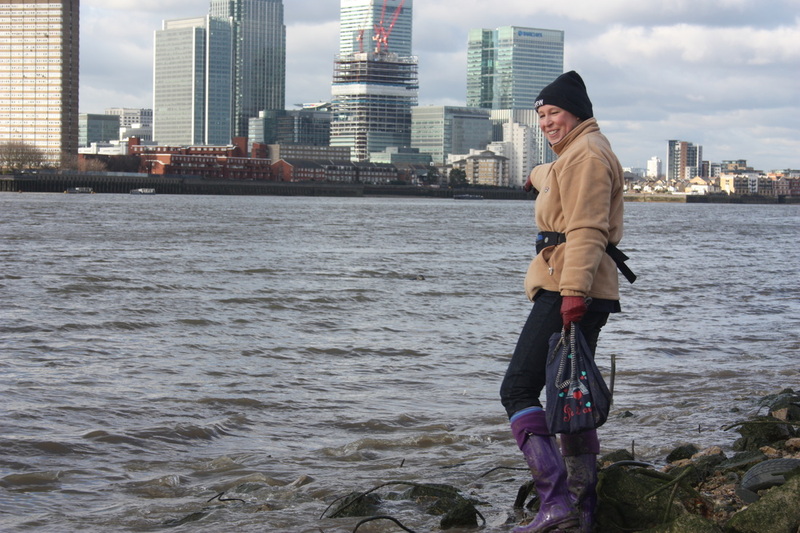 When I moved to London over 15 years ago, I naturally gravitated towards the River Thames. 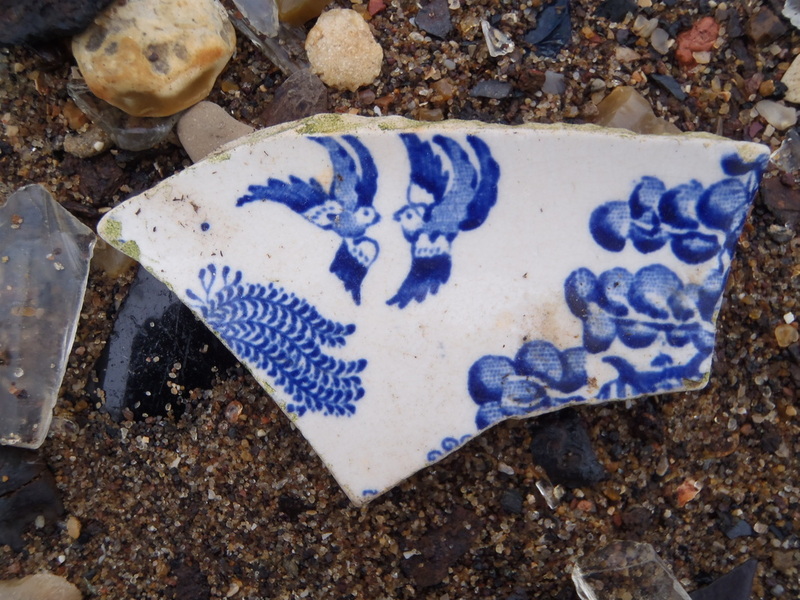 I can safely say that I have never been down to the foreshore and come back empty handed. There is always something washed up with the tide to inspire the imagination and set off a flurry of research - whether it's a piece of pottery, or a once treasured piece of Victorian jewellery. 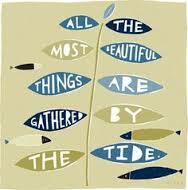 I have been lucky and have found some wonderful things in the mud, and whilst "rivercombing" the shore. 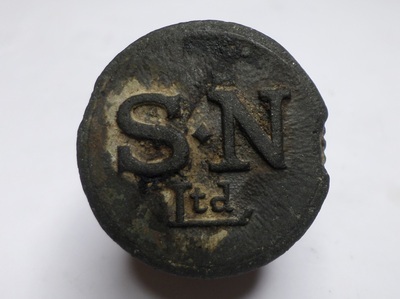 You can see some of our finds here in an online book which we made and you can also check out the finds section of this website. 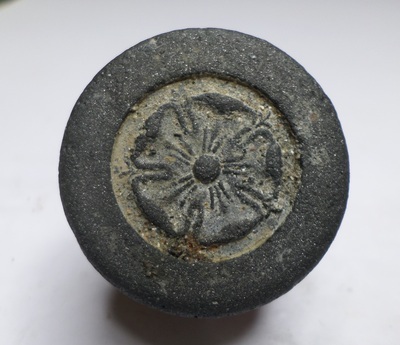 It is not just the older finds that I am fascinated by. 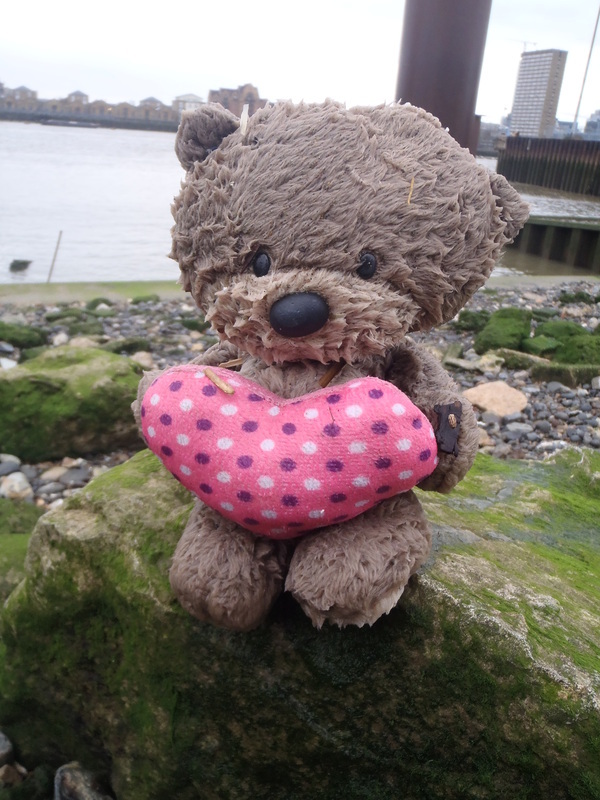 I also enjoy finding lost toys that live by the River, and of course, the occasional message in a bottle. 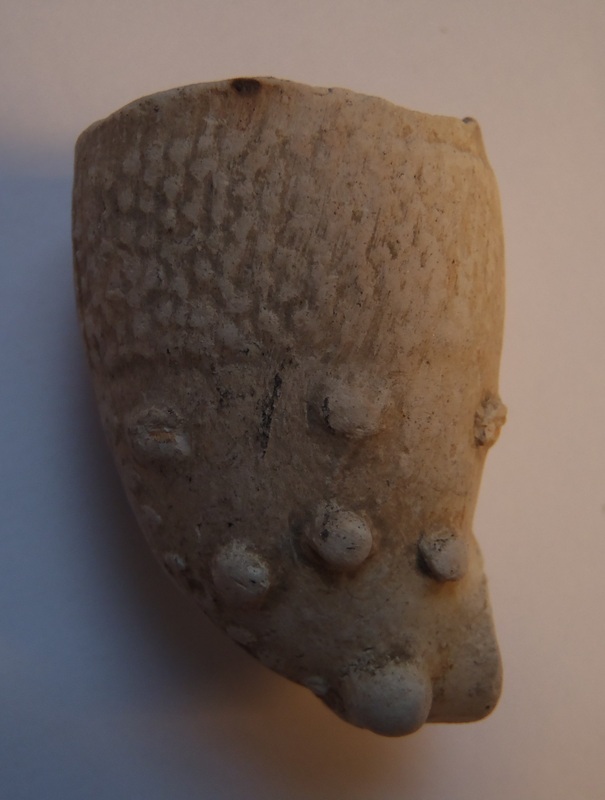 People often ask for information about mudlarking, and so I've compiled a little guide with the more commonly asked questions. If I've missed anything out, please do get in touch. 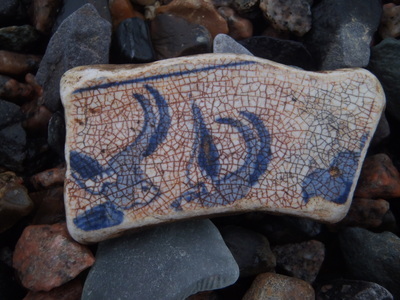 The River Thames is a huge archaeological site when the tide is out, and there are pieces of history wherever you look along the foreshore. 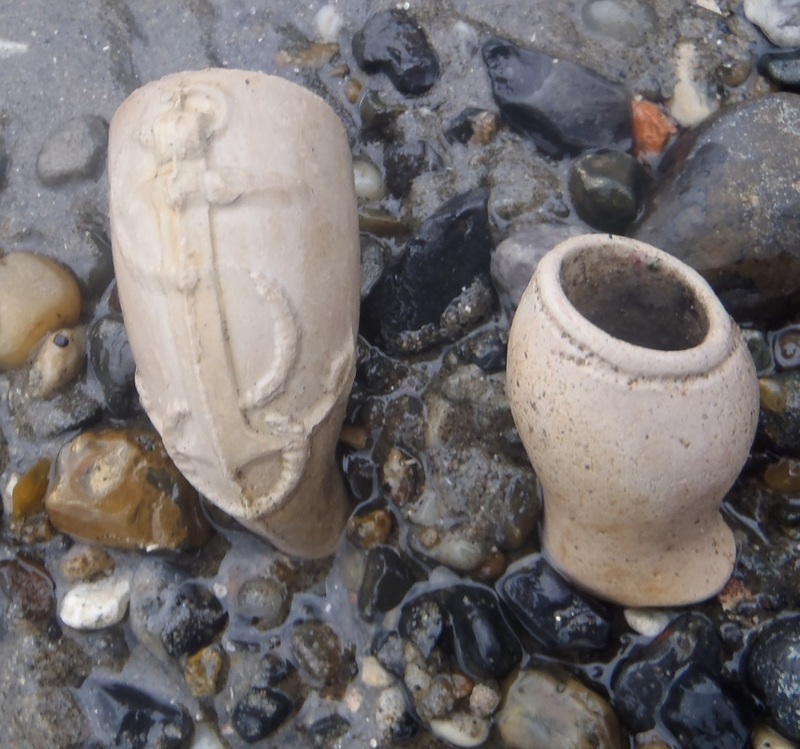 What is mudlarking? 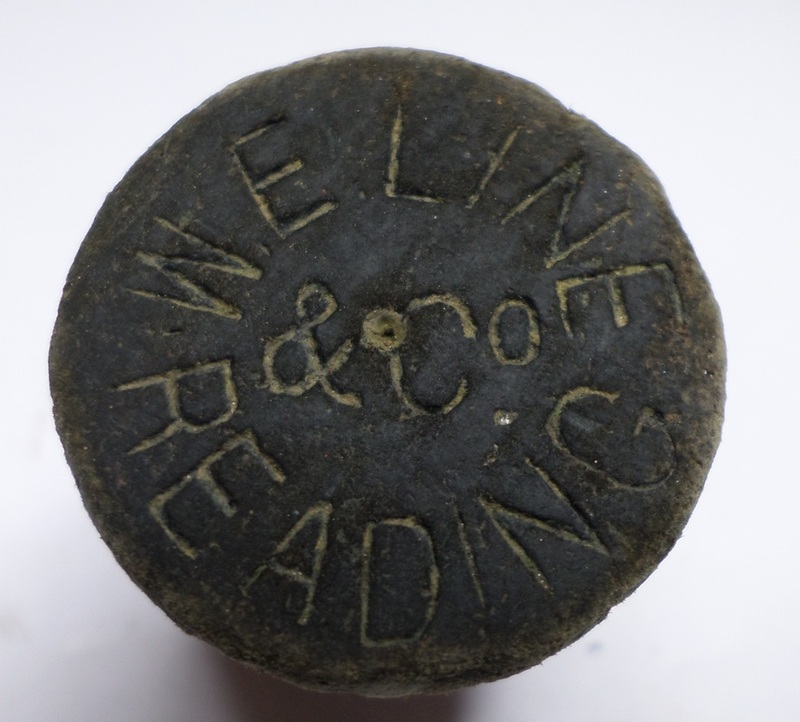 The word derives from the poor Victorian children who searched for little treasures in the mud of the River Thames to sell for a few pennies. Mudlarks now are people who search the foreshore for pieces of history and evidence of past lives. Do I Need a Licence? 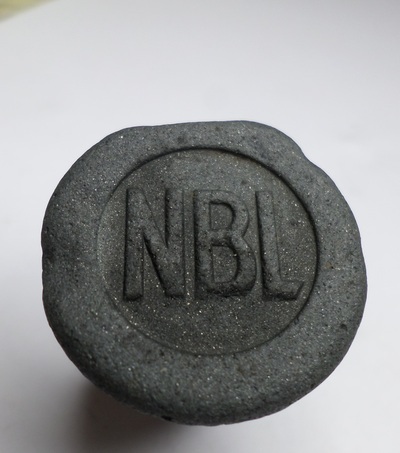 The basic rule is 'surface finds' are OK but if you disturb any part of the foreshore, even to look underneath a rock, you should have a licence. Scraping the Thames foreshore surface with any type of implement is considered digging. You can apply to the Port of London Authority (PLA) for a licence and they can give clear guidance on what you will be allowed to do and where. 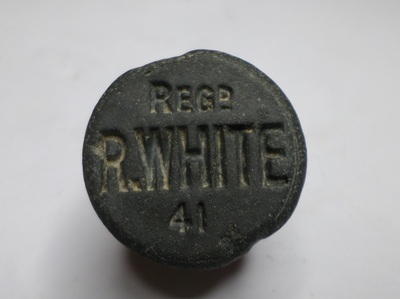 If you are just interested in history an 'eyes only' (no digging equipment) search is allowed everywhere without a licence. 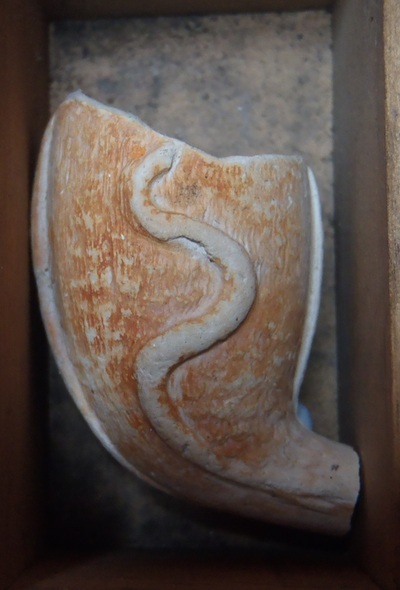 Can I Keep Everything I Find? 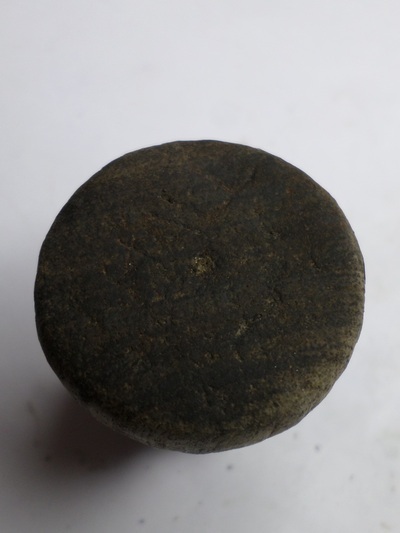 Any object found on the foreshore over 300 years old, or which could be of significant historical interest needs to be reported to the Museum of London via their portable antiquities scheme. By doing this, a picture of historical London can be built up. 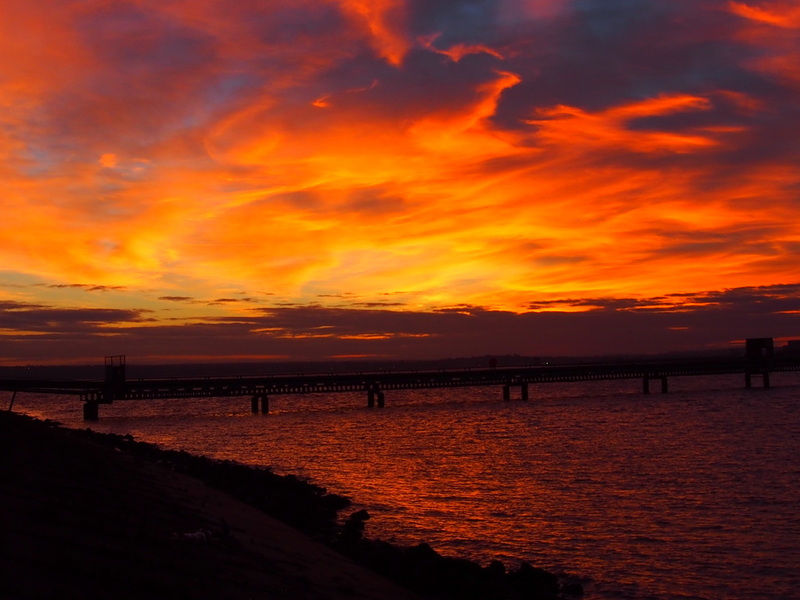 Safety – Anyone going on the foreshore does so entirely at their own risk. Be sensible. Go in pairs. Be aware of your surroundings. 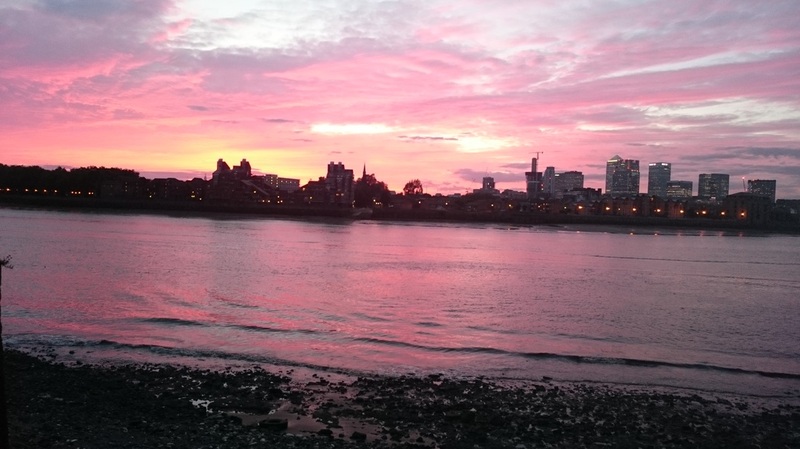 The Thames foreshore can be a perilous place, with deep mud and a tidal range of over 7 metres. Steps can be very slippery. 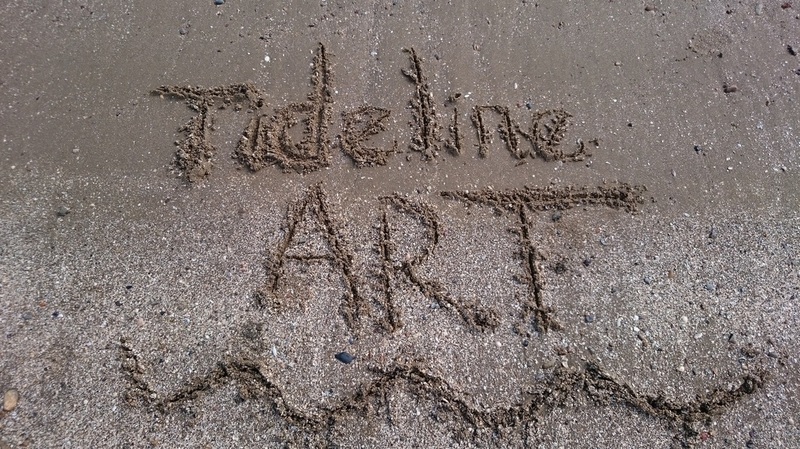 The tide comes in very quickly. 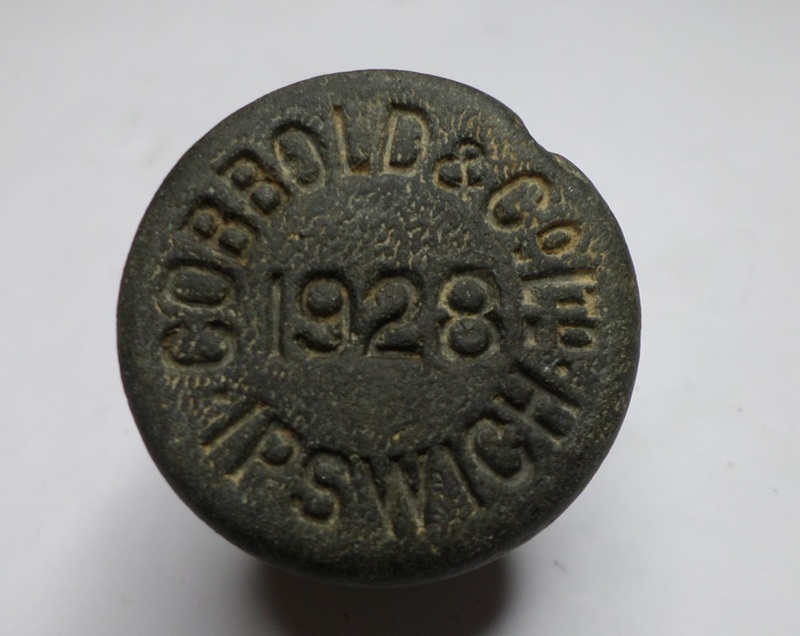 Consult a tide timetable. Take a mobile phone. Check your exit points and wear suitable footwear. And remember, most of all, have fun! There is a particular walk which we go on in Kent at least once every few months and it is wonderful in that it is so remote that you hardly ever see anyone. I love this, especially as I live in London and so spend quite enough time cheek to cheek with people I don't know, in the tube. It is a great place to find messages in bottles. 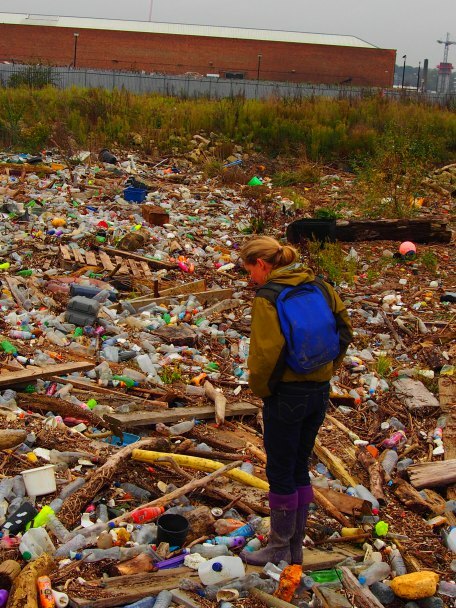 Sadly though, the reason it is good for messages in bottles, is because it is absolutely littered with layers and layers of plastic waste; plastic bottles, bottle tops, lighters, toys, smartie lids.... all manner of plastic crap, which has made its way up the RiverThames, and comes to settle on the remote shores of Kent. Out of sight out of mind. 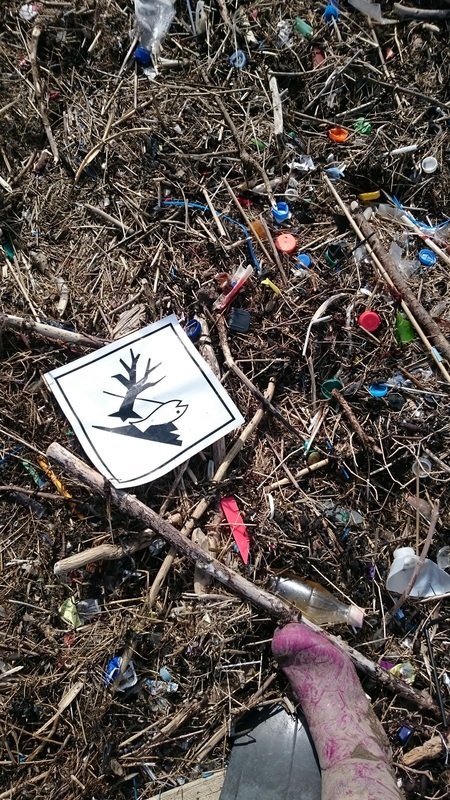 Each time we go there, it never fails to amaze me how much plastic waste is littered along the shoreline. 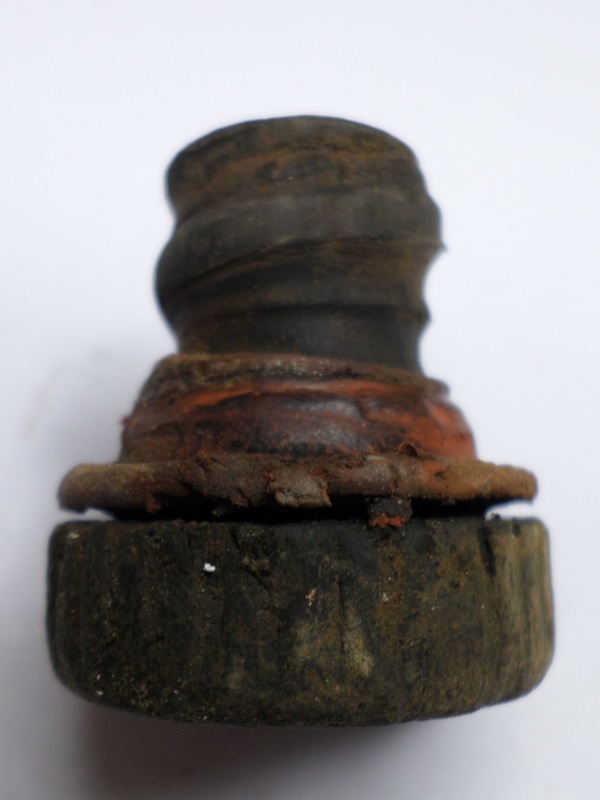 The problem is - it does not rot. 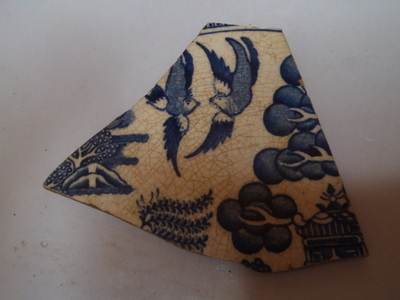 And the problem is also that it can be quite pleasing to the eye, and tempting to a hungry seabird. This comes with devastating consequences. 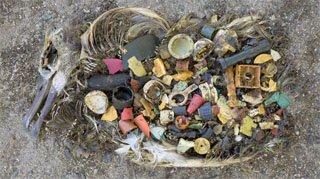 I recently came across a startling article about what was found in the stomach of a young albatross. 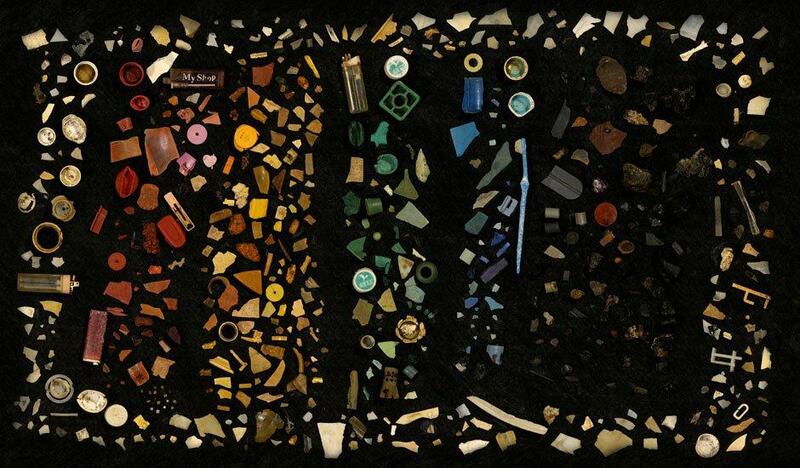 The impact that all these little plastic morsels have on marine wildlife is devastating. 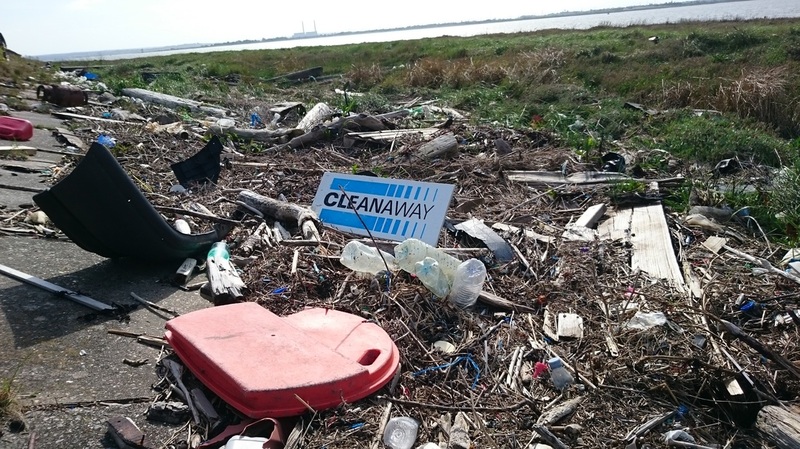 Of course it's slightly overwhelming when faced with the enormity of trying to clean up miles of shoreline - like the one I walk along in Kent, but if we each do our bit, and put our plastic waste in a recycling bin, then we can make a difference. 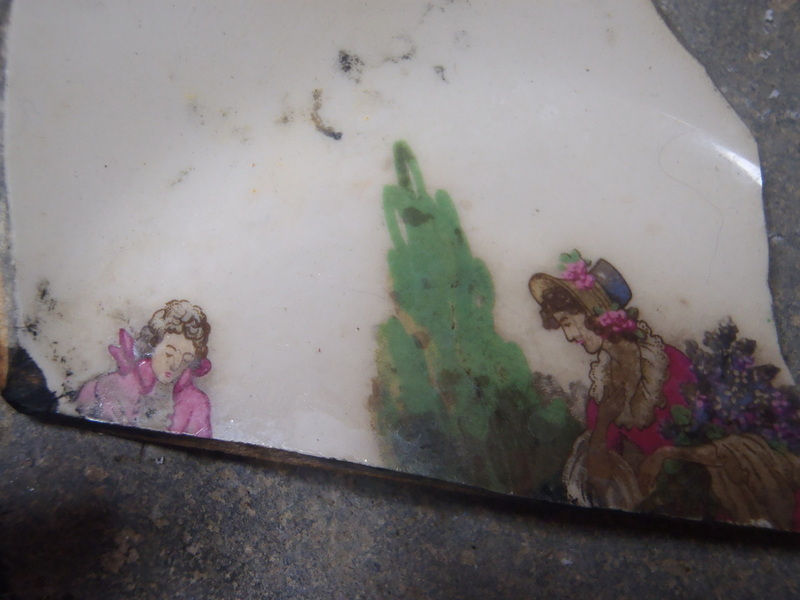 Recently, I've been making a lot of pictures with pieces of plastic which is littering the banks of the River Thames. 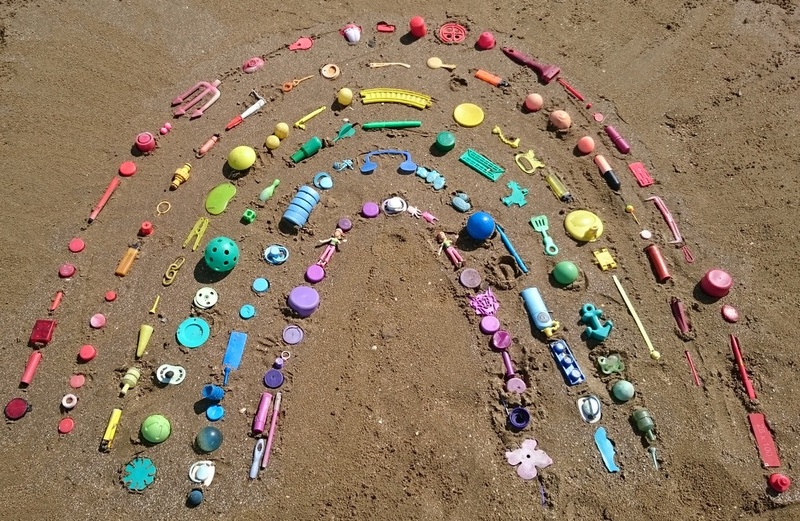 They look great and fun - but the reality is, and what we don't see, is the devastating effect that swallowing plastic has on our wildlife. 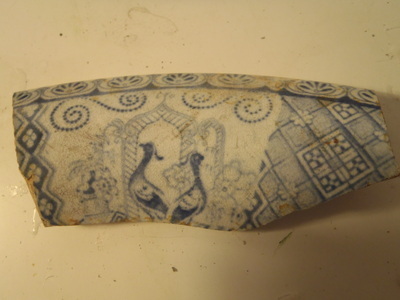 About plastic like this that was found in a bird…. 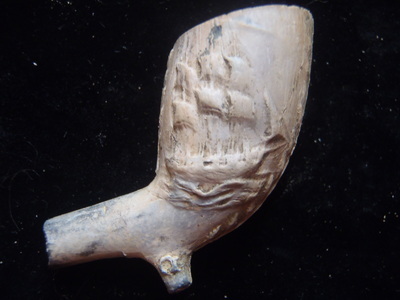 The first thing that I remember having found whilst down on the Thames was a broken clay pipe. This, with the help of a bit of Mum's Fairy liquid was used to blow gigantic bubbles. 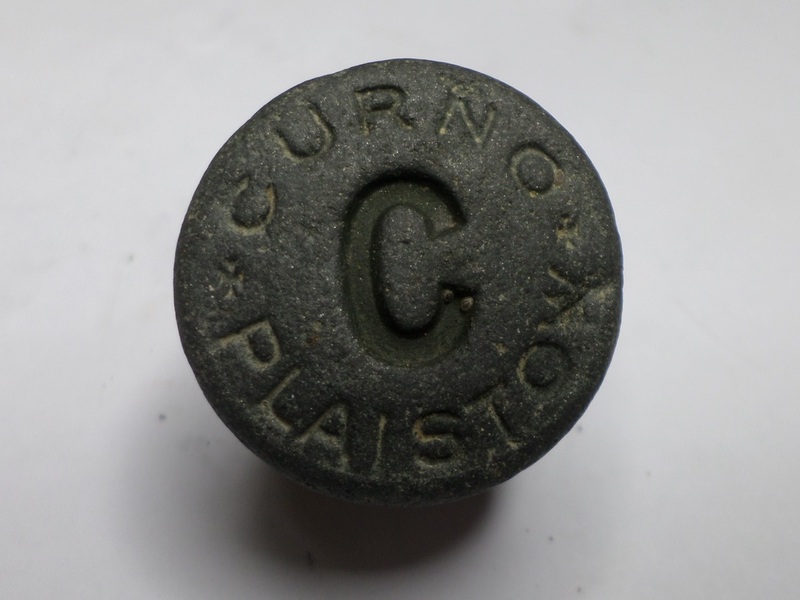 Oh what larks! Quite a considerable few years later the magic isn't lost, maybe a little bit repressed by the lure of the more exciting finds, but this weekend proved that the humble clay pipe was capable of bringing more than a smile to the face. 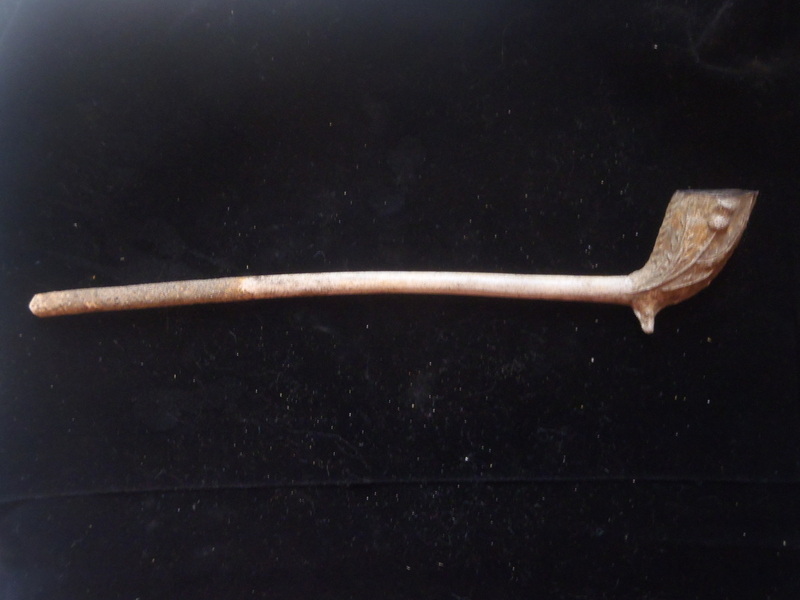 Blessed with a weekend of exceptionally low tides we set forth and found some of our most wonderful clay pipes. 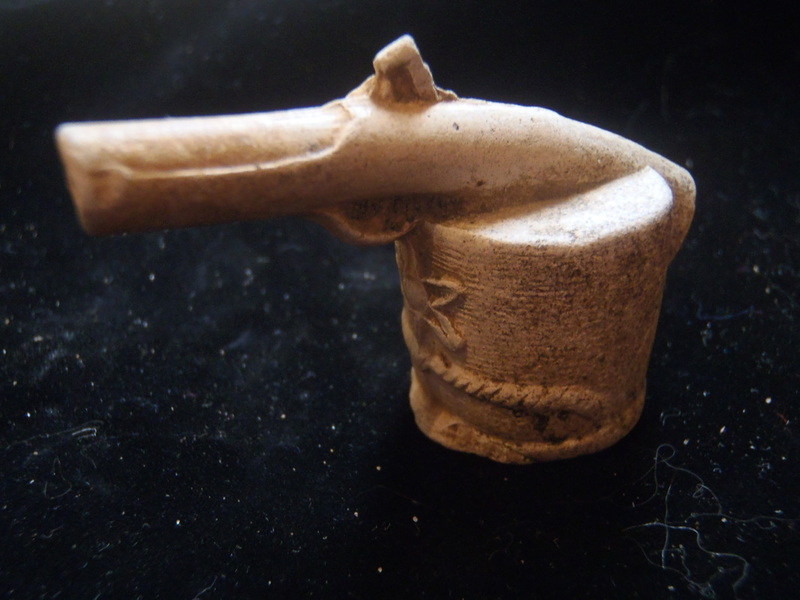 Before I go into detail, a bit of the history of clay tobacco pipes might assist and perhaps whet your appetite. 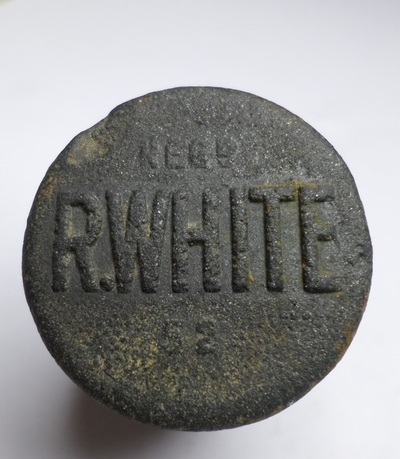 "Tobacco drinking" as it was known, came to England following the discovery of North America, hence tobacco, and was widely popularised by Sir Walter Raleigh, or so the story goes, in about 1558. The clay pipe itself was likely devised by the native North Americans, but nevertheless their manufacture here commenced shortly after to satisfy the insatiable demand of that new breed of "Tobacco drinkers". The earliest written description was in 1573 where a pipe was described as "an instrument formed as a ladell" (sic). 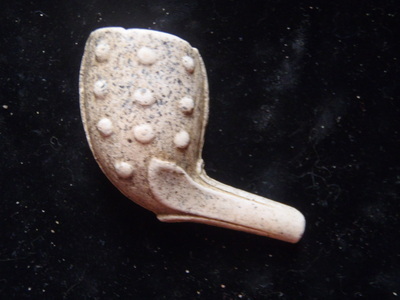 No illustrations exist, but it was flat in design and likely inefficient for smoking tobacco other than for ceremonial purposes. 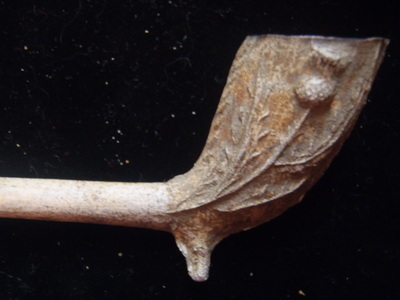 Early pipe circa 1600 - known as a "fairy pipe" or even a "plague pipe" on account of how many were found in plague pits where the dead were hurriedly interred. 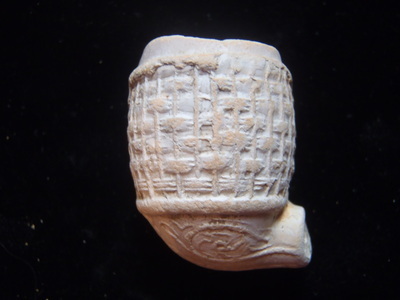 As a rough rule of thumb the smaller the pipe bowl is, the older the pipe is. The size of the bowl was relative to the cost of tobacco, as the price fell so the bowls got larger. 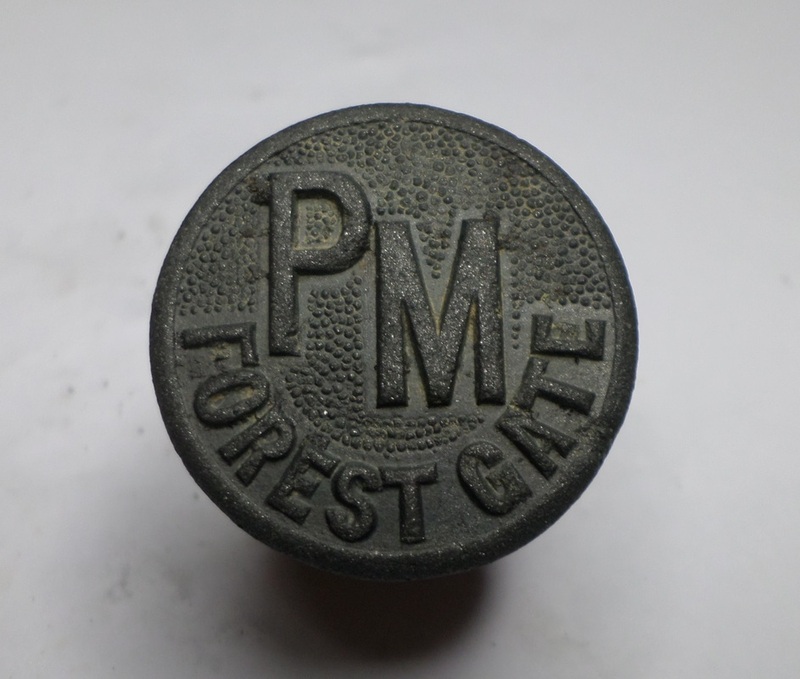 As the manufacturing process improved the stem became thinner, the quality of the finish massively so, thus the pipes became more ornate and were adapted for all sorts of commemorative occasions, advertising even. Progress... 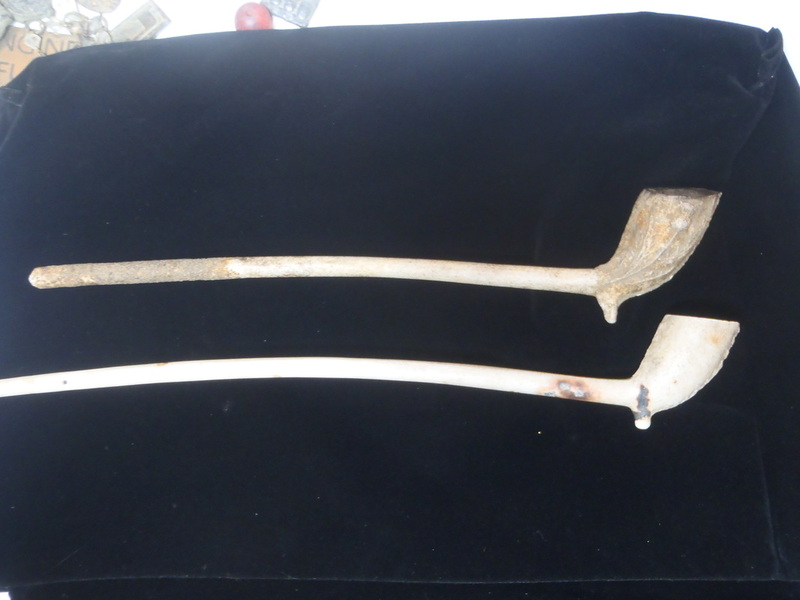 The one on the right is early 17th century, the left pipe is a "fancy" decorated with the fouled anchor of the Royal Navy, and may have been styled so to commemorate a successful naval encounter or just to reinforce our love of the Navy in Victorian days. We found both of these side by side even though centuries separate them. 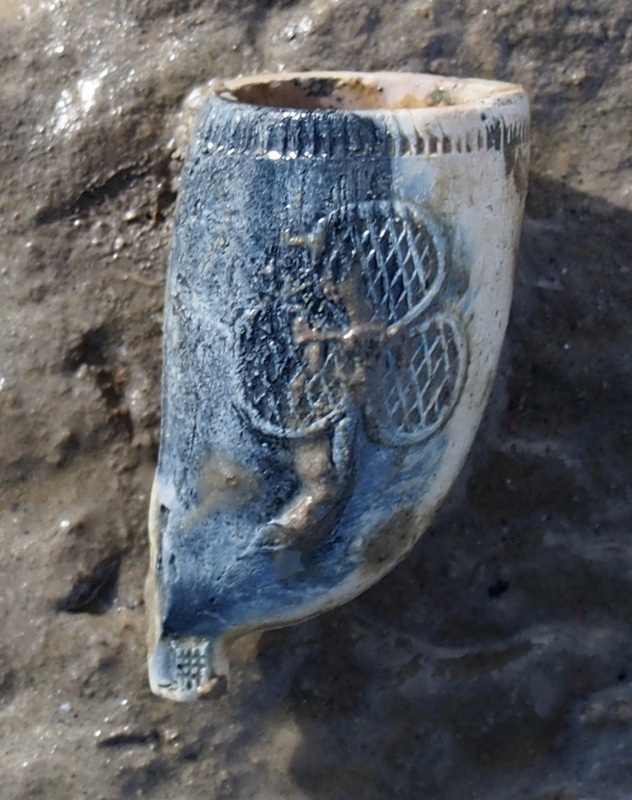 Why are there so many of these pipes found along the Thames, or anywhere for that matter you may ask. 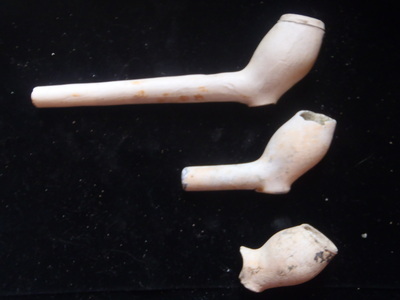 Clay pipes were very cheap. 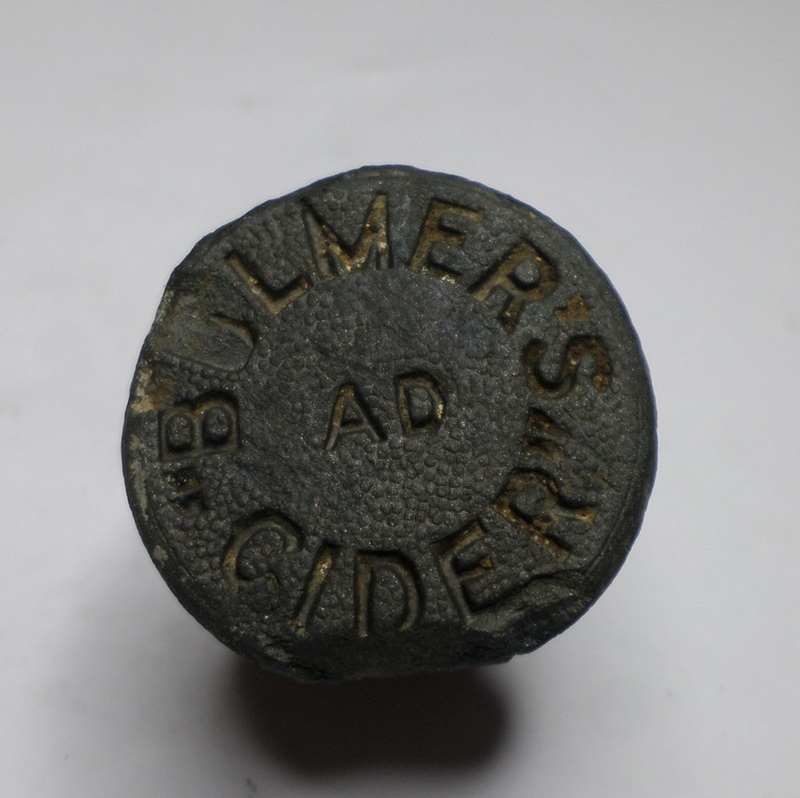 They were often given away with a pint of ale by savvy publicans. 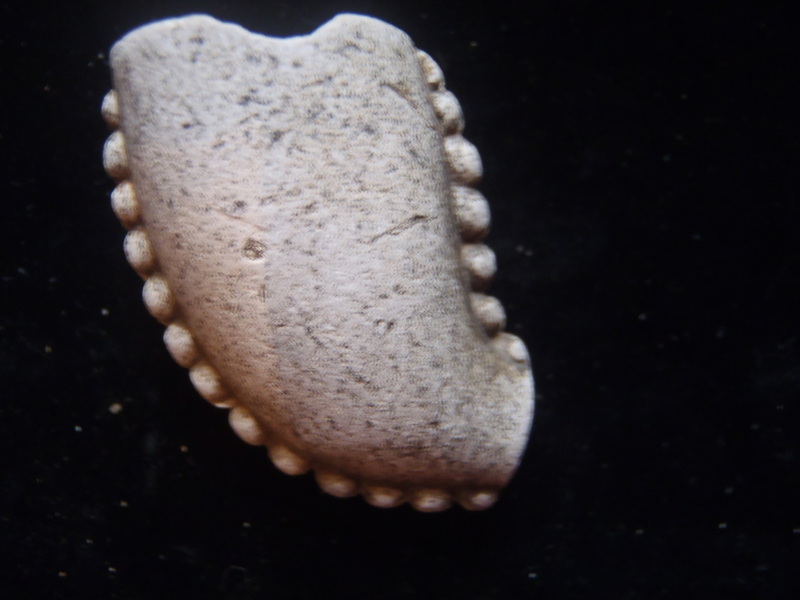 They would become blocked after a very few uses, they are easily broken, and were thus seen as disposable items. 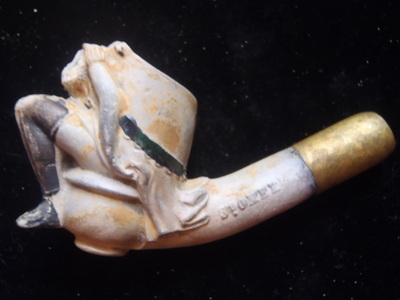 Anecdotal evidence suggests that it was "unlucky" to throw away an intact pipe, so the owners broke them deliberately (probably in an effort to bypass the blockage in all likelyhood). 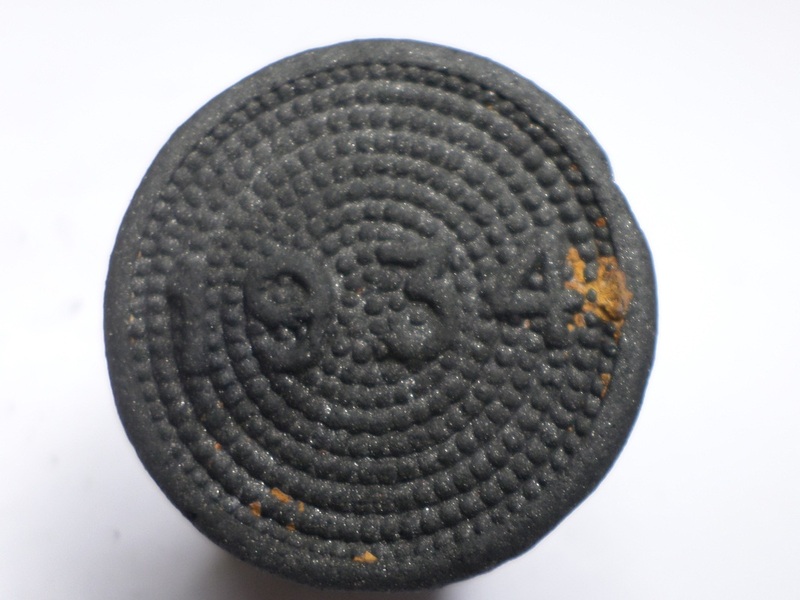 They were also in widespread use for over three hundred years, and it was not unusual for children or women to smoke them. 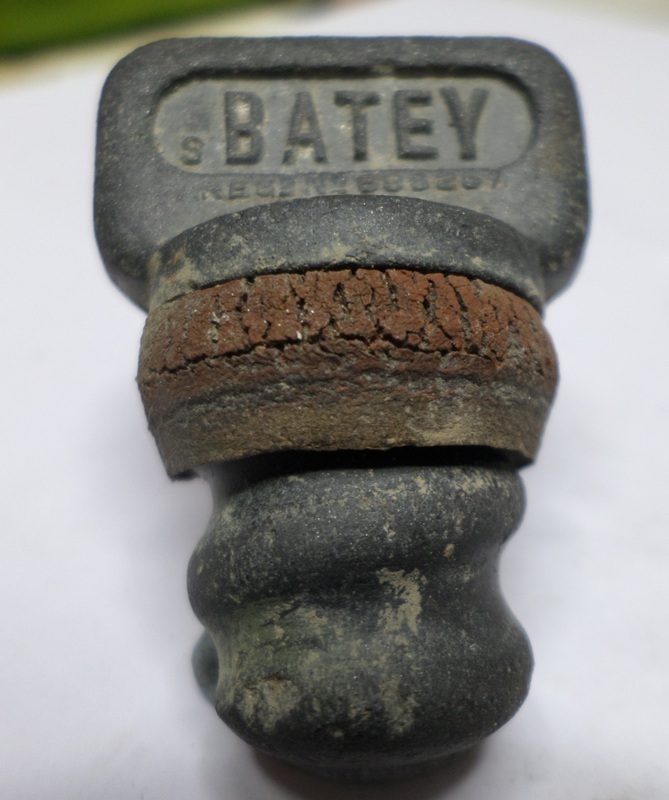 This goes some way to explain the huge numbers of broken pipes that are found. 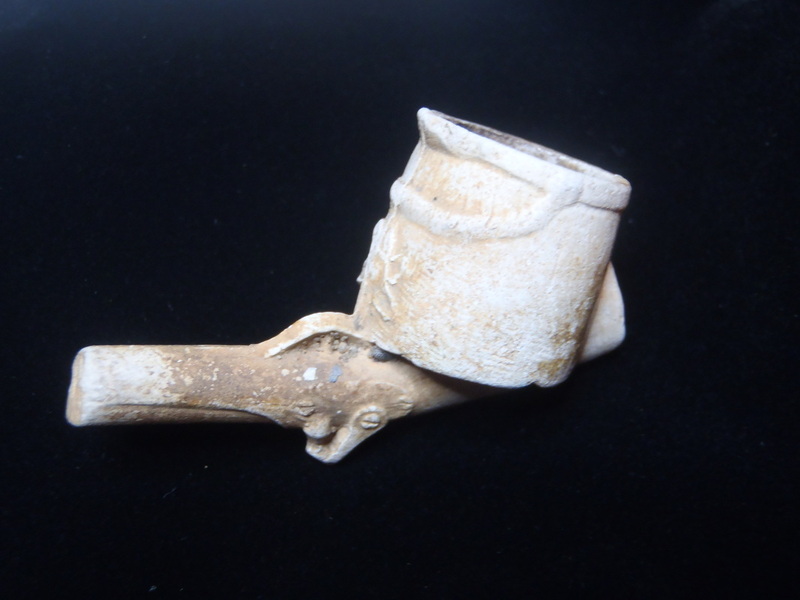 This post is not meant to be an exhaustive word wall history of the clay pipe, but rather a dip into their world. Here is a gallery of our better ones many of which were found this very weekend. 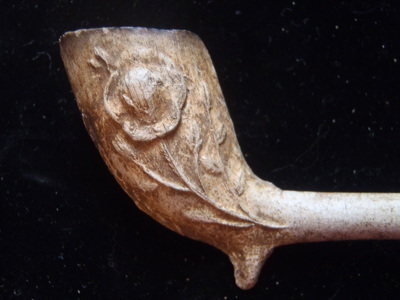 There are many websites that provide further reading about clay pipes and their identification. In particular, one of our favorites is http://www.dawnmist.org/pipdex.htm. We hope you've enjoyed reading about our clay pipes. 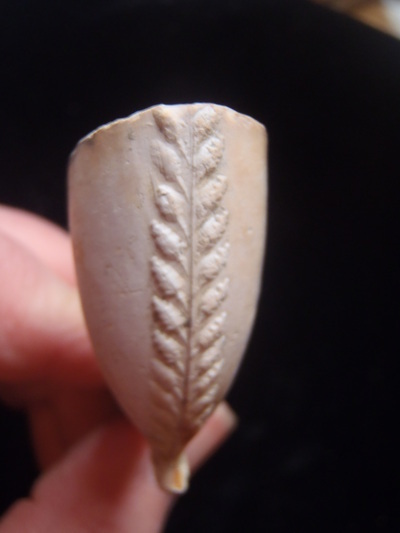 I think you'll agree that they are far more interesting and pleasing to the eye, than modern day cigarette butts! 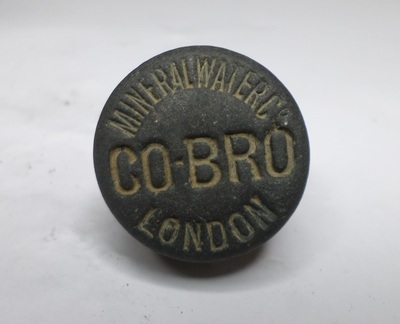 I have tried to work out what it is that keeps me going back, in all weathers, to prod around in the muddy foreshore of the River Thames. 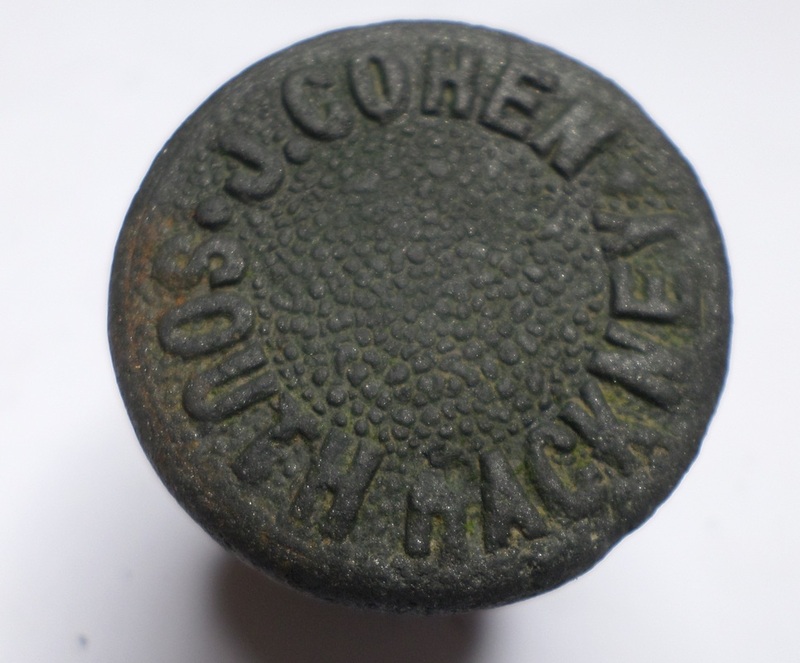 It is not as if I have ever found anything resembling treasure, or gold, or even remotely Roman (oh, apart from some Roman pottery, so yes, I did find something Roman - but not a Roman coin!). What I have found though are long lost possessions, faded and rusty, worn by the River, whose owners are probably long long gone. They are pieces of evidence of past lives. 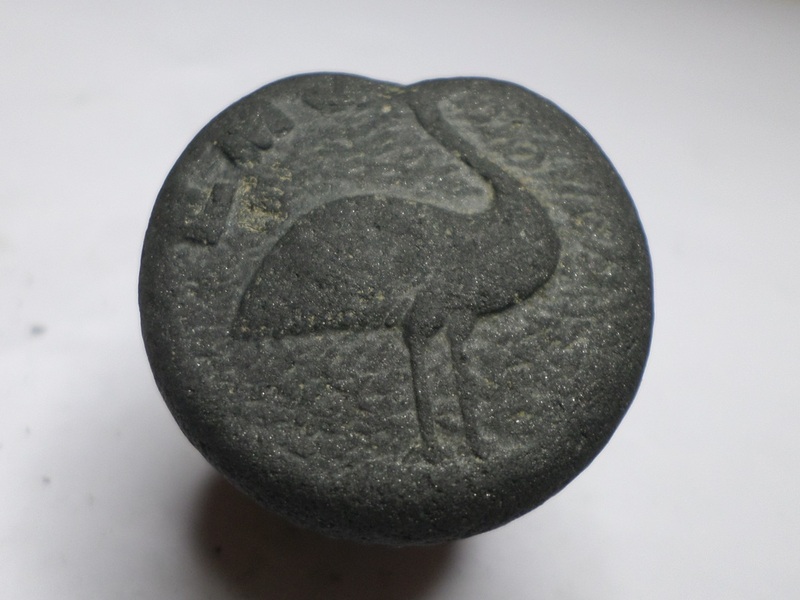 A tangible piece of history. 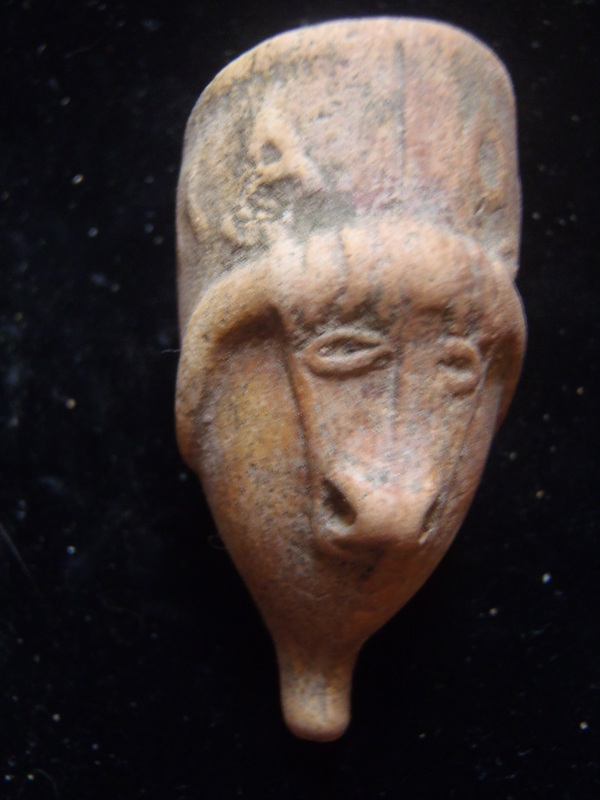 It is that, that keeps me going back, and they make getting covered in mud and acquiring a stiff neck all very much worthwhile. 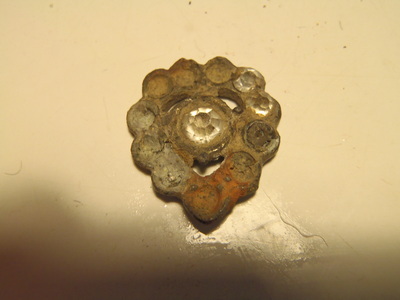 These little pieces of history fascinate me and evoke stories in my imagination of Victorian ladies, children playing with lead toys and marbles, sailors and lightermen smoking clay pipes.....I can spend hours just imagining who last touched that object, who owned that button and who wore that glass bead that was once part of a necklace. 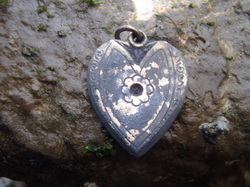 Over the past few years I have found several tokens of love in the River Thames, and it is these I want to concentrate on now, as of course, it is Valentines Day, and so it seems appropriate. 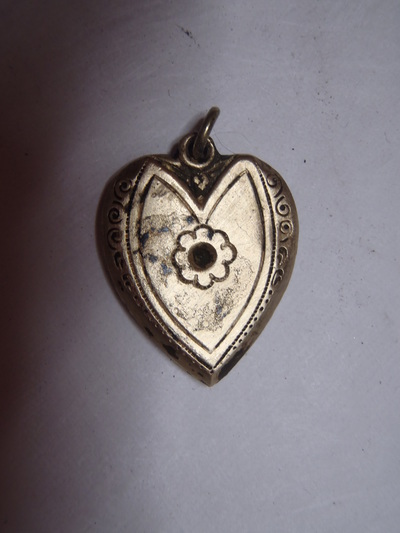 Below are just a few of the symbols of love I've found - and I think you'll agree, they all have their very own story - which we will never know in all probability. 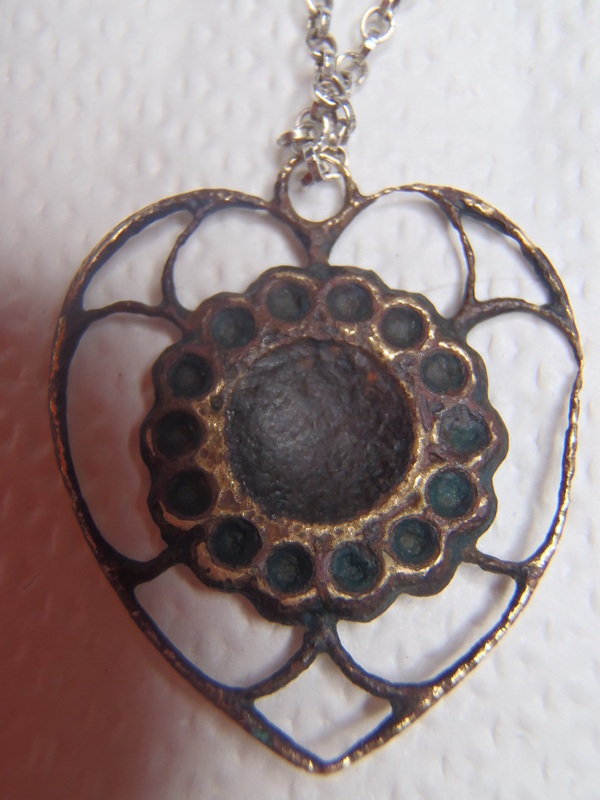 Of course, you can't help wondering who wore these pieces of jewellery and how they ended up in the River? What is their love story? 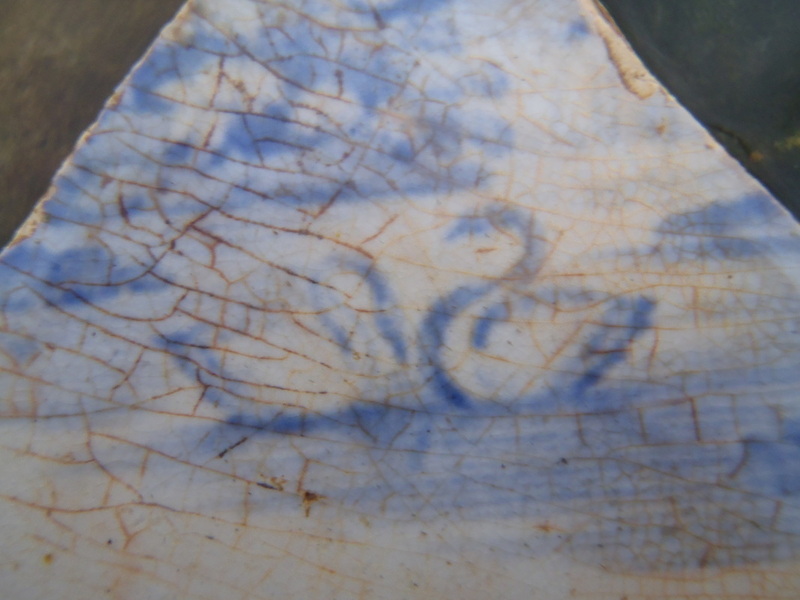 The bracelet below, engraved Peter and Lesley is a mystery too. 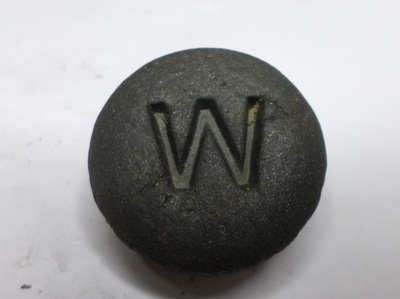 Did Lesley drop it by accident, or was it hurled in the River after a break up by Peter? Where are they now? 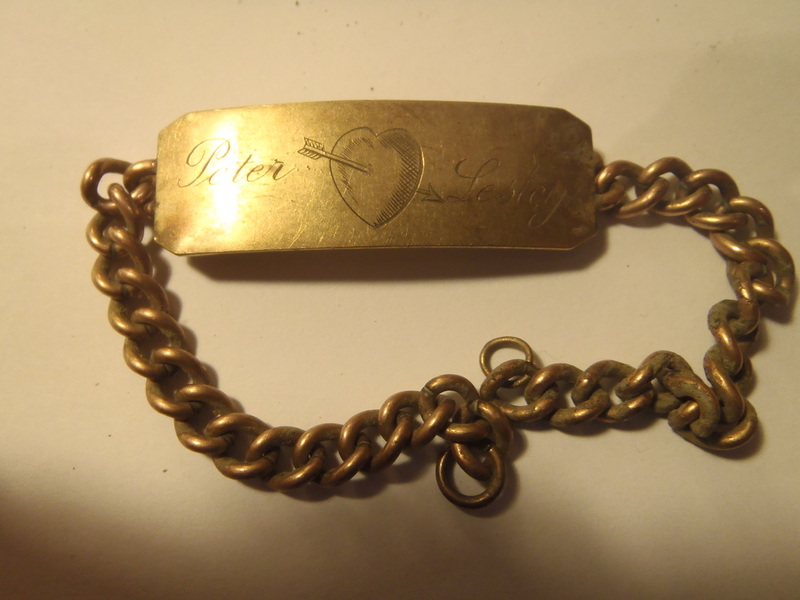 Gold bracelet engraved "Peter and Lesley"
There are countless pieces of pottery in the River Thames depicting lovers and love stories, both happy and sad. 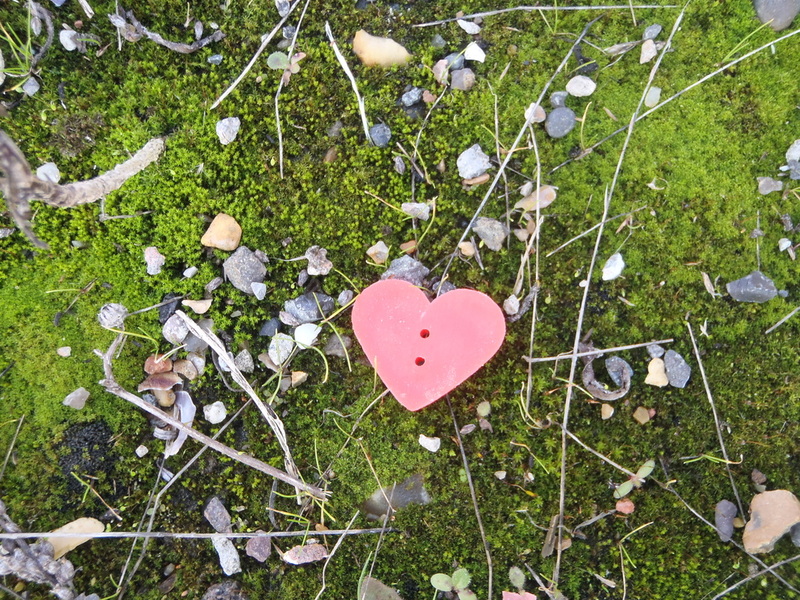 Here are some once loved toys clutching hearts, that somehow now find themselves lost and forlorn by the River! 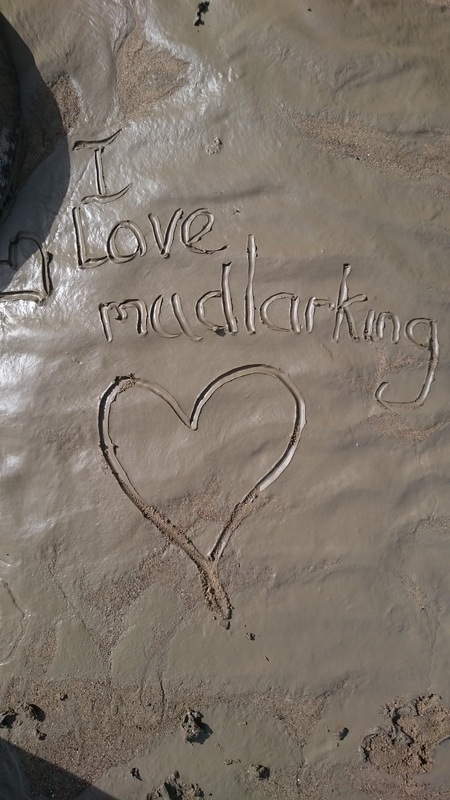 And lastly, of course, there are many messages of love that have floated down the River Thames. 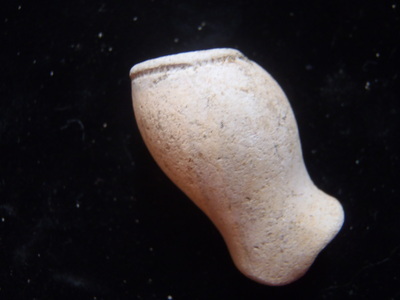 I have written about some of them in my message in a bottle blog here on this site, but here a few. So now I think I know one of the reasons why I keep coming back to the River to search the shores. It is so full of stories to think on. 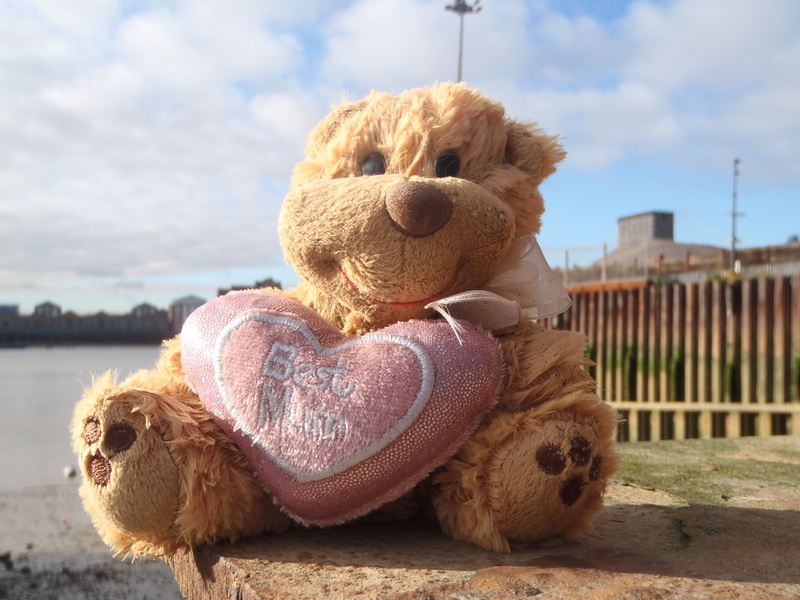 In what seems like a difficult world at the moment, with all manner of sad happenings going on - the River Thames that flows through the heart of our City here in London, has many love stories to tell. Sad stories or happy stories, the fact is, love is eternal. I wish you much love in your lives. 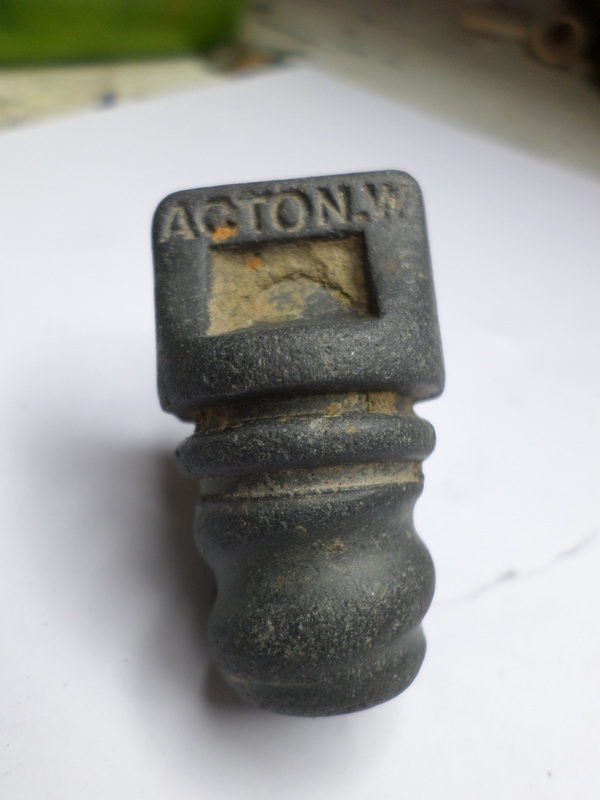 When mudlarking along the River Thames foreshore, we often find old bottle stoppers (screw stoppers). 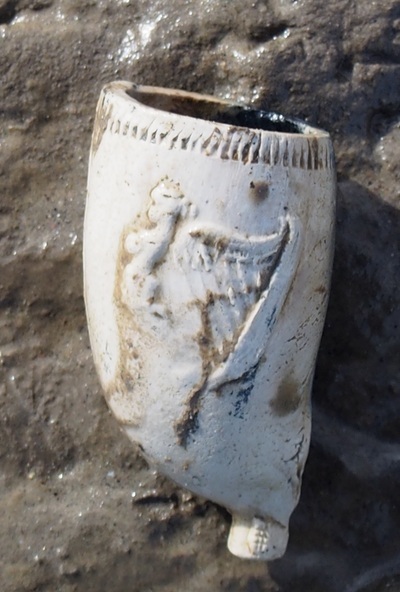 Sometimes they are still embedded in the broken glass neck of the bottle they belonged to, and other times, they are poking out of the mud on their own - presumably not far from where they were last tossed by whoever opened the bottle. There is something appealing about these black screw stoppers, especially the ones which are imprinted with names of old breweries, or have an old logo on them. When we recently realised that we now have well over 200 of them at home - but knew very little about them, I was motivated to do a little more research into them. 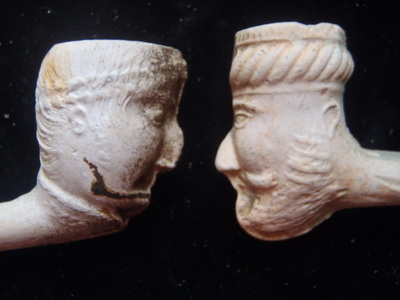 I embarked upon a mission to find out as much info as possible– and so have used a variety of web-based sources, notably the Kent History Forum to whom I am grateful for the wonderful pictures. If any of the details are not correct then apologies in advance. 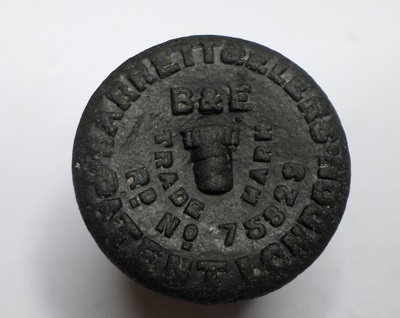 It was Henry Barrett, in 1872, who invented this particular type of screw stopper – and they were subsequently used then for well over 100 years until the 1970s. 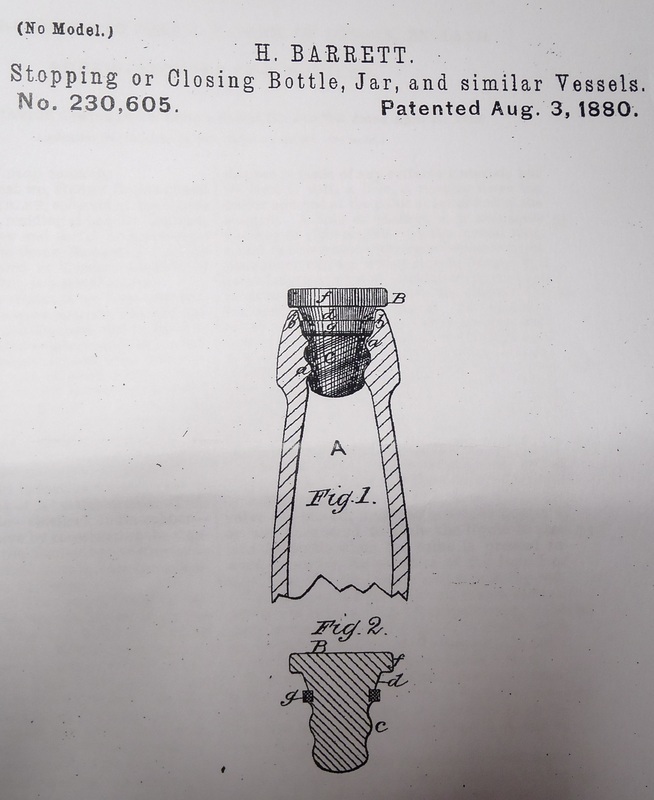 Henry actually patented the design in the early 1880s, and he was also the person who designed the internal screw thread for the interior of the bottle neck. The stoppers themselves are made from hard, non-elastic, India rubber, also known as vulcanite. 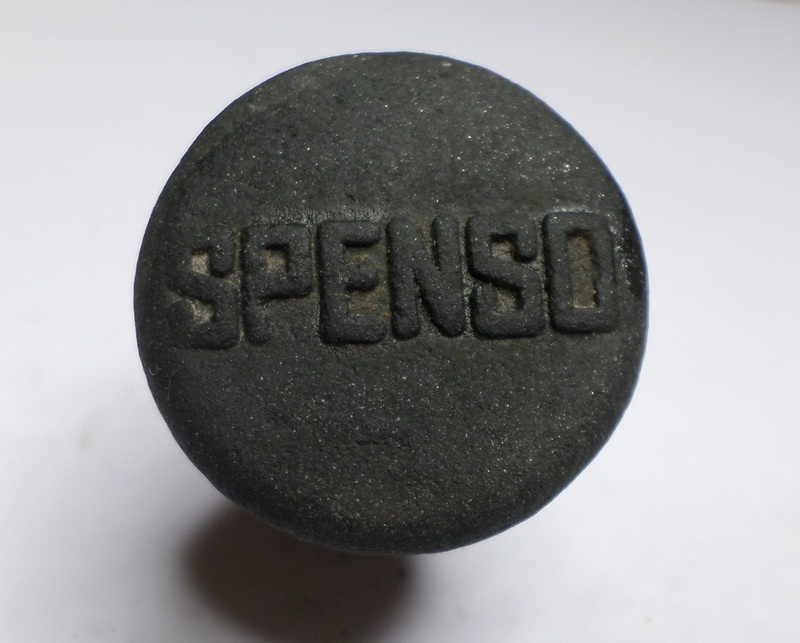 The process of “vulcanisation” involved heating rubber to 115 degrees Celsius with sulphur and also linseed oil – thereby converting it into a more durable material. The stoppers are also sometimes described as being made from ebonite, which in fact was the brand name for the vulcanised rubber – patented by Charles Goodyear in 1846. 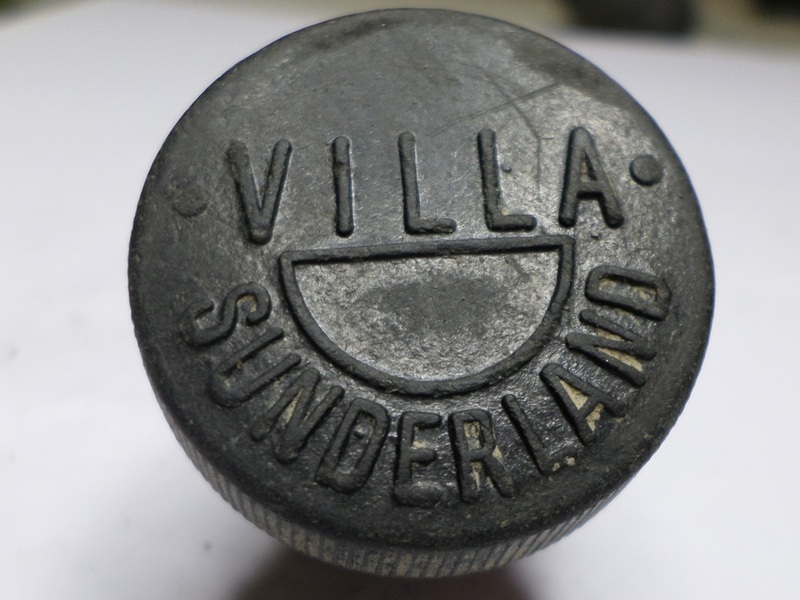 Wrapped around the stopper is a sealing washer of pink India rubber. 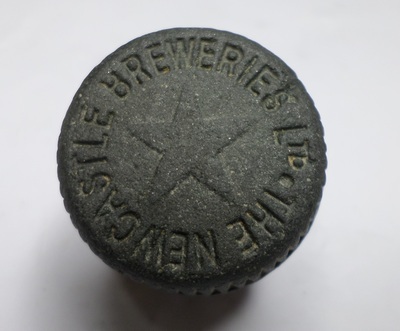 These screw stoppers took the place of corks on most beer bottles and the popularity of bottled beer really took off! 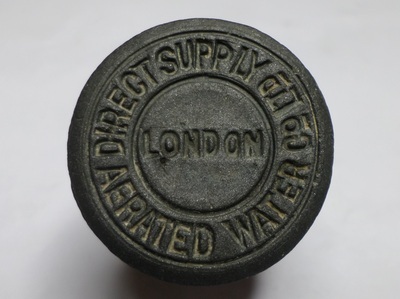 Stoppers often carried company names and trademarks. 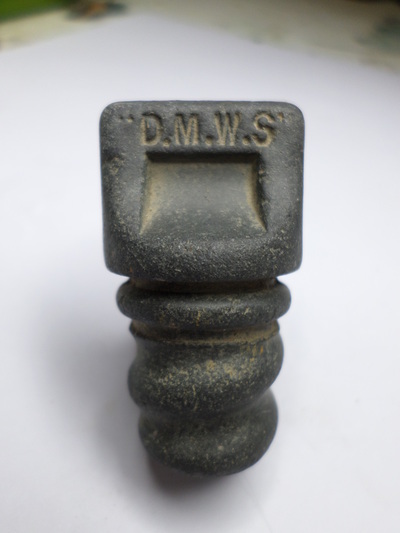 Below is a gallery of some such screw stoppers. Each stopper has a little history of its own, and many of these companies/breweries are of course now defunct. 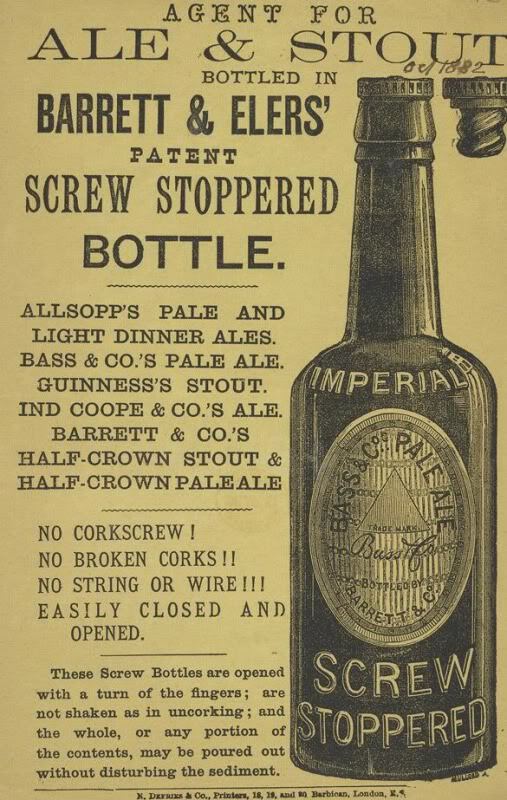 In 1885 a chap called Riley brought out the "new improved" chisel shaped thumb screw stopper which was designed to be easier to grip with the fingers, or in a bottling machine. 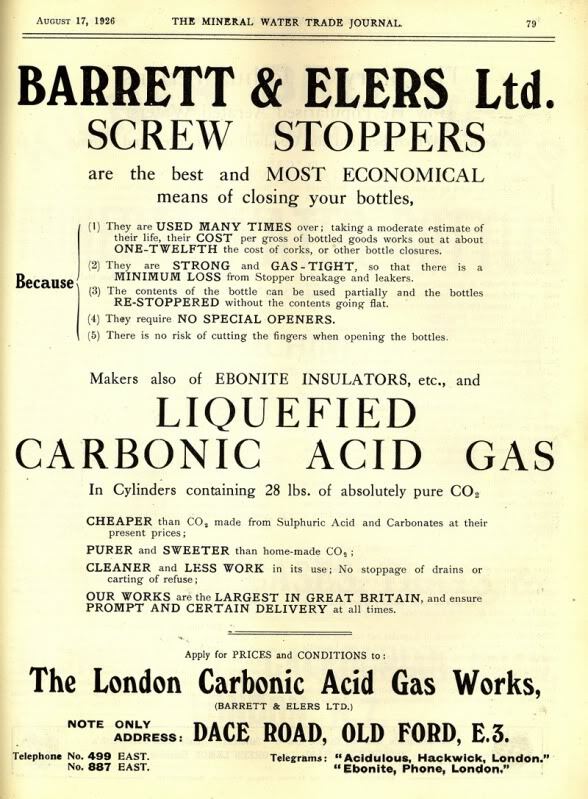 He also bought out, in the same year, the first machine for screwing and unscrewing the stopper whilst the bottle was being filled. 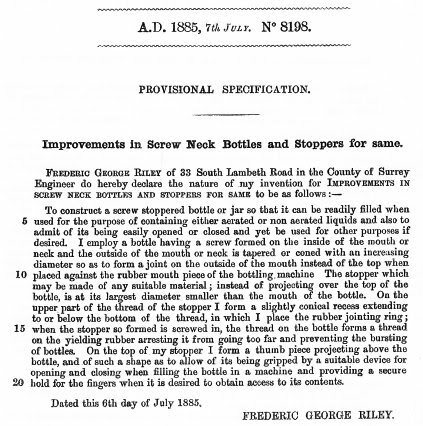 The "new improved" screw stopper by Riley. 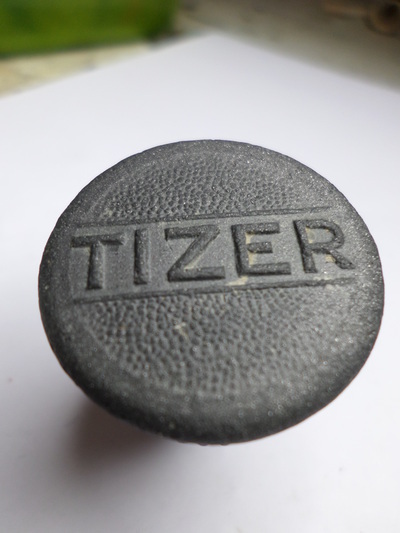 Designed to be easier to grip, by fingers and machines alike. 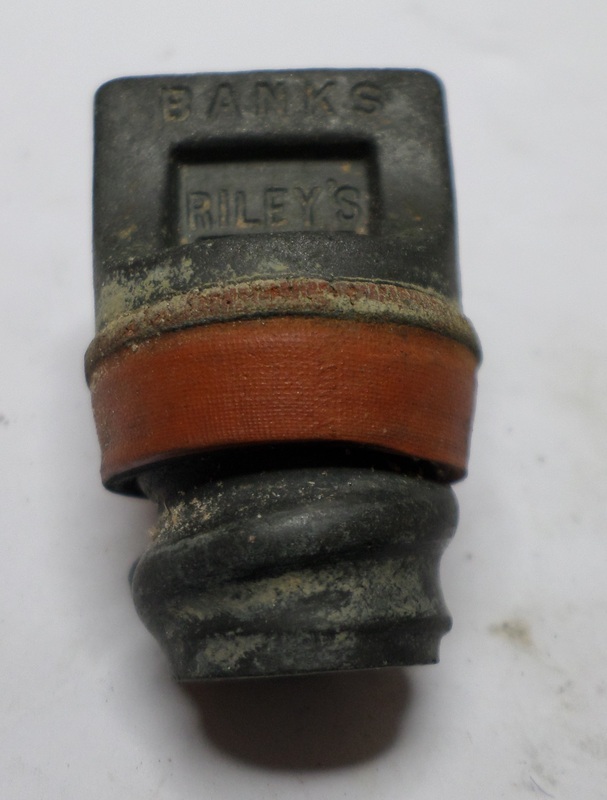 Nearly all have "Rileys" on the reverse of them. screw stoppers manufactured during the war were stamped with "war grade", and had a sizeable portion scooped out to save on materials. 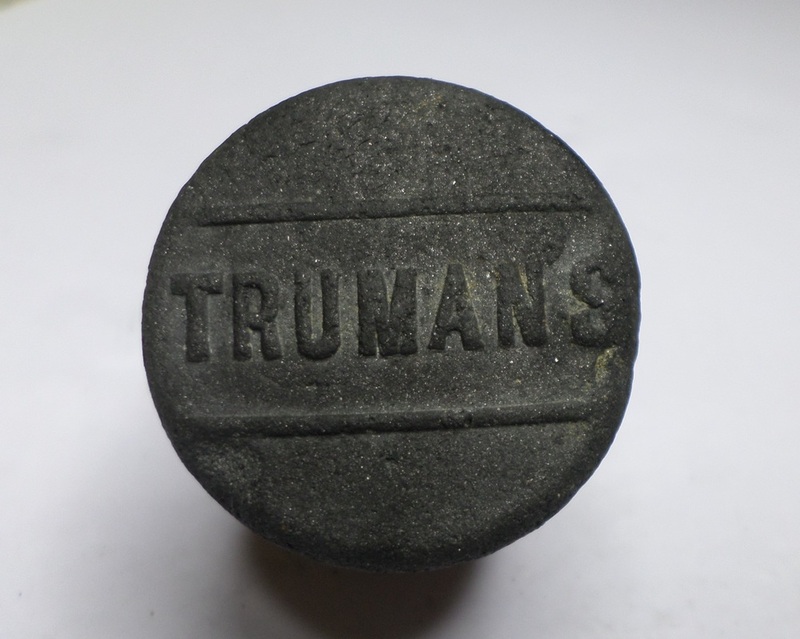 During the war, with rubber in short supply, it is possible that an inferior material was used for a while. 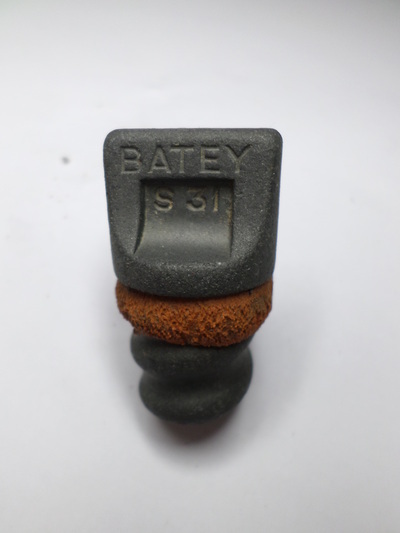 Also, the scooped out stopper means that less material was used. 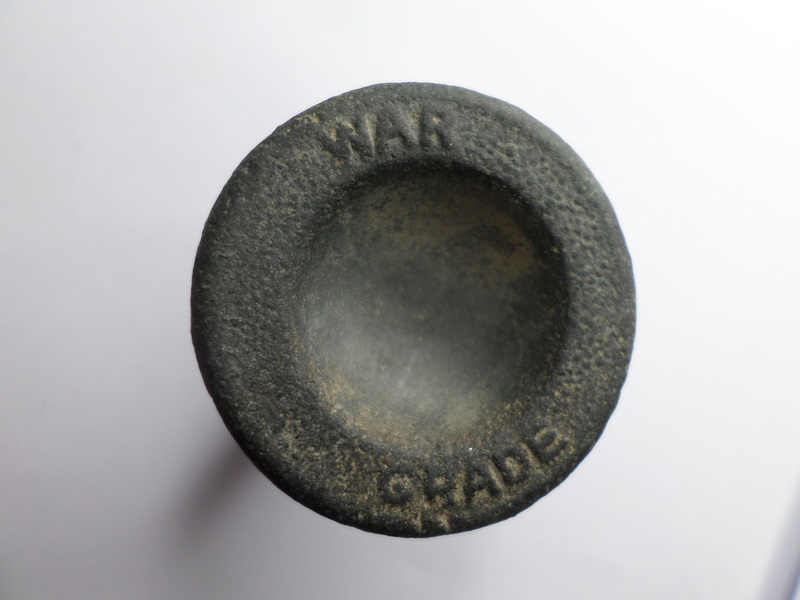 The stoppers made in this fashion during the war, were stamped with “war grade”. 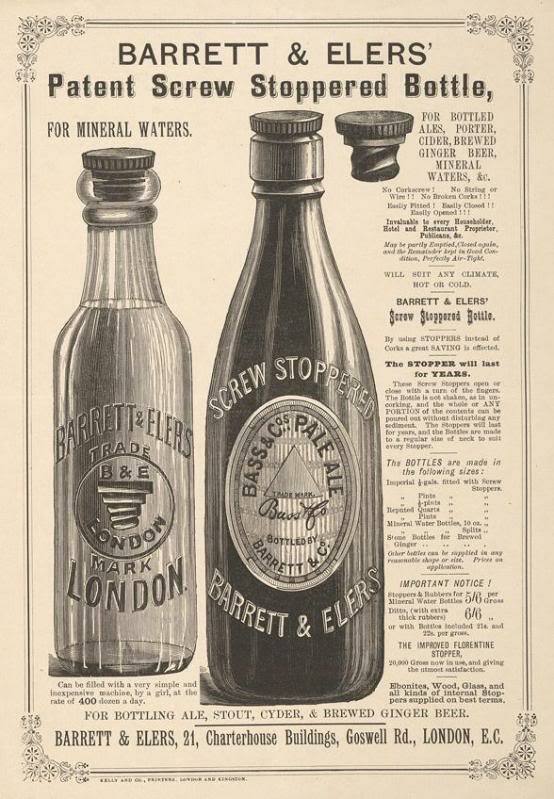 In the 1890s, yet another improvement! 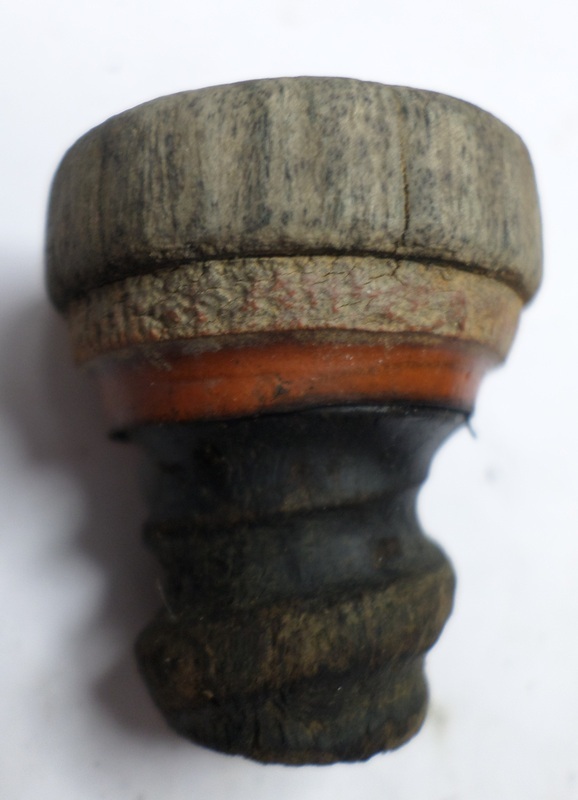 Lignum Vitae wooden top screw stoppers were brought out. 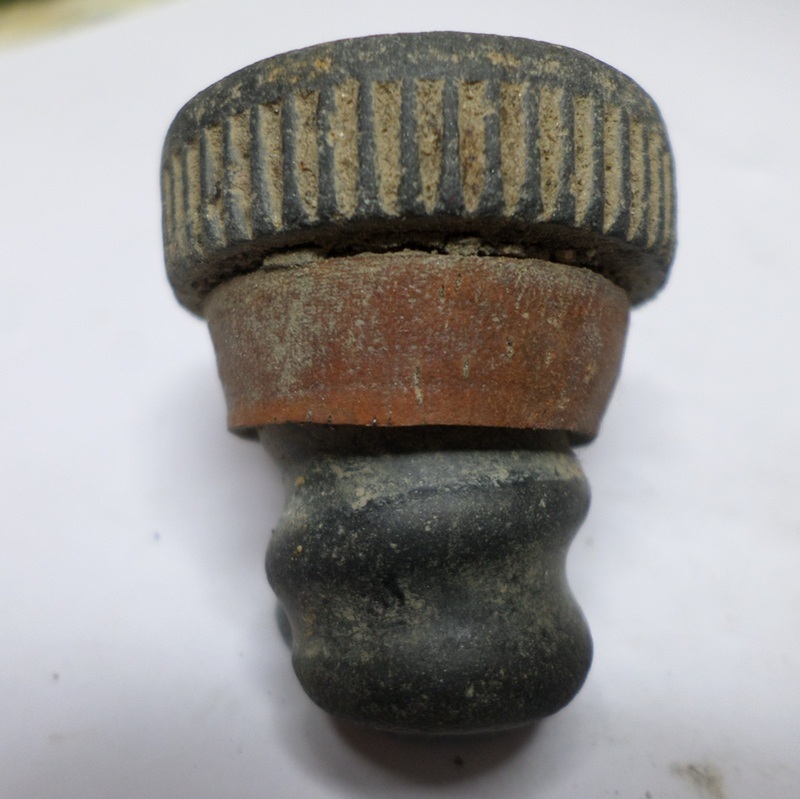 The screw was still made from vulcanite, but the top was wooden. 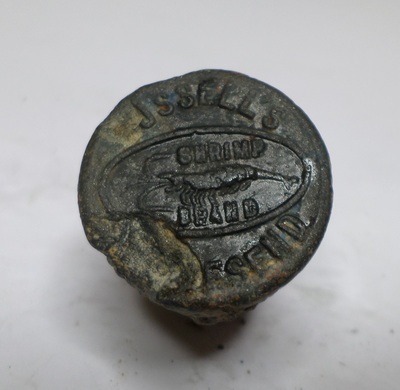 The seal was supposedly far more secure! 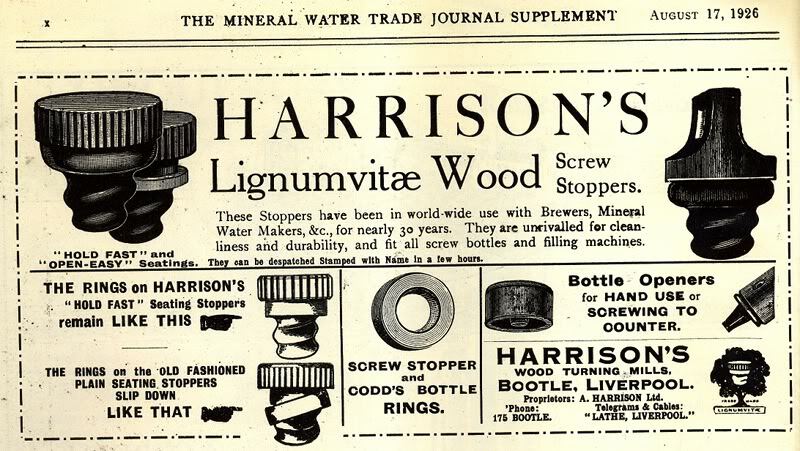 The Lignum Vitae wood screw stopper was introduced in the 1890s - with a more effective seal system.